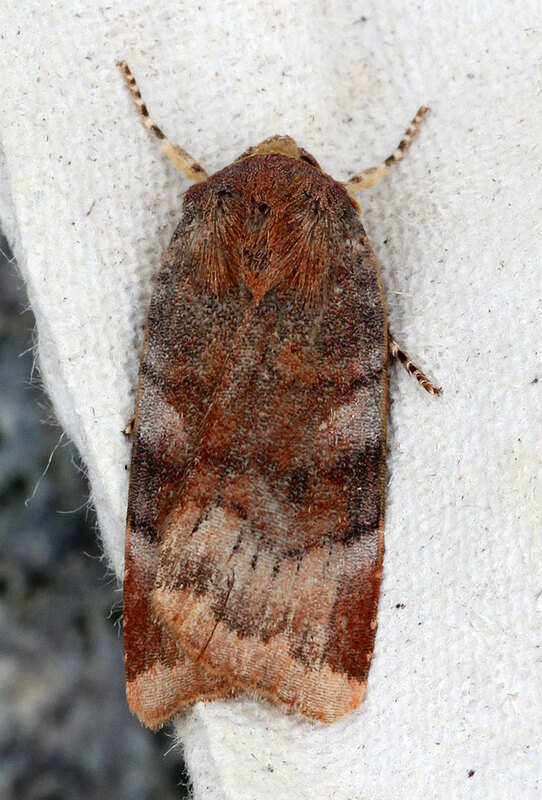 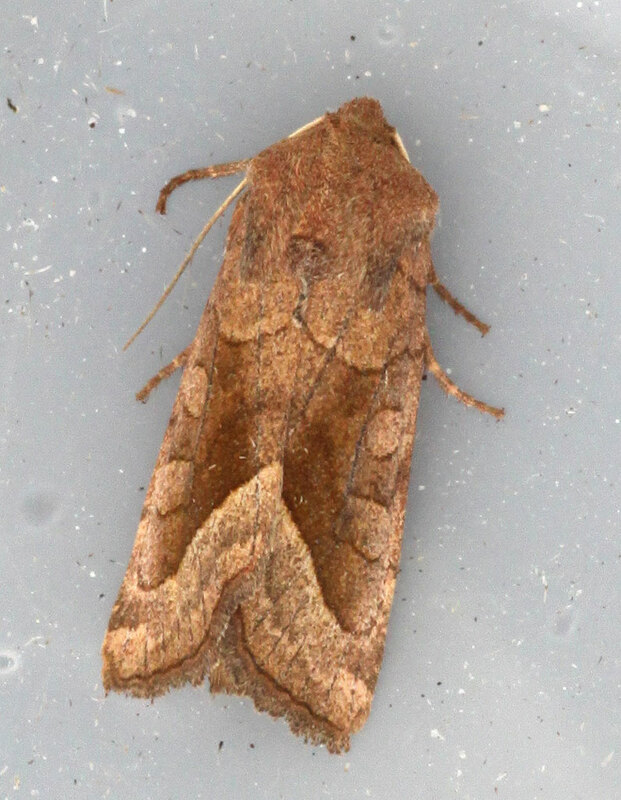 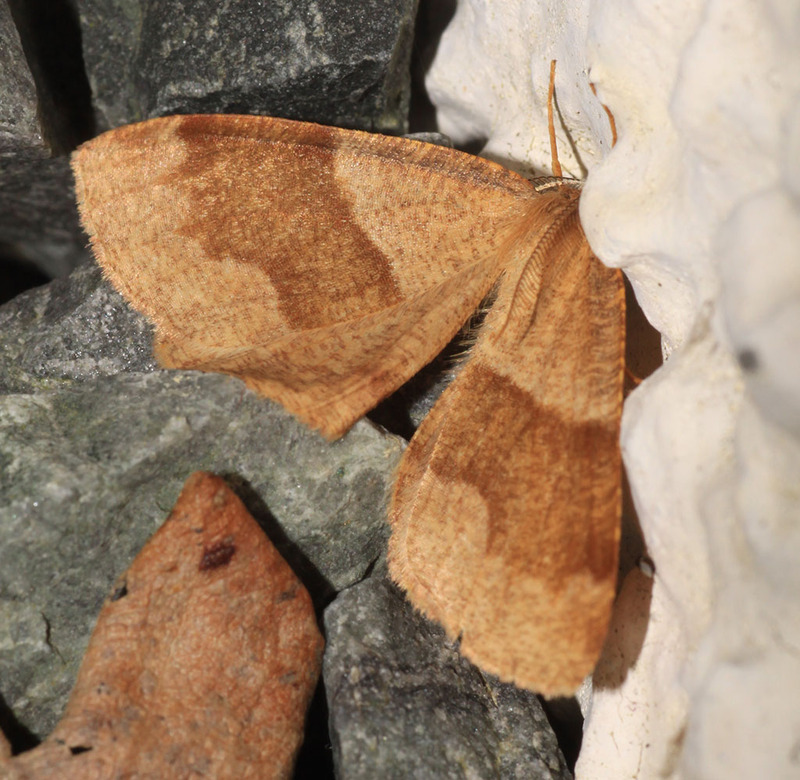 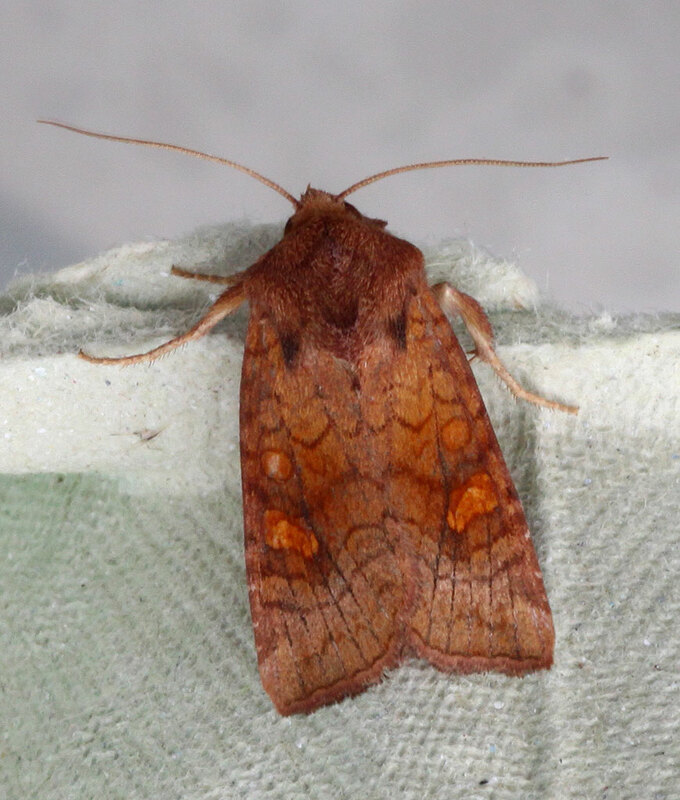 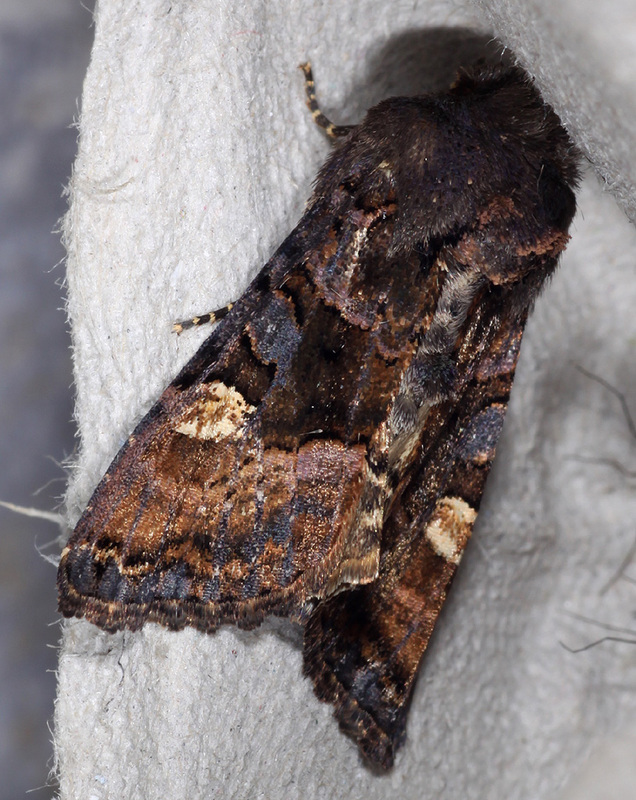 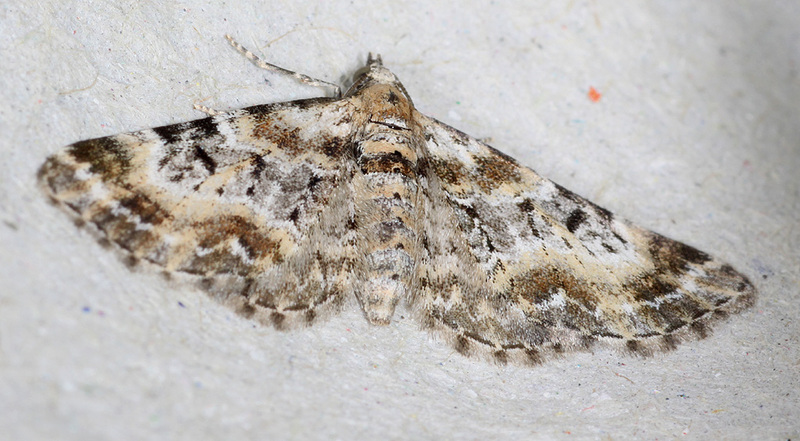 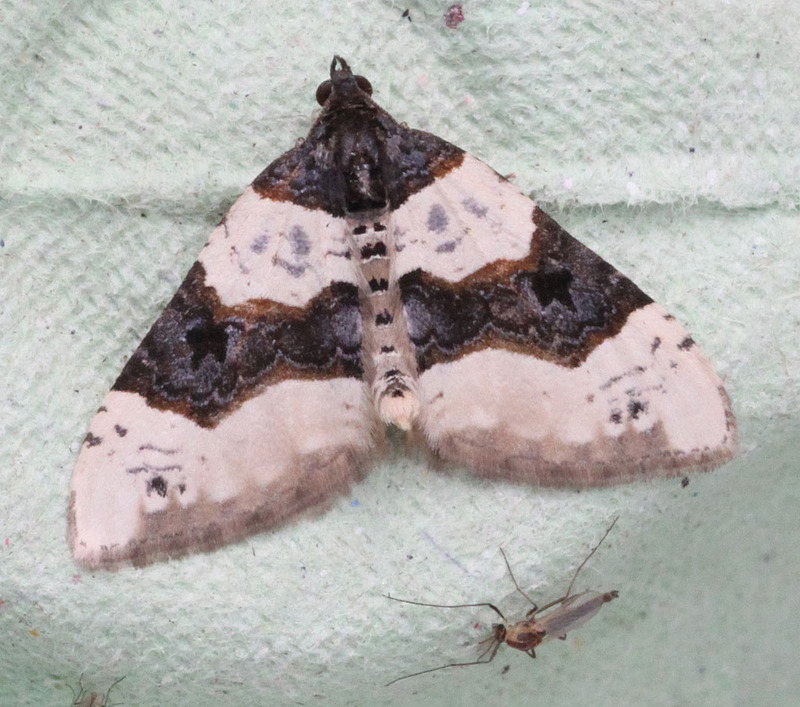 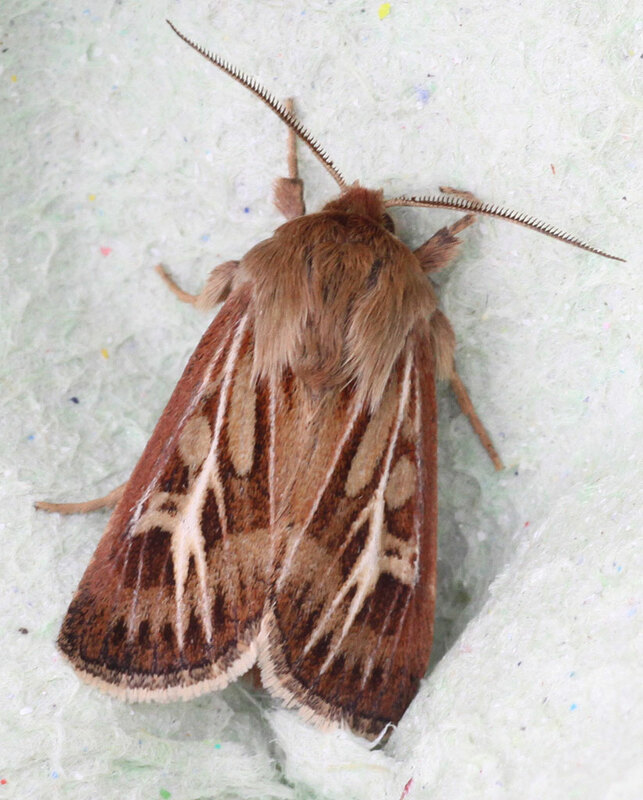 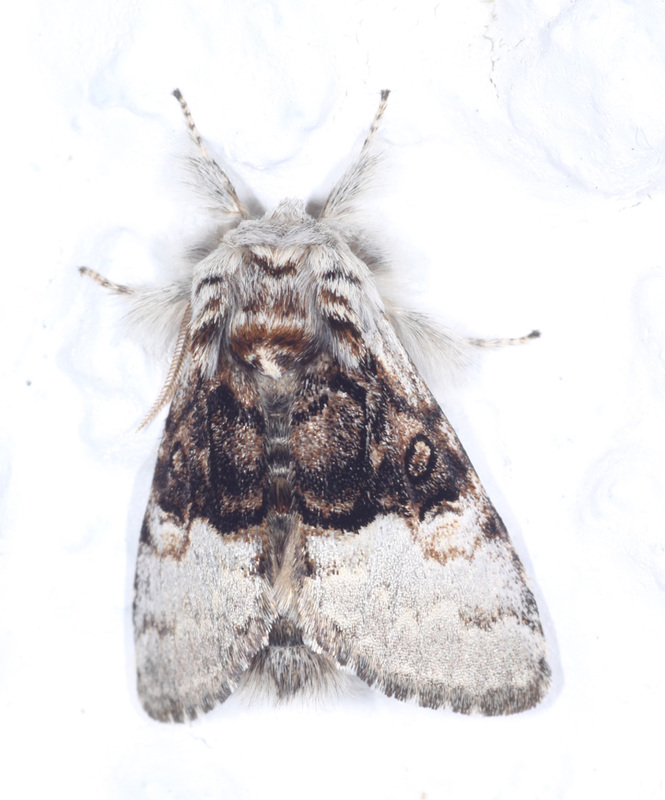 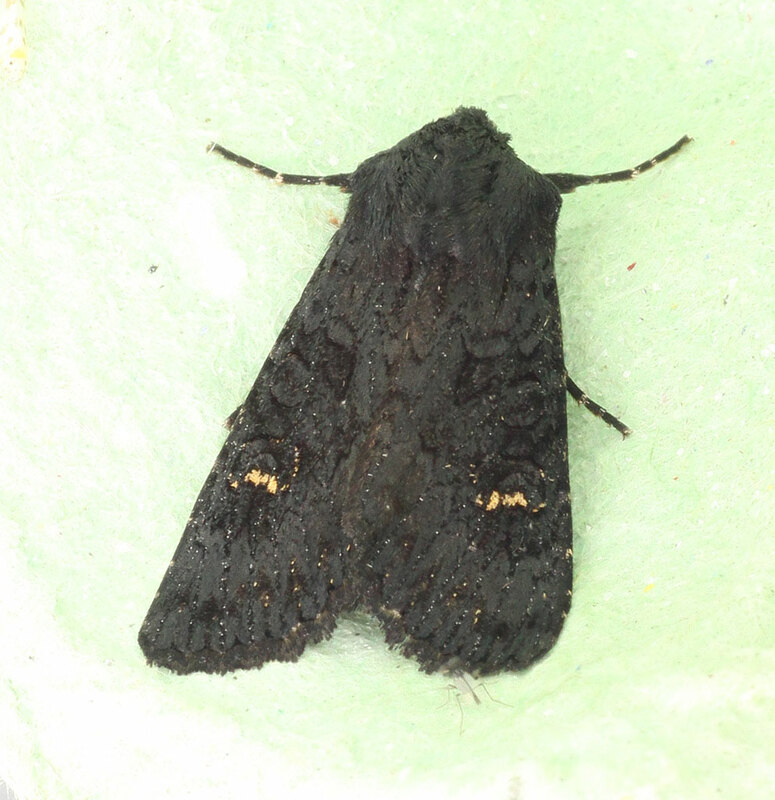 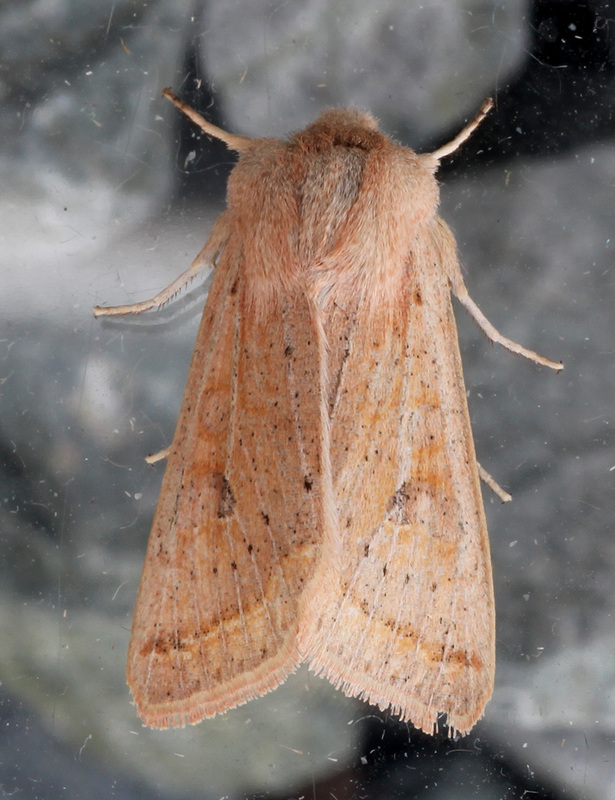 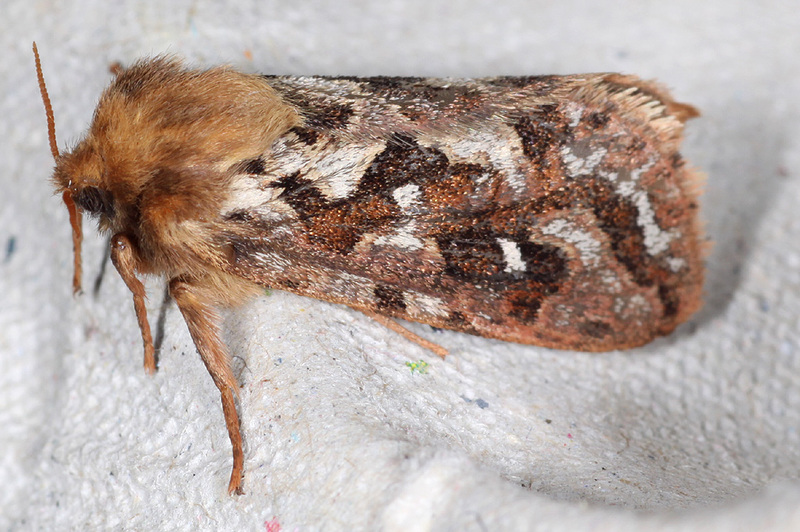 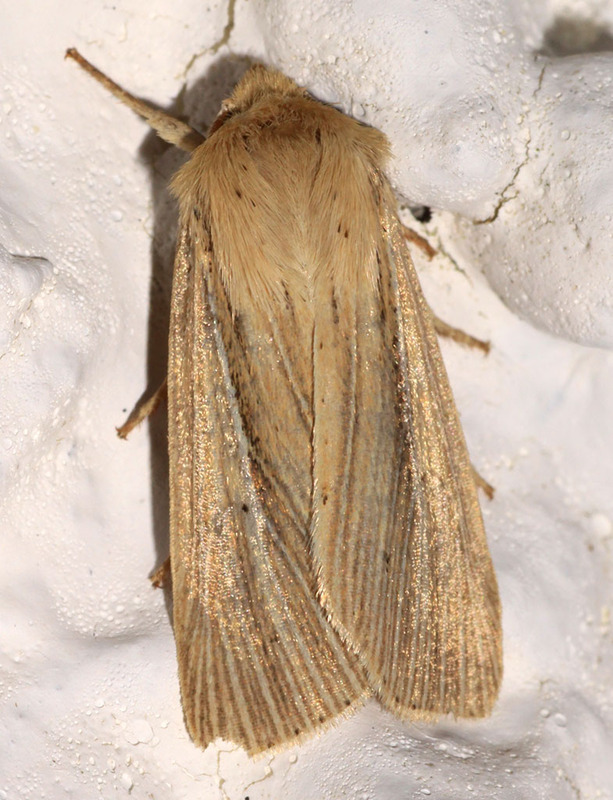 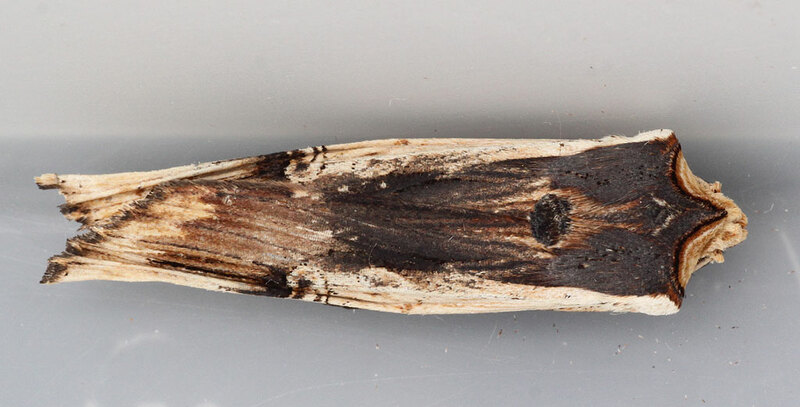 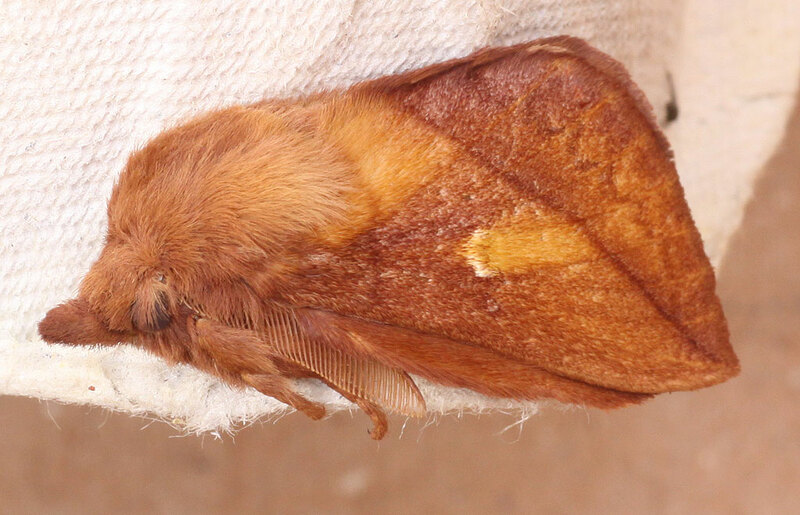 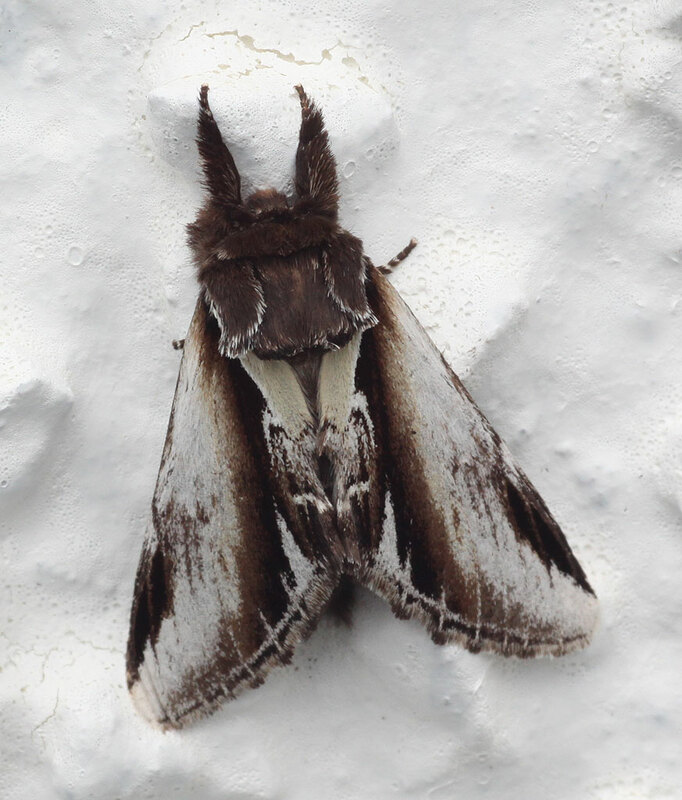 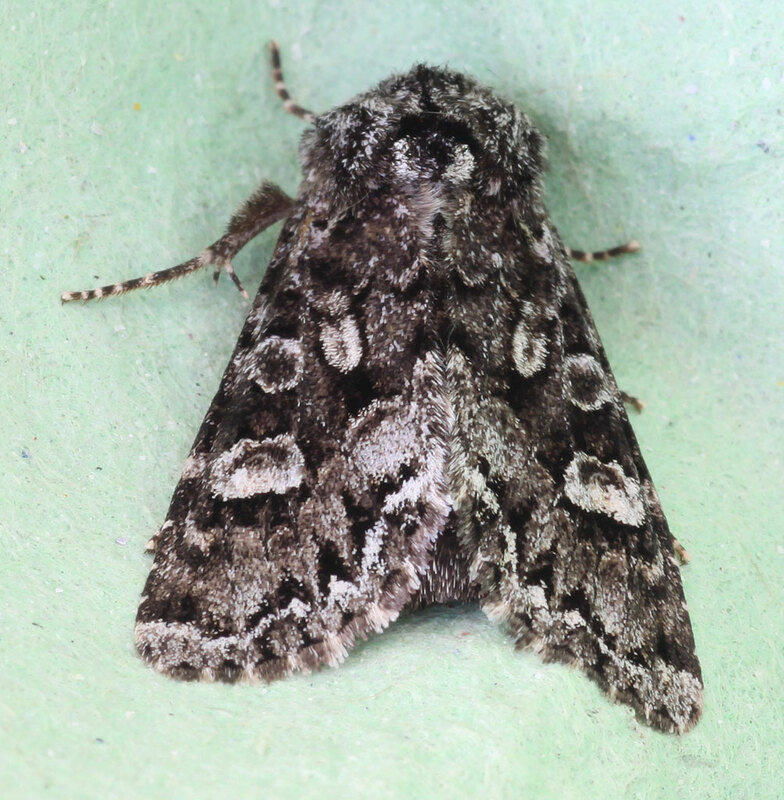 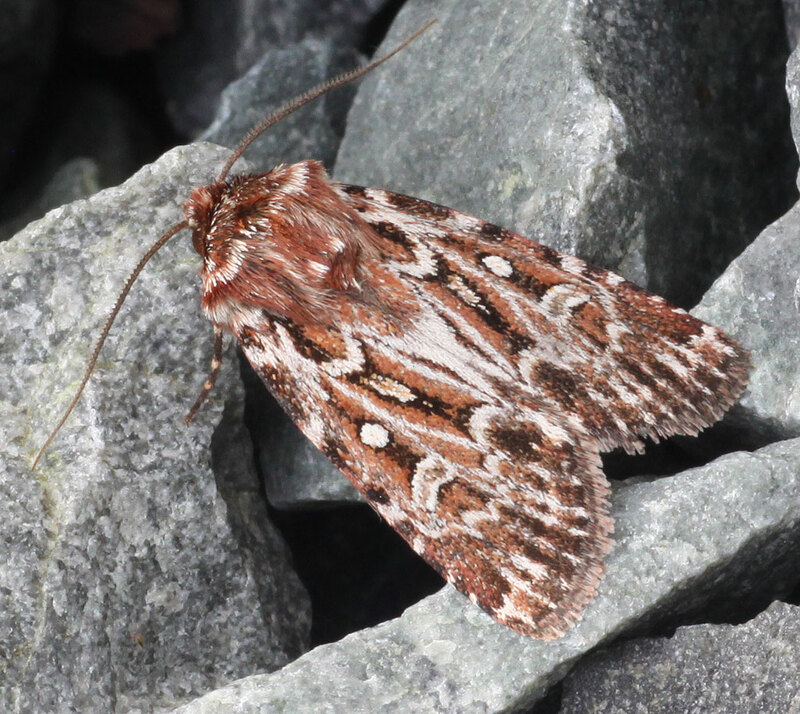 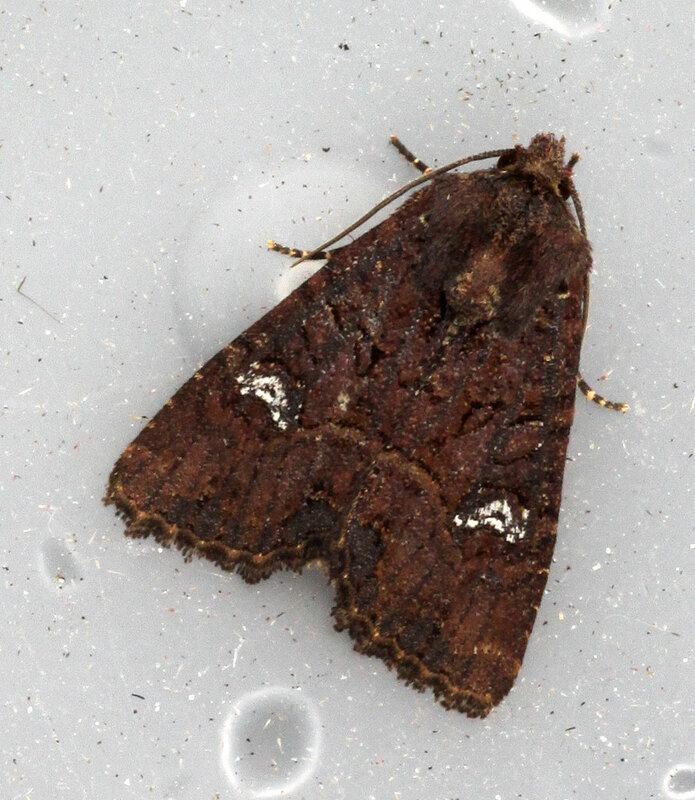 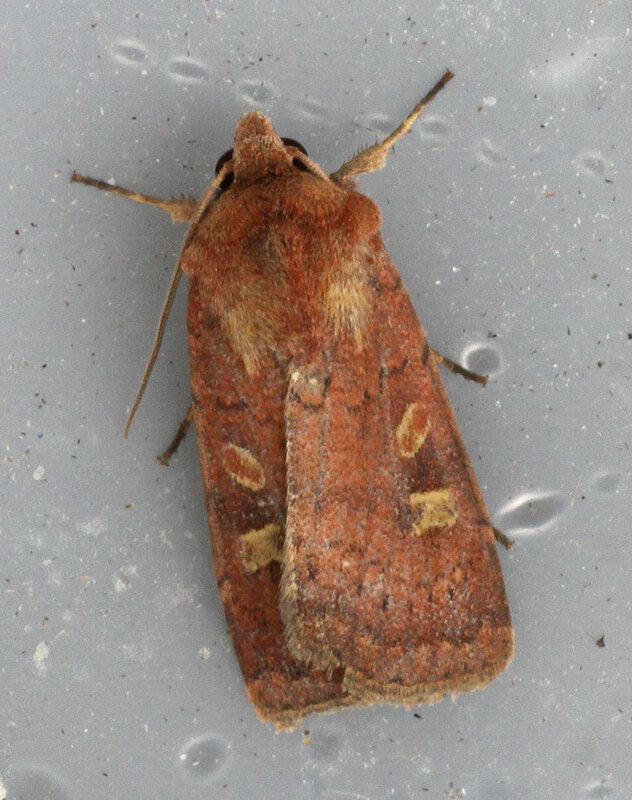 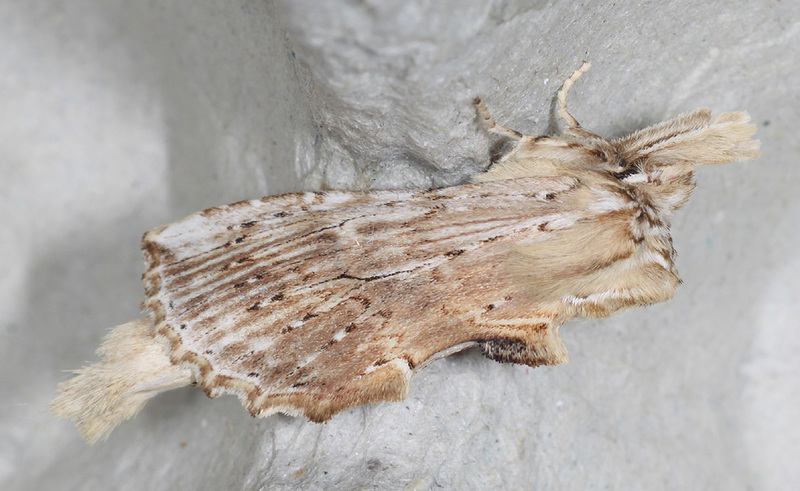 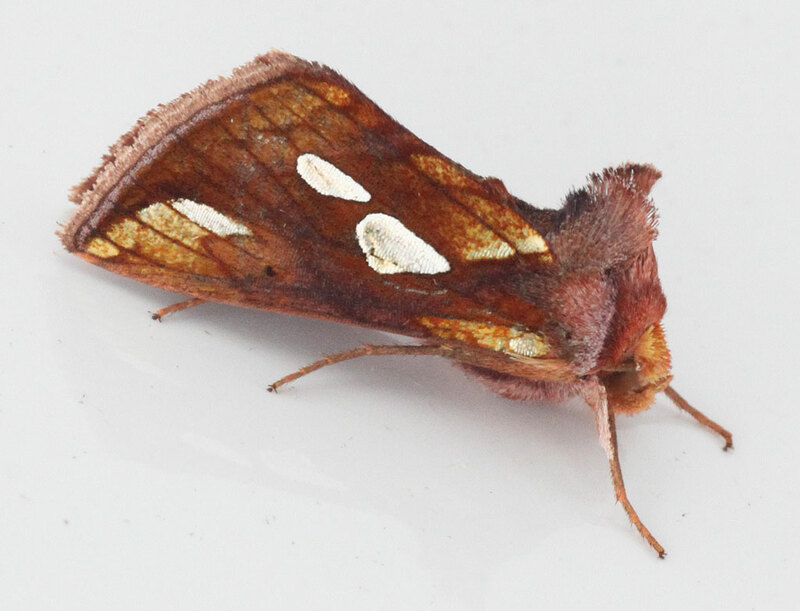 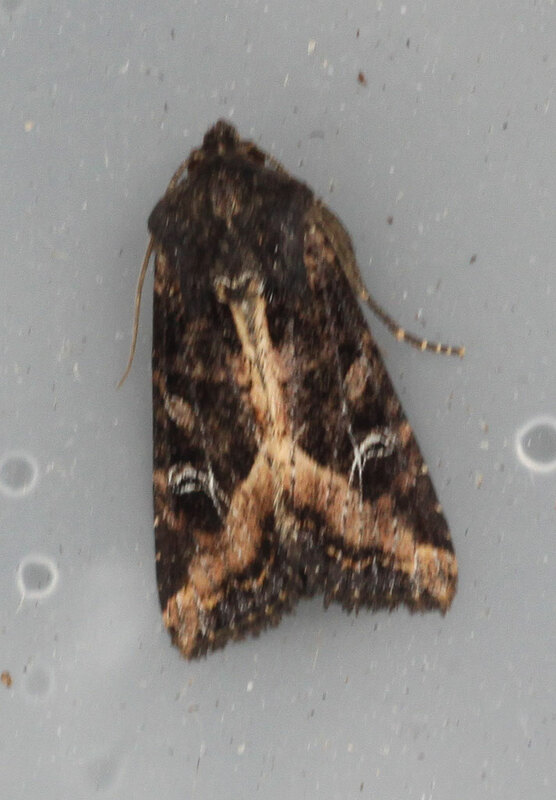 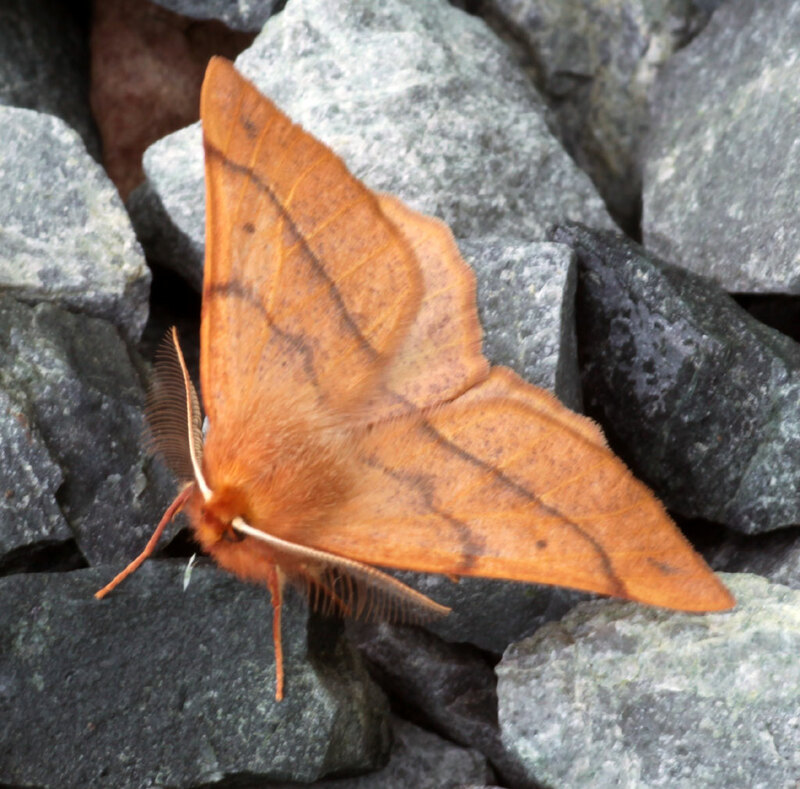 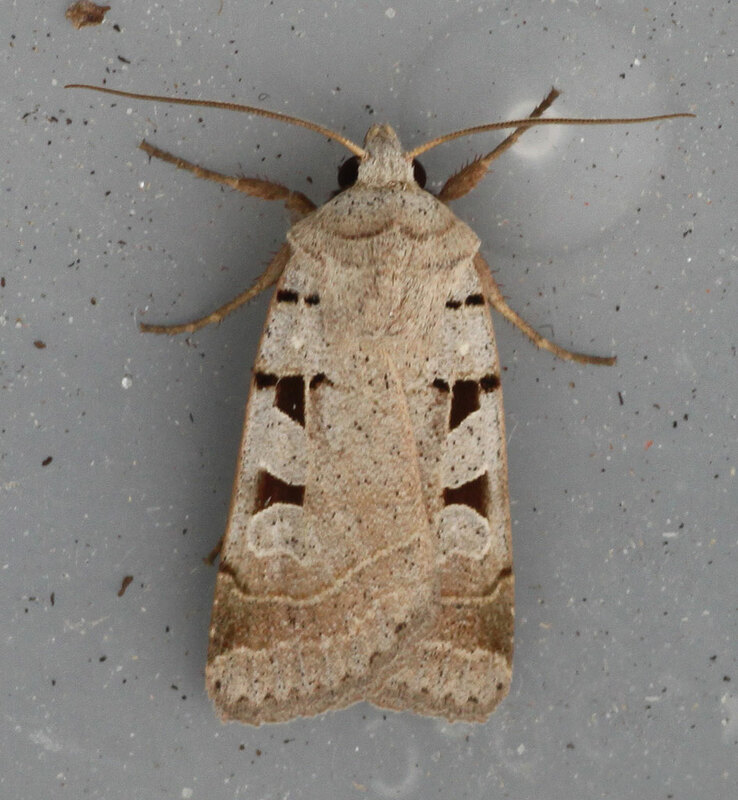 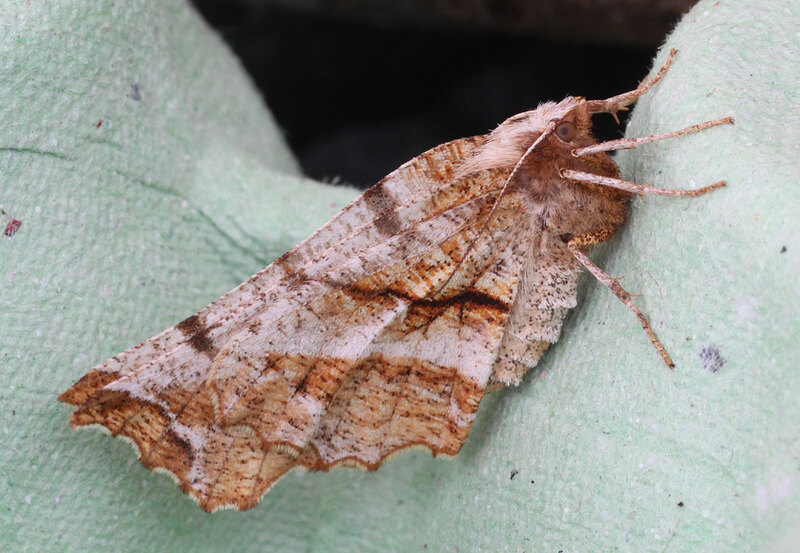 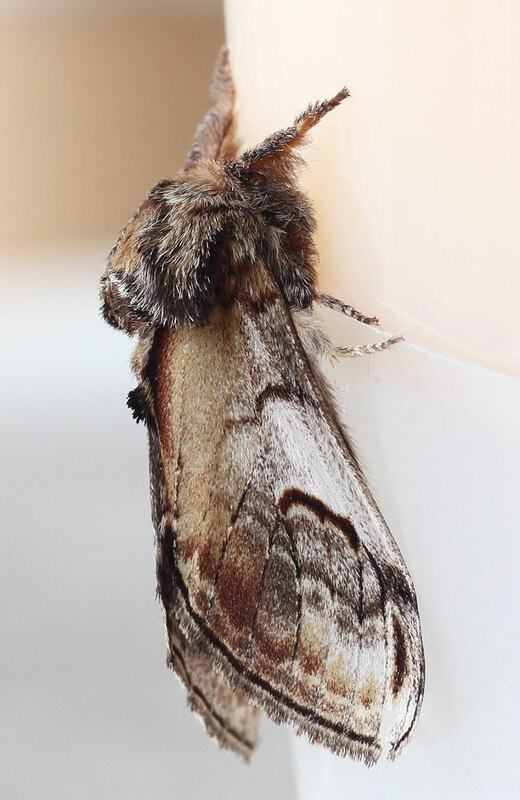 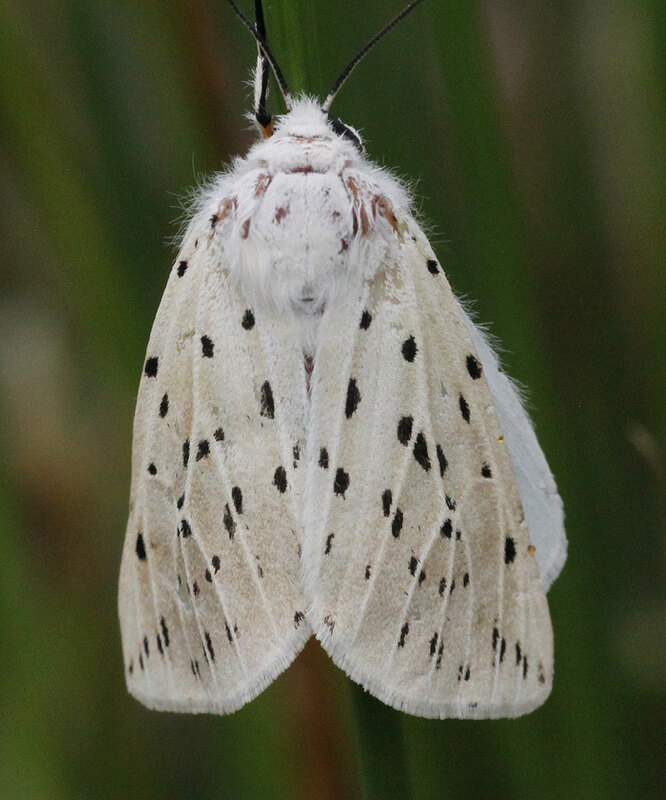 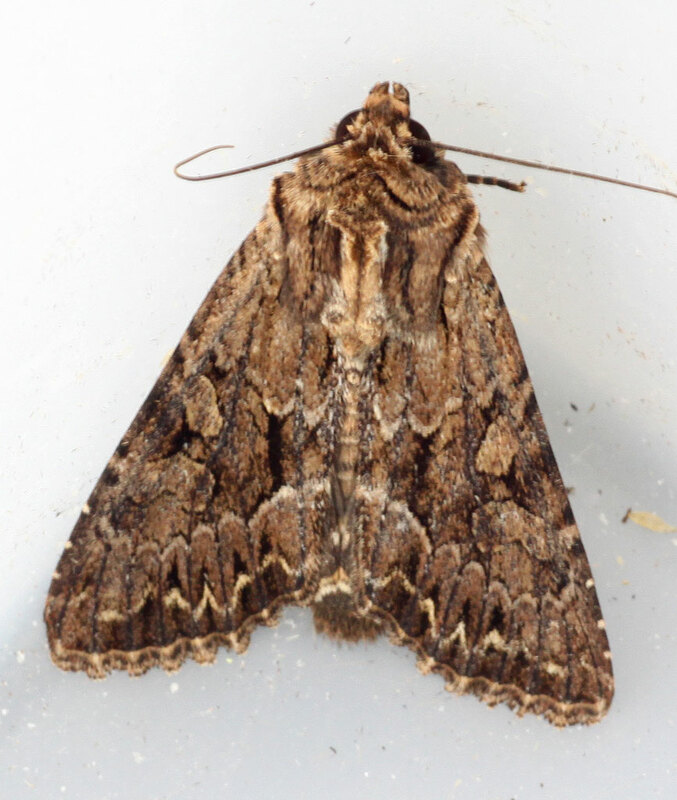 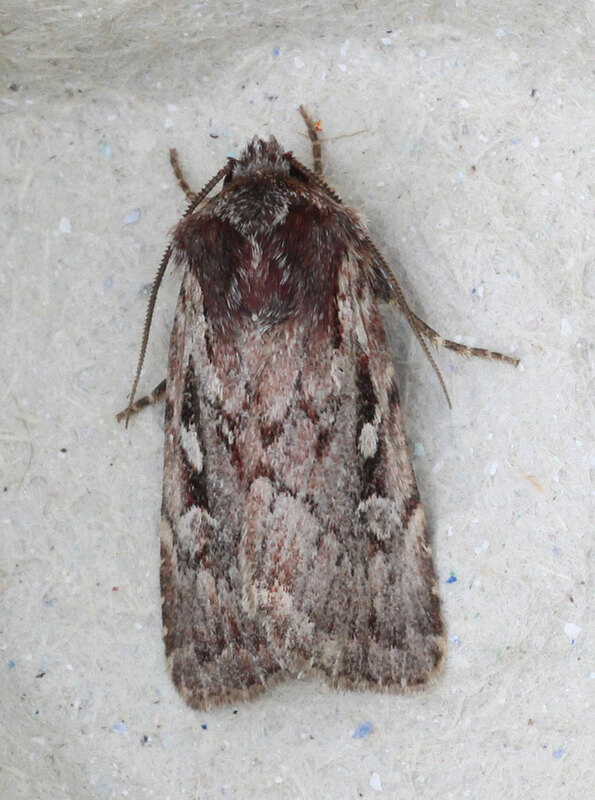 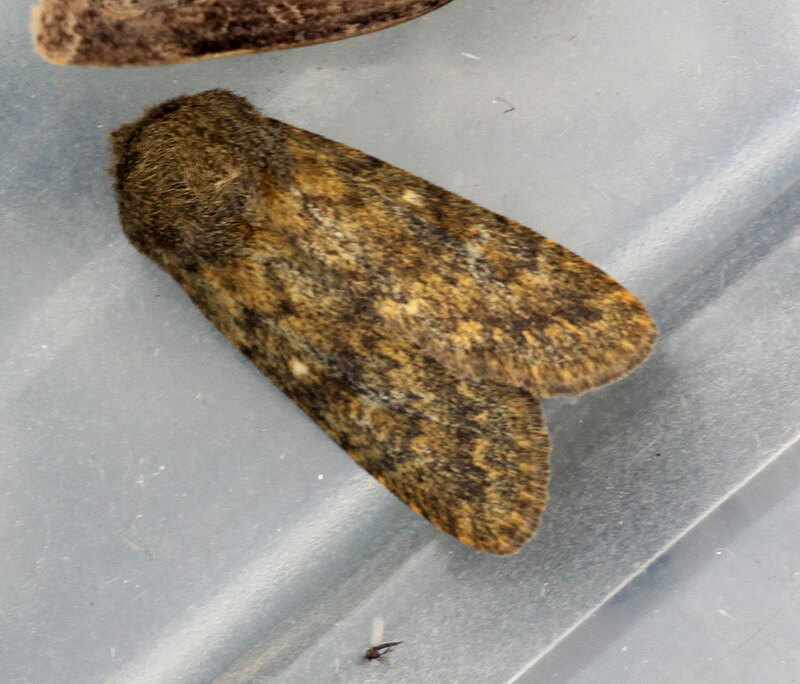 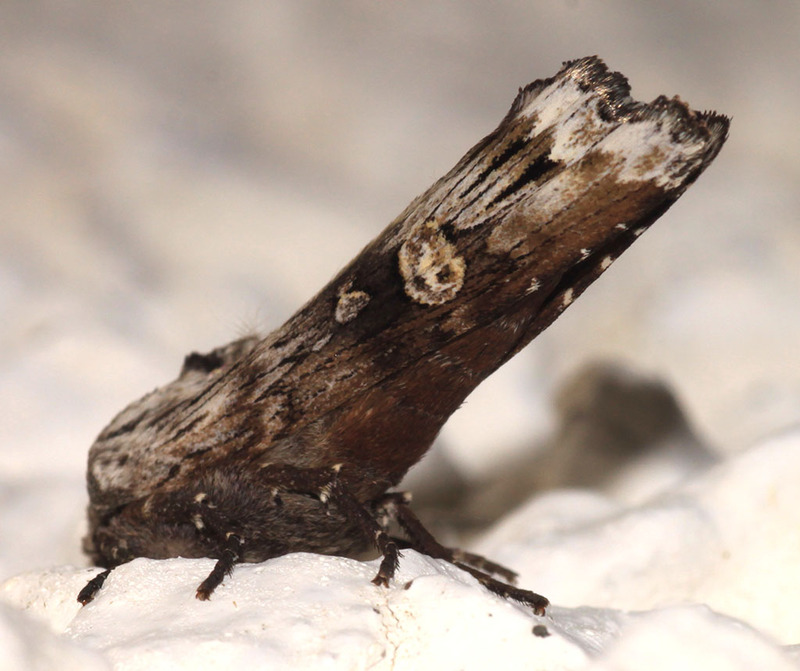 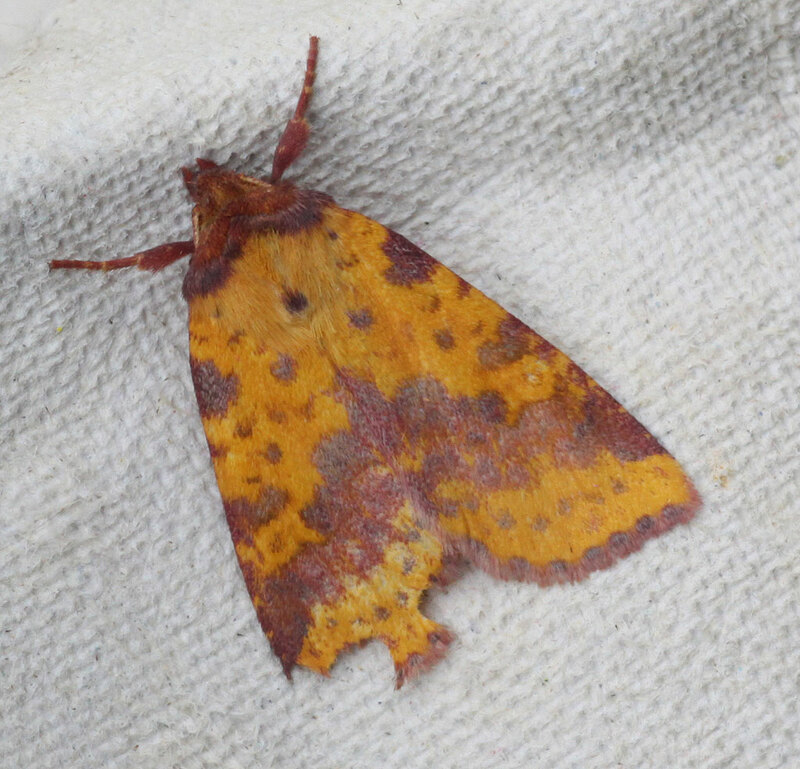 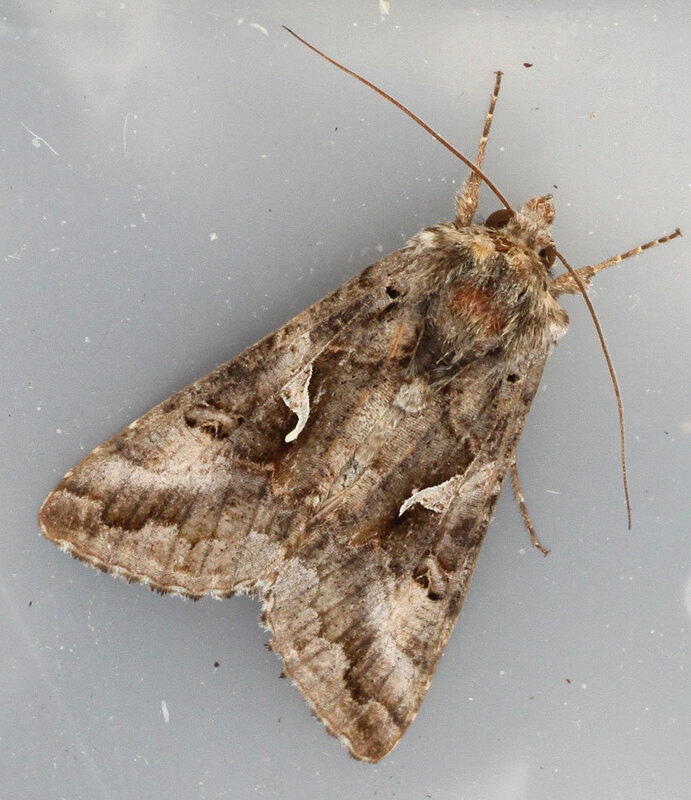 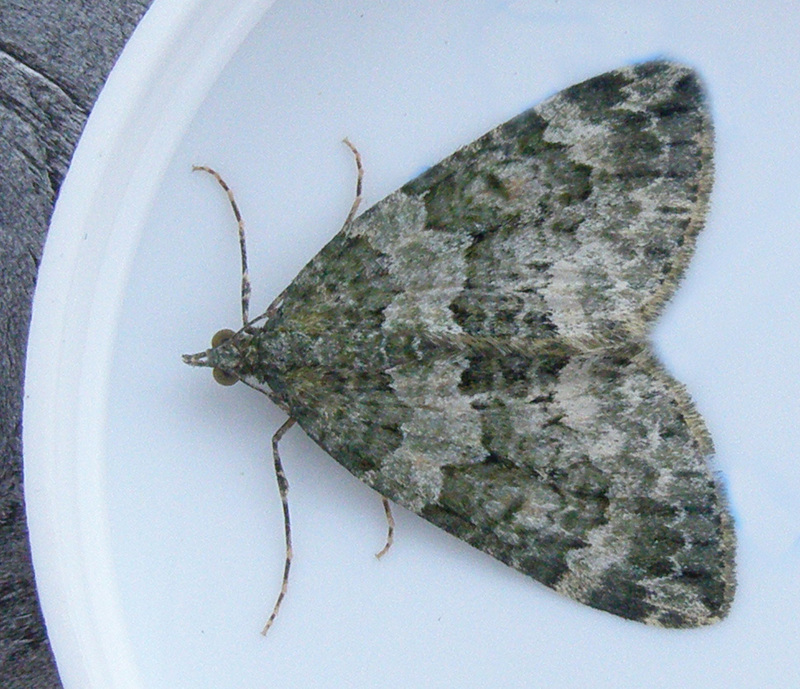 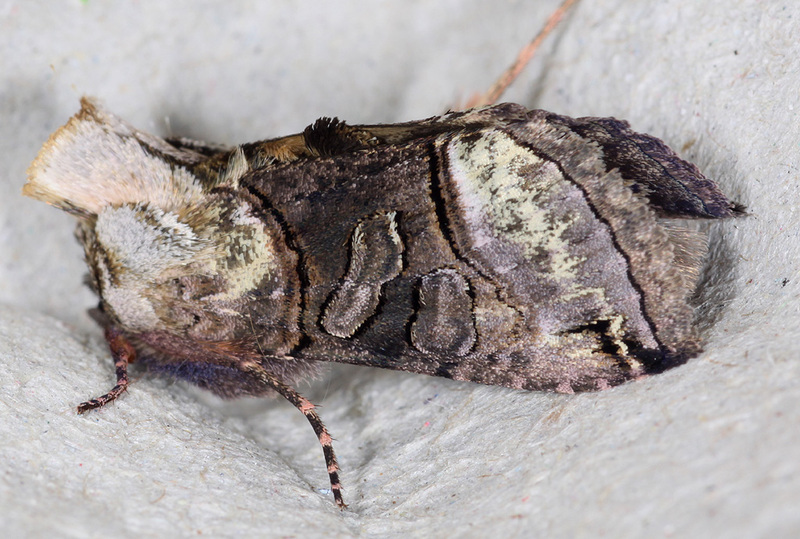 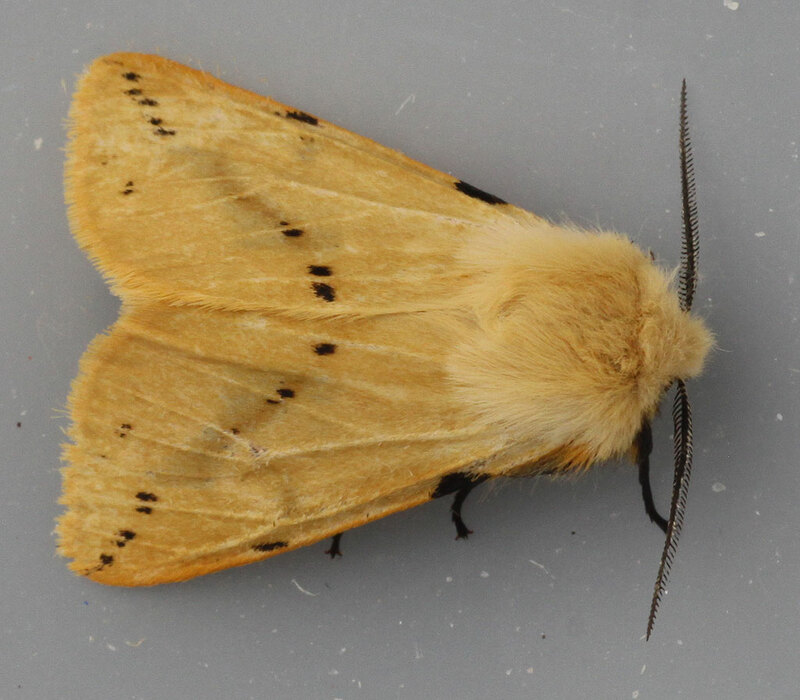 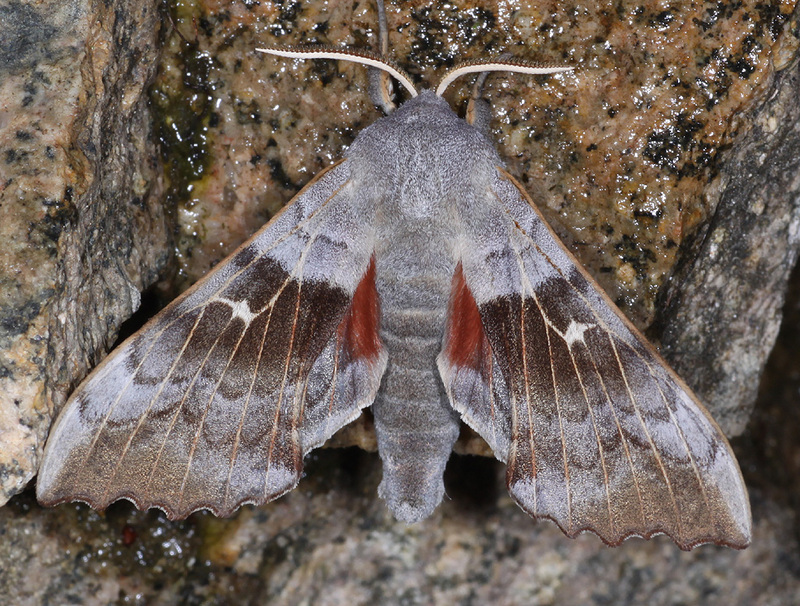 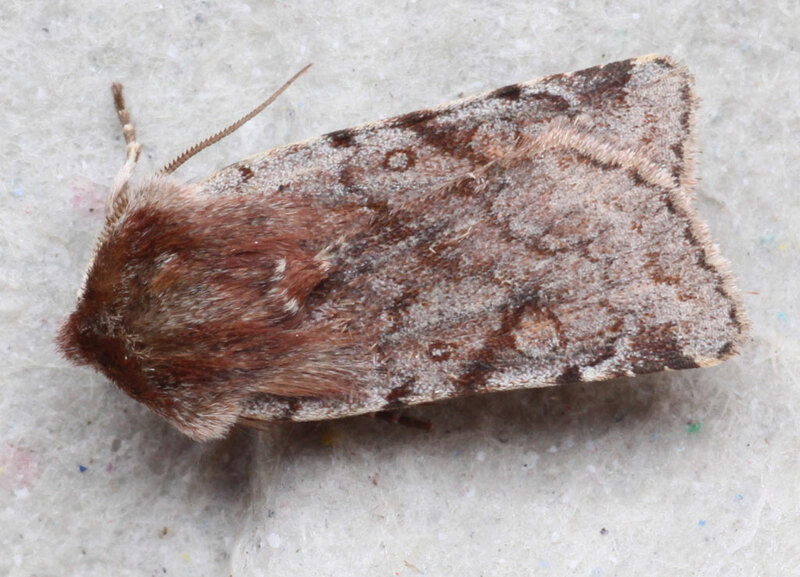 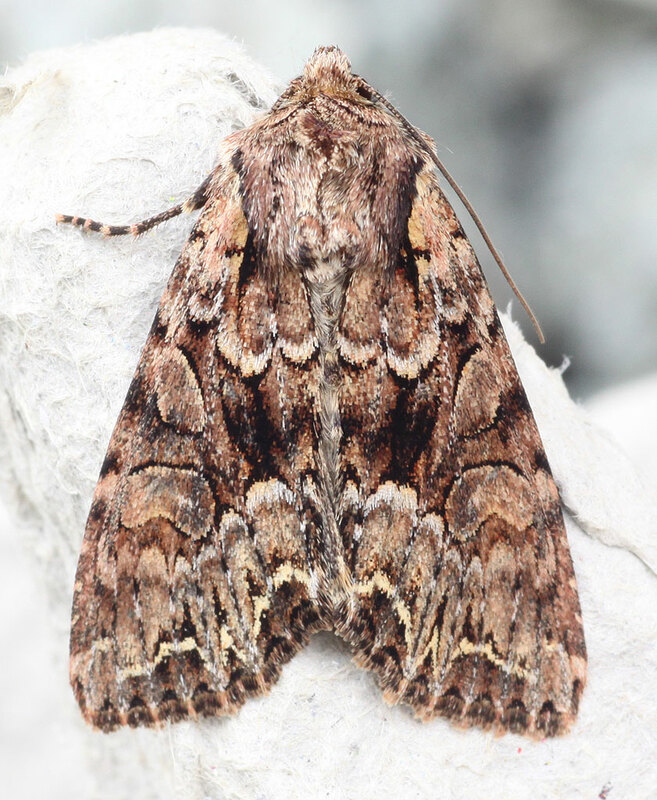 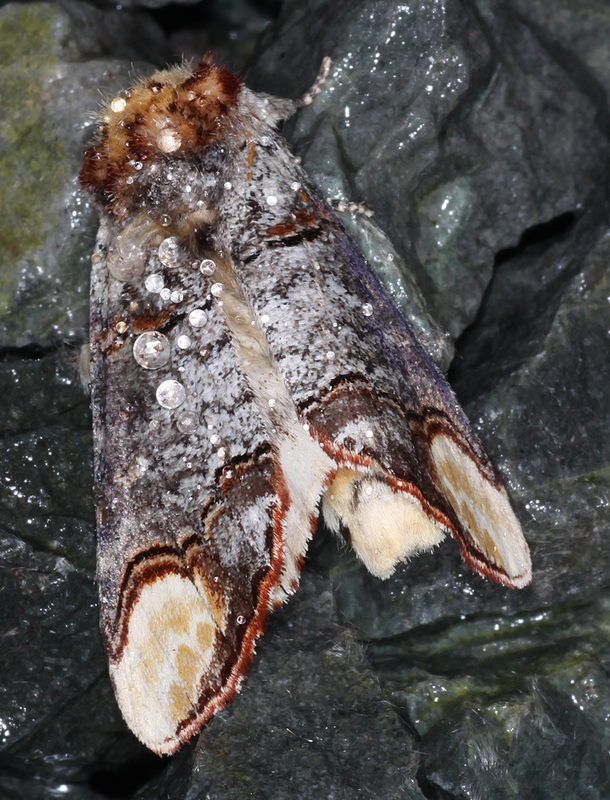 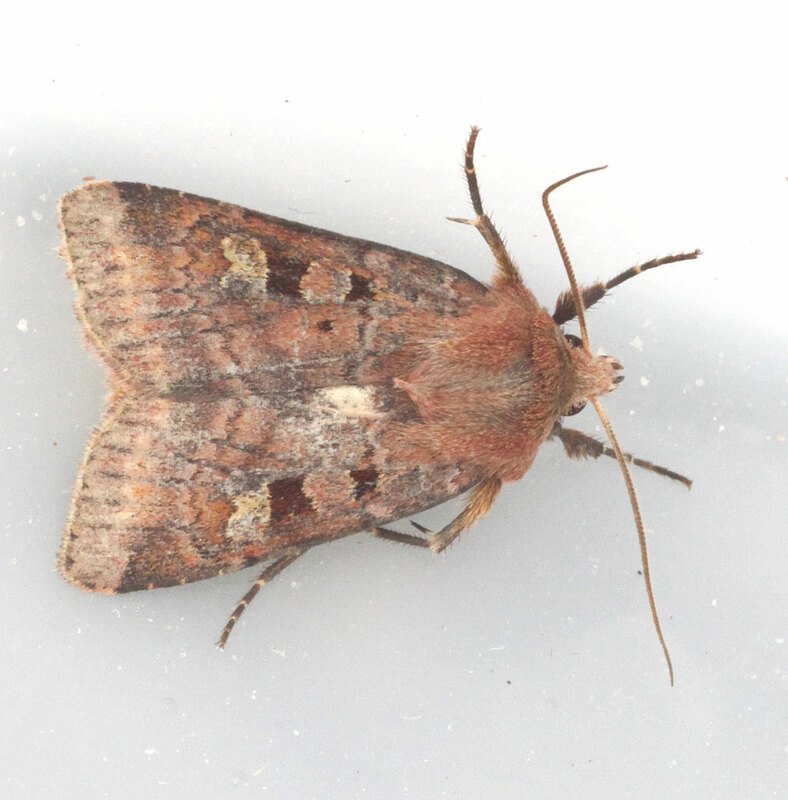 Over 300 species of macro moth have been recorded in Skye and Lochalsh. 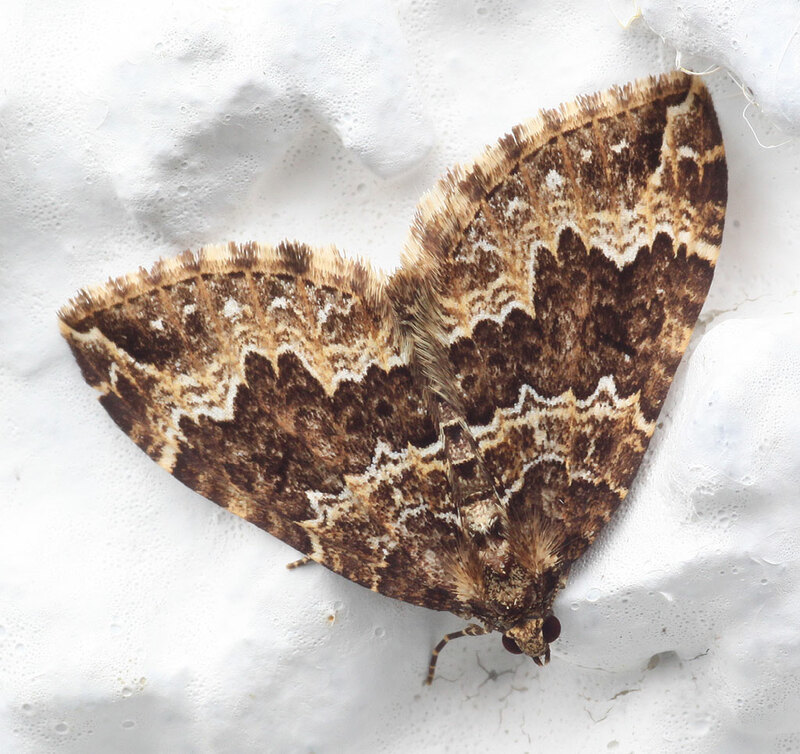 The number varies throughout the year with just eight species having been recorded in January while July has yielded around 150. 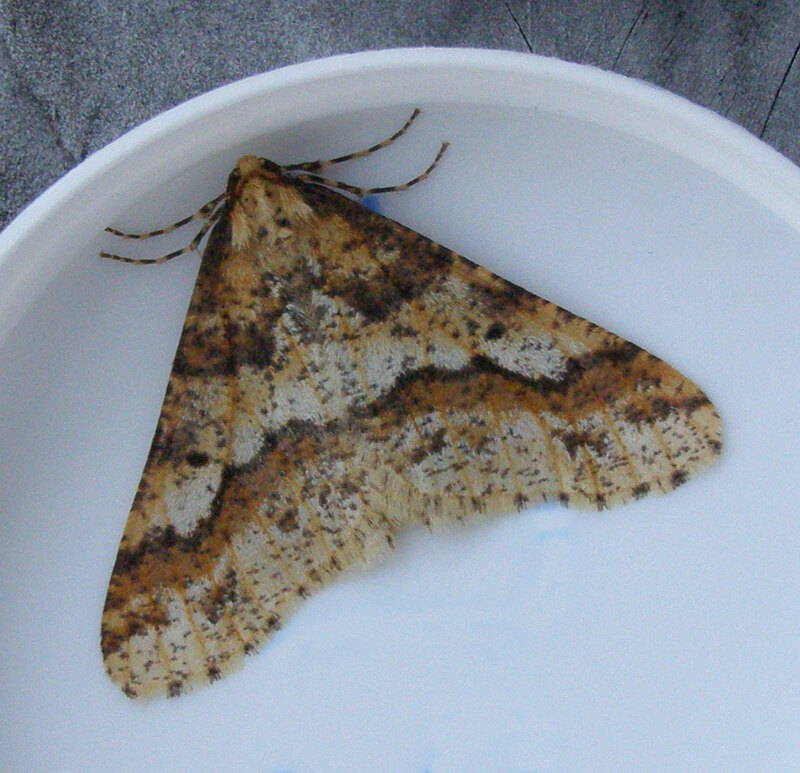 I have been using a moth trap at my home since October 2012 and have recorded around 120 species from 11 different familes. 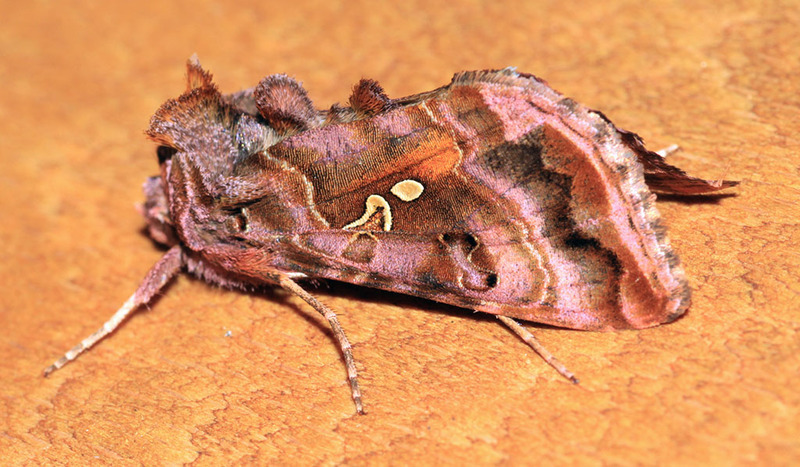 To see what is likely to be around during a particular month, click on one of the links below. 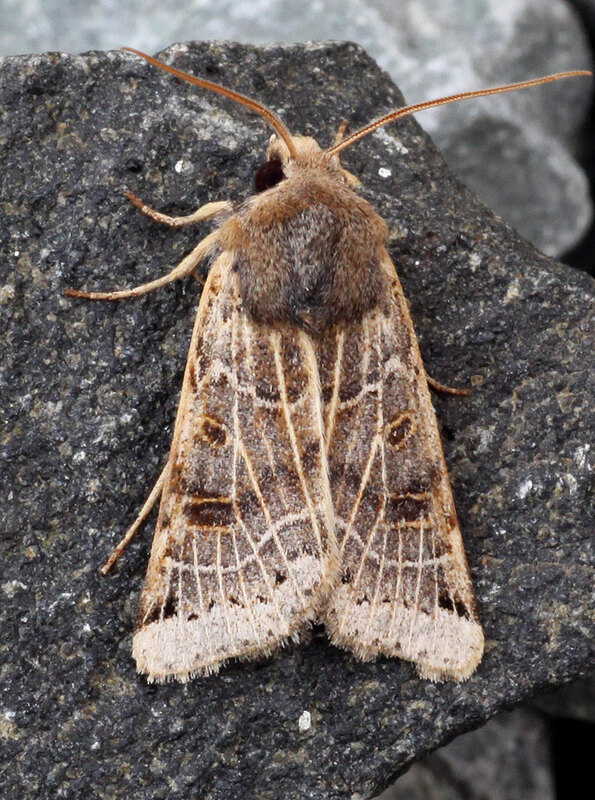 Please note that the flight season can last for several months and I have allocated each species to a particular month on the basis of when I first saw it. 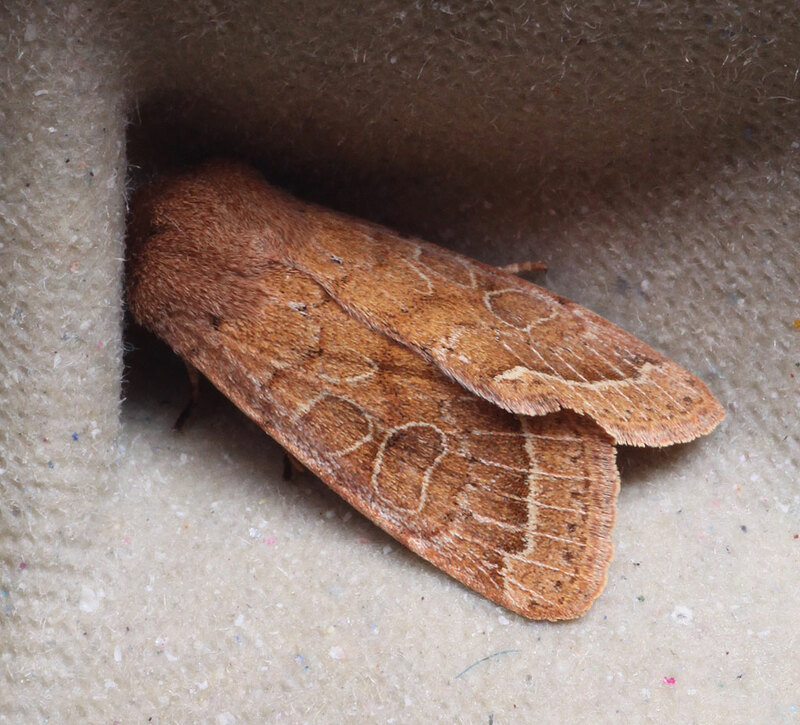 Moths have had a bad press in the past and many people still think of them as the creatures that make holes in clothes. 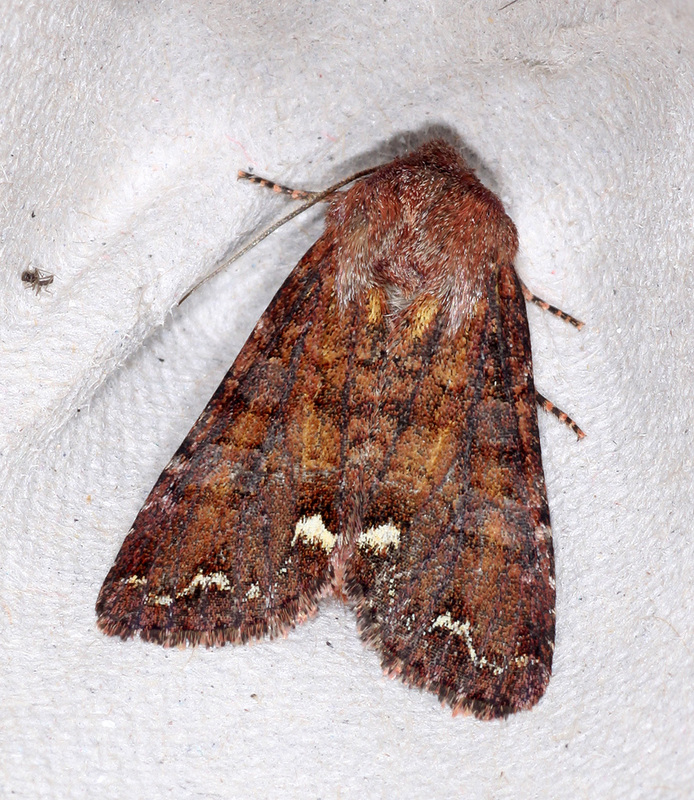 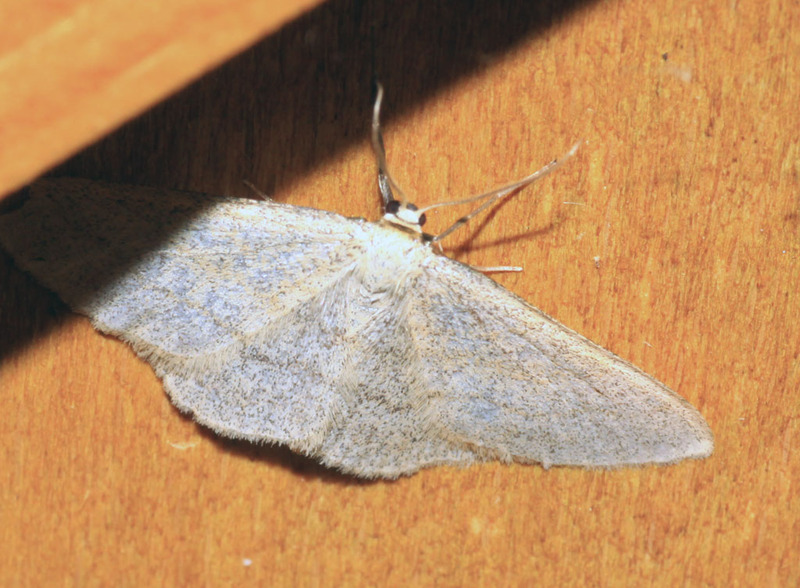 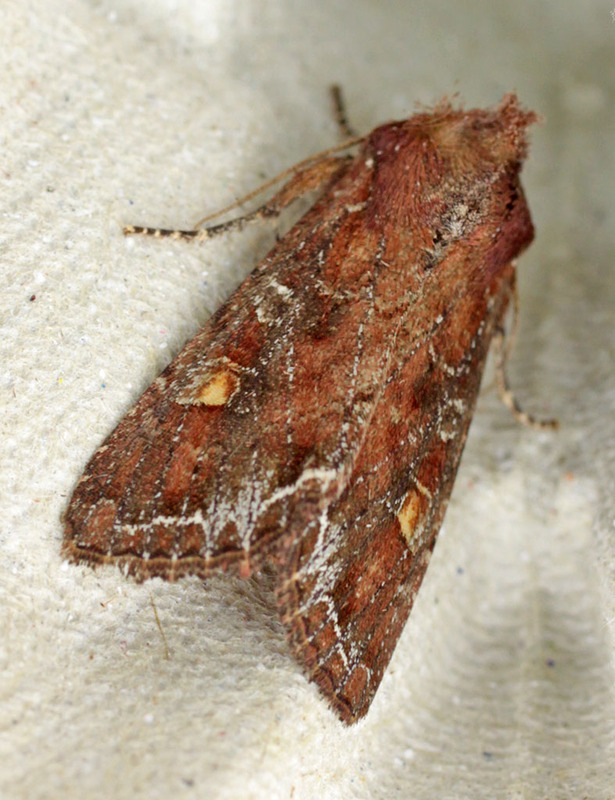 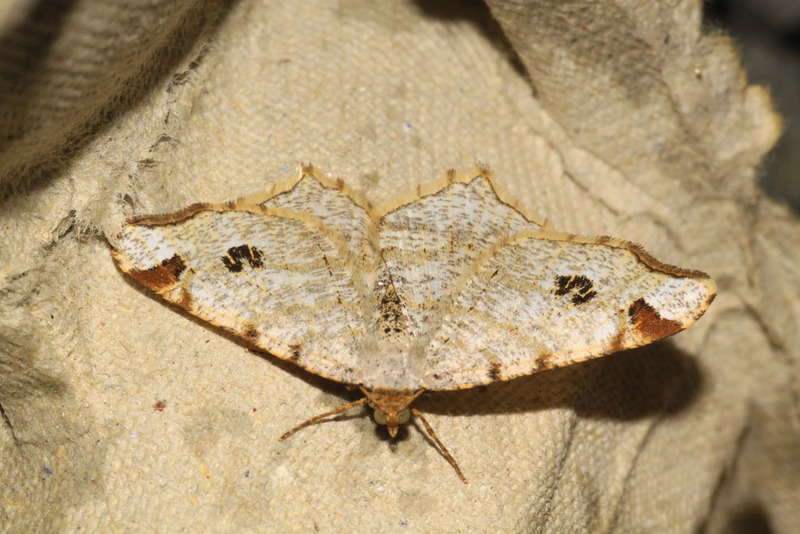 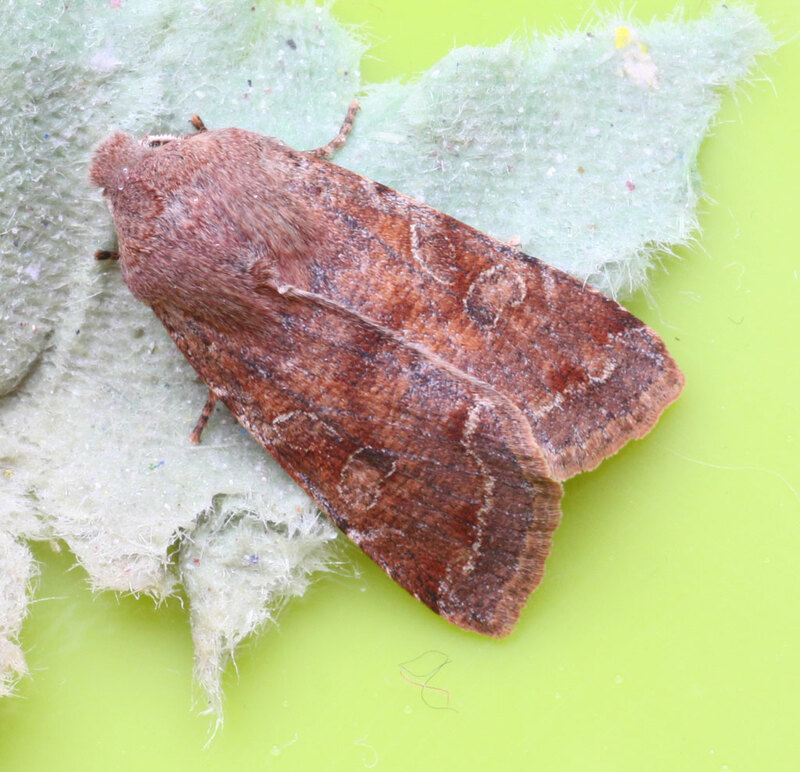 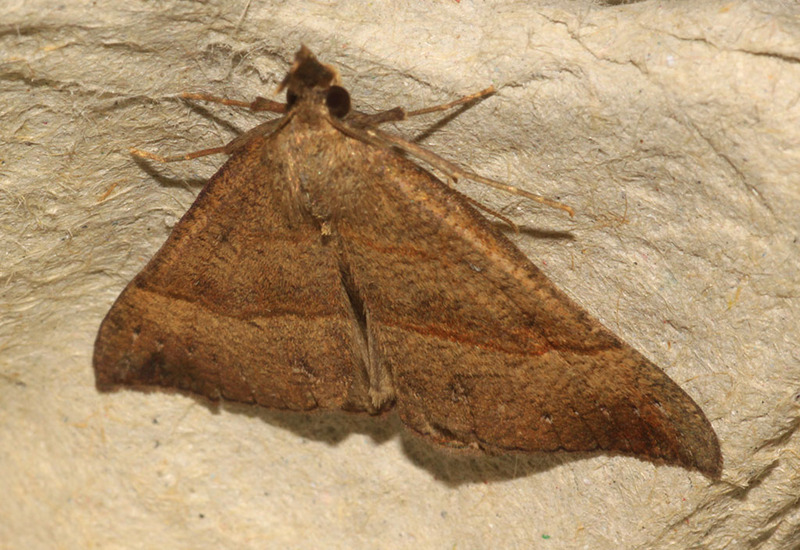 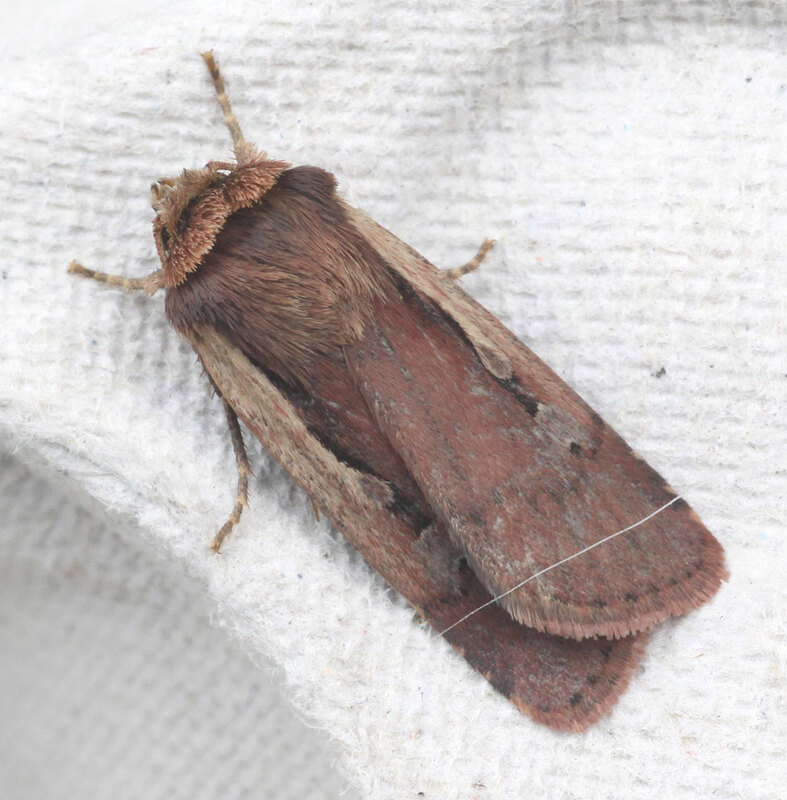 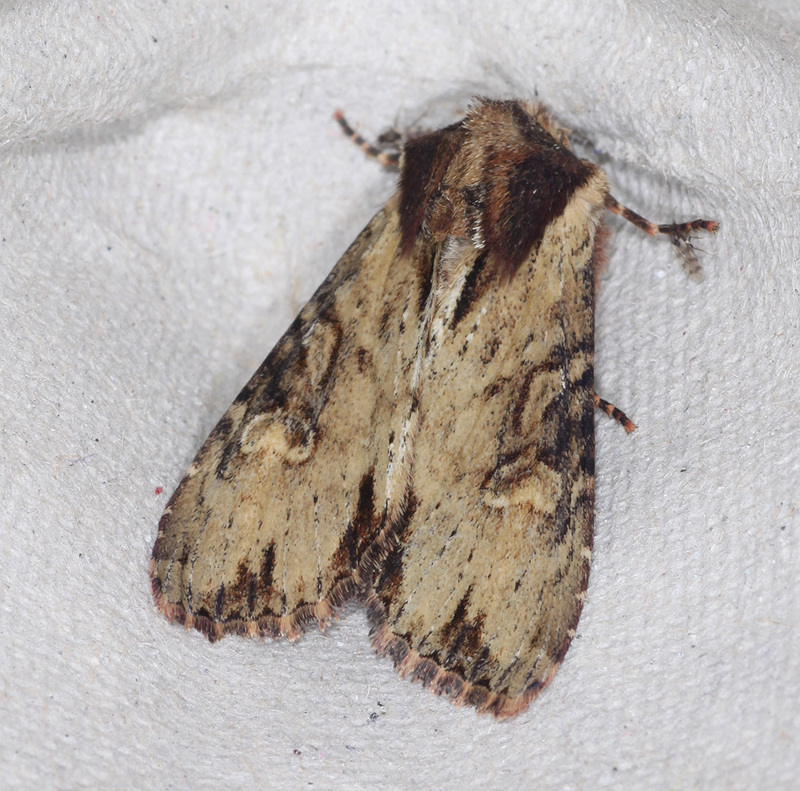 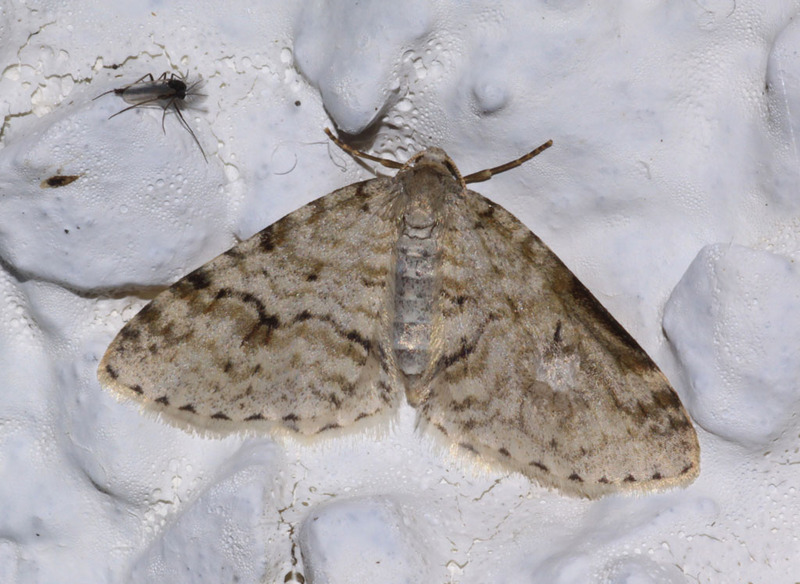 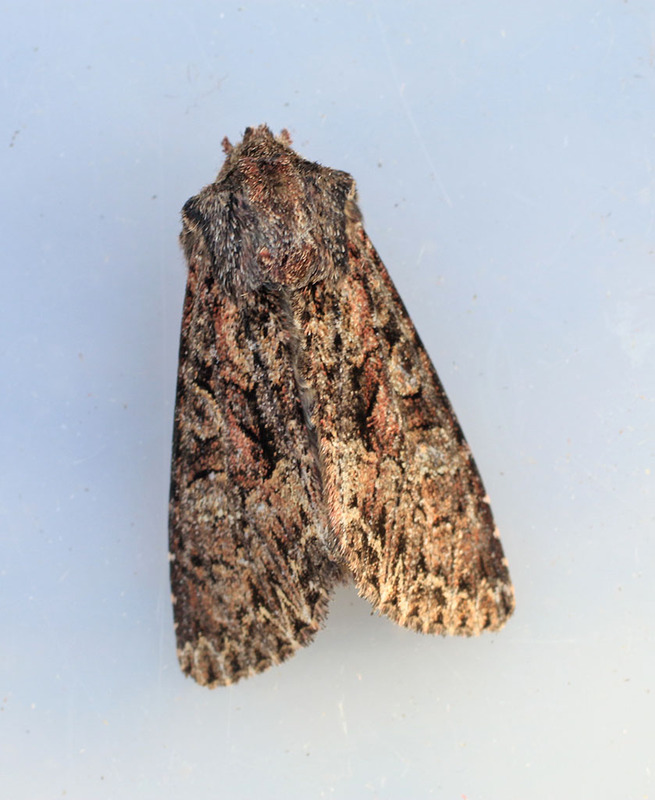 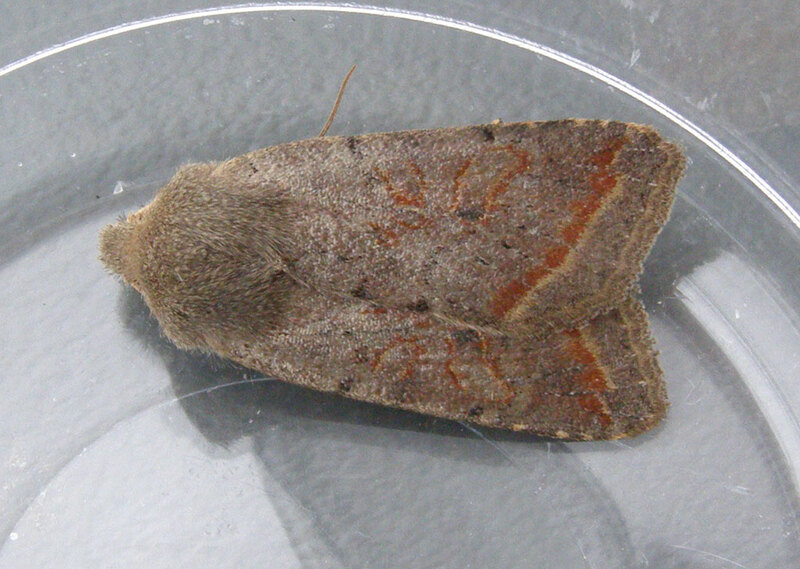 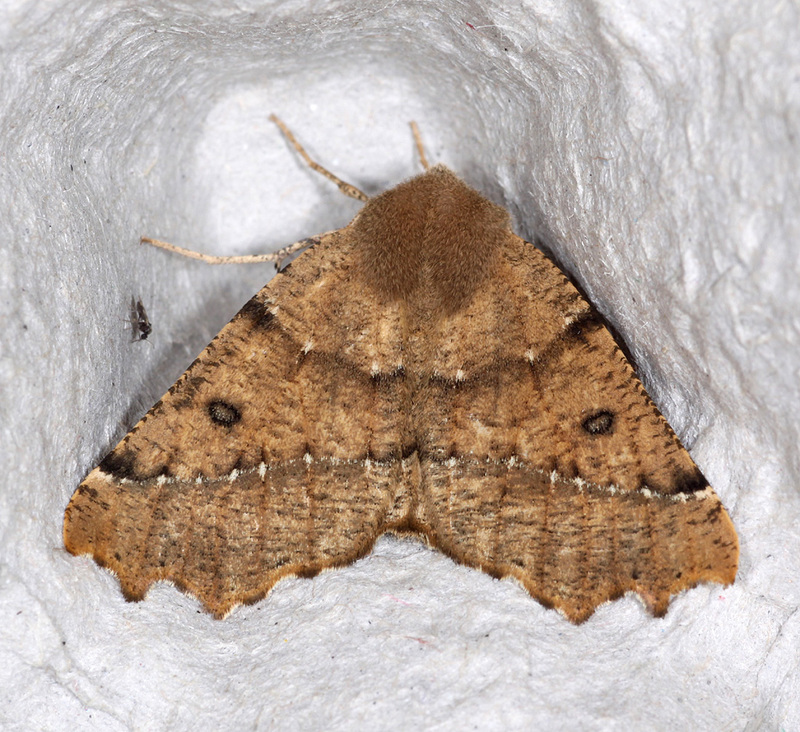 However attitudes have changed considerably in recent years and moth trapping has become a very popular hobby. 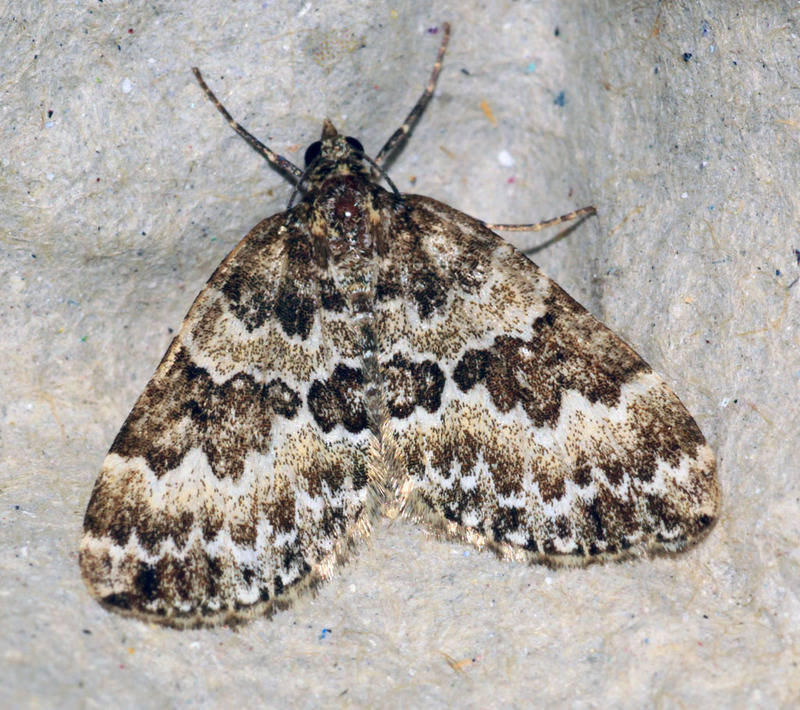 Much of this change can be attributed to the publication of the Field Guide to the Moths of Great Britain and Ireland in 2003. 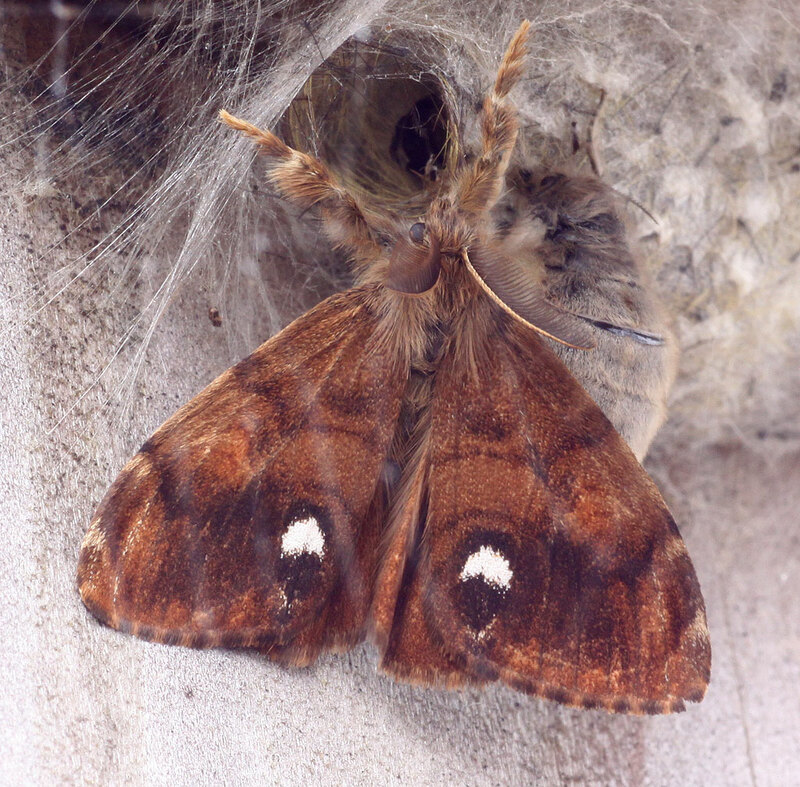 Paul Waring and Martin Townsend were the authors and Richard Lewington provided the superb illustrations. 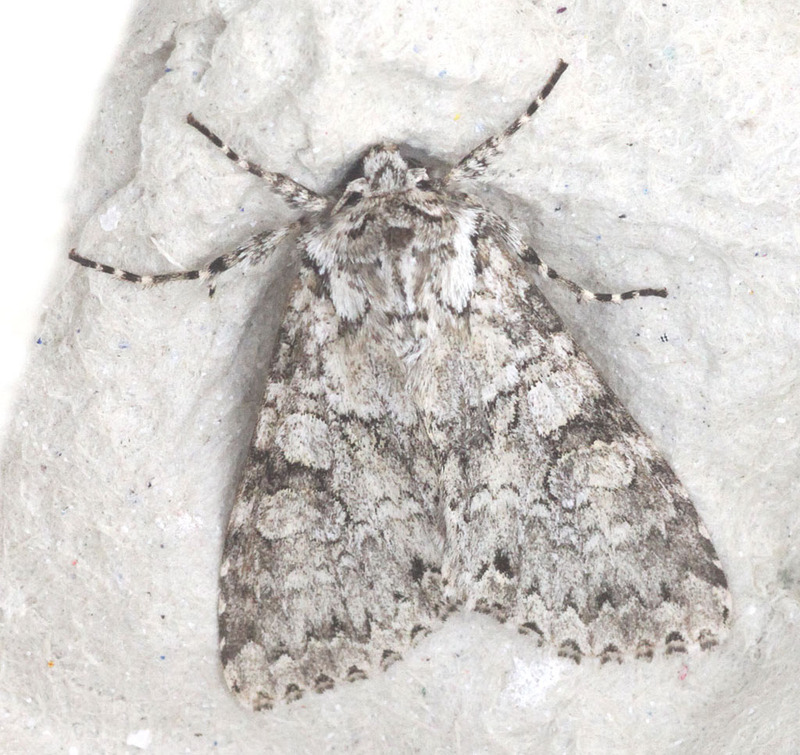 It was the first time that all the British and Irish macro-moths had been illustrated in a single volume and in a natural posture rather than as pinned out specimens from a museum. 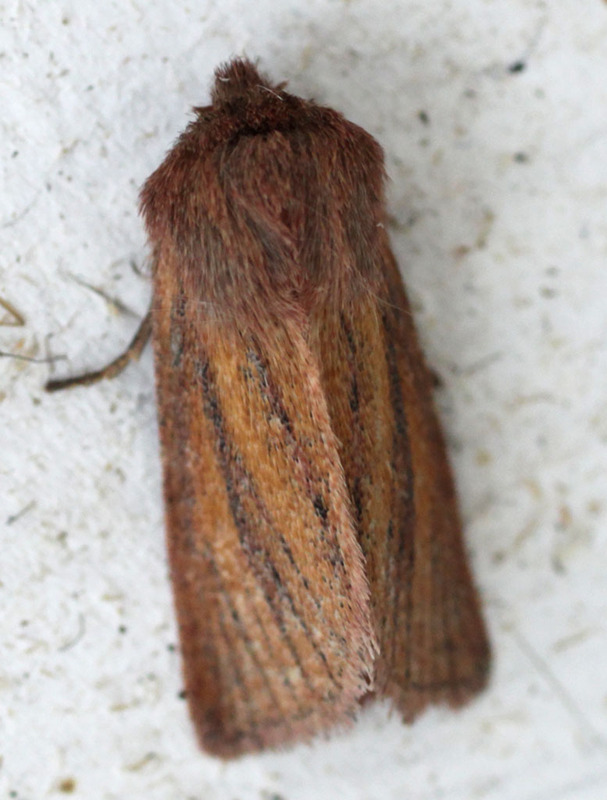 This made identification much easier than it had ever been before. 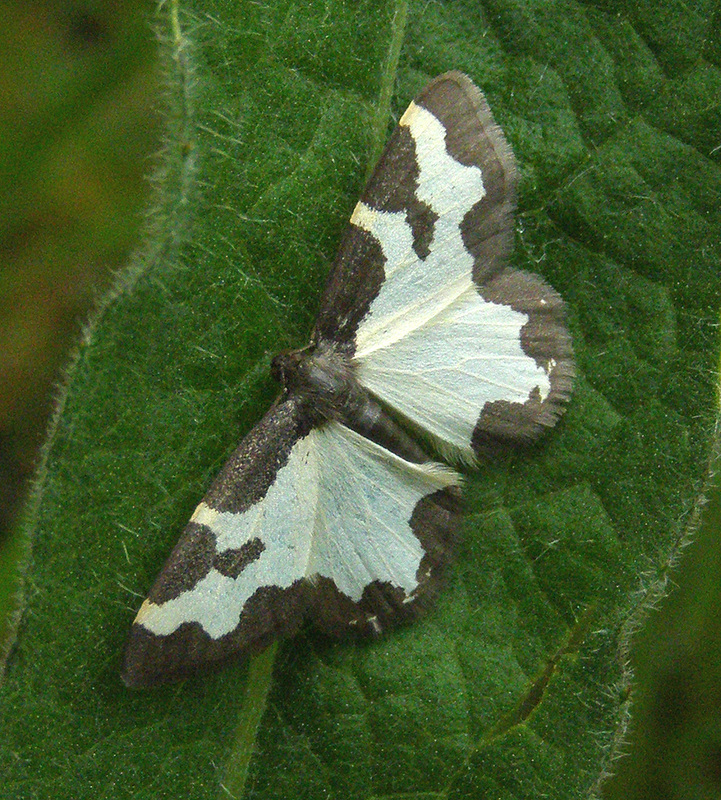 Soon after this, Butterfly Conservation set up the National Macro-moth Recording Scheme (NMRS), which involved appointing a Vice-County Recorder for every vice-county. 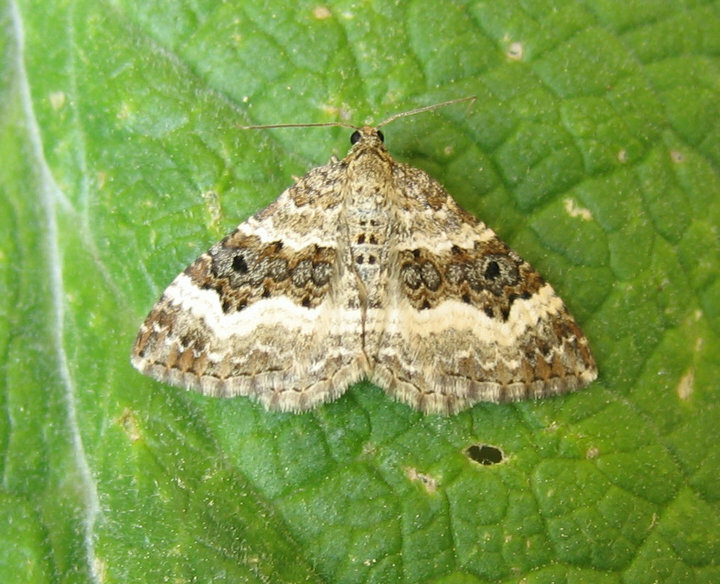 Vice-Counties are suitably sized areas for biological recording originally set up by the Botanical Society of the British Isles. 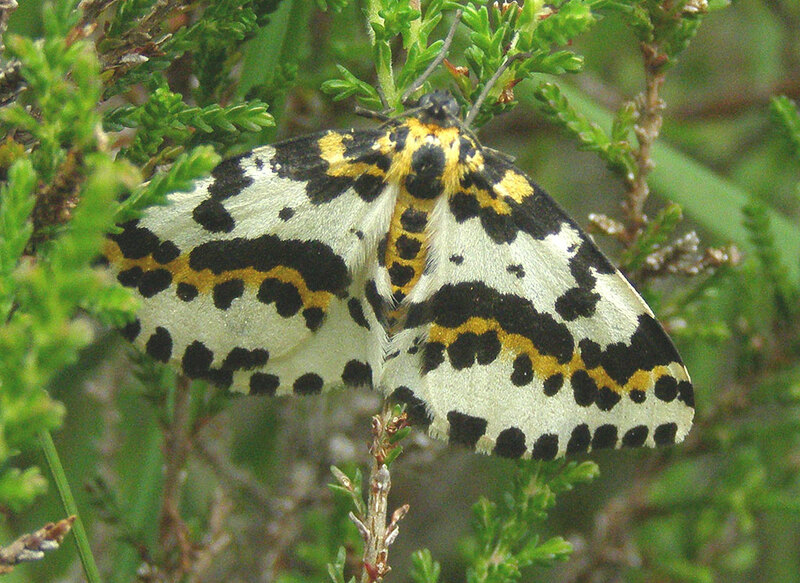 In the Highlands these are divisions of the old county boundaries such as East and West Sutherland, East and West Ross-shire and East and West Inverness-shire. 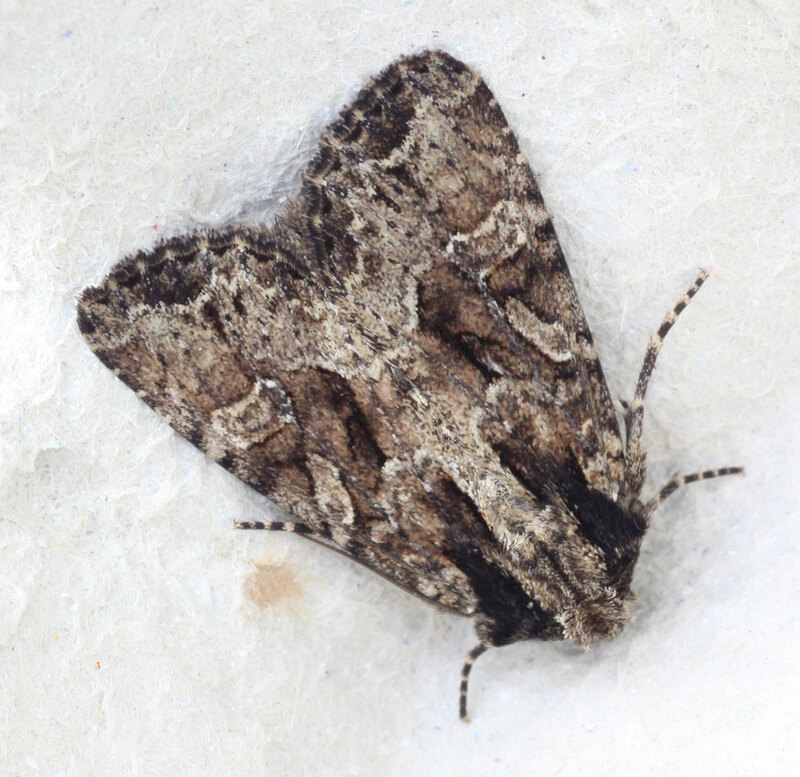 All records of macro-moths have to be accepted by the appropriate Vice-County Recorder before being entered into the NMRS. 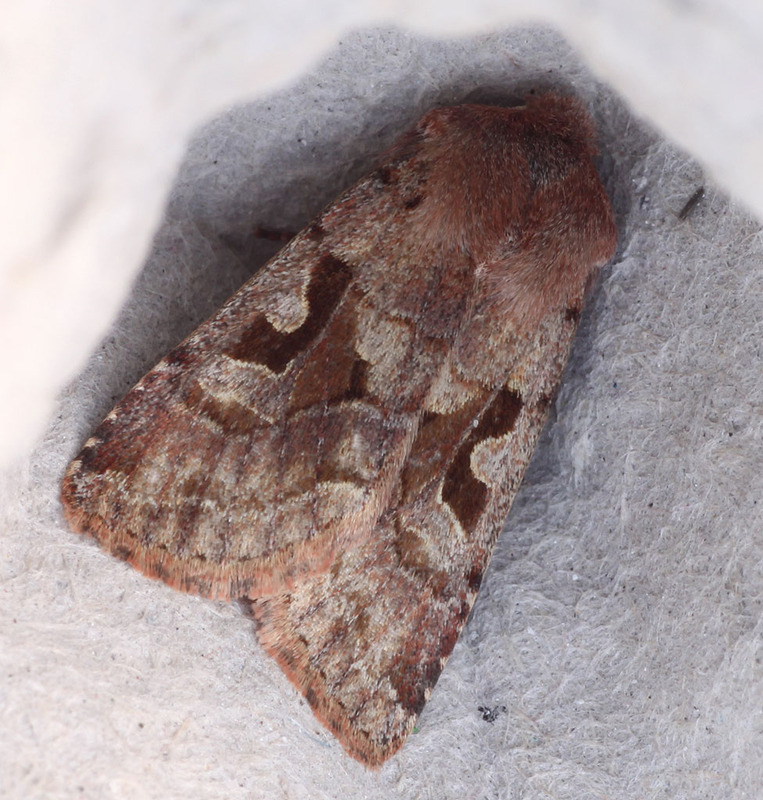 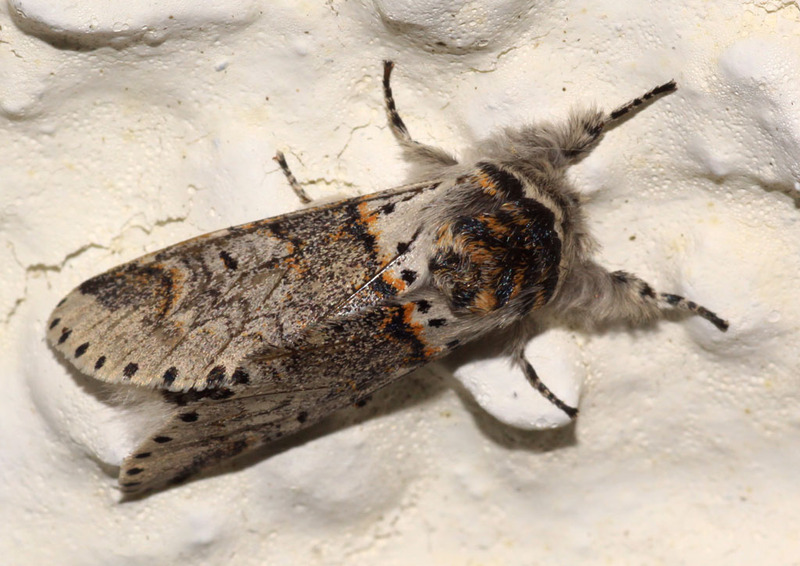 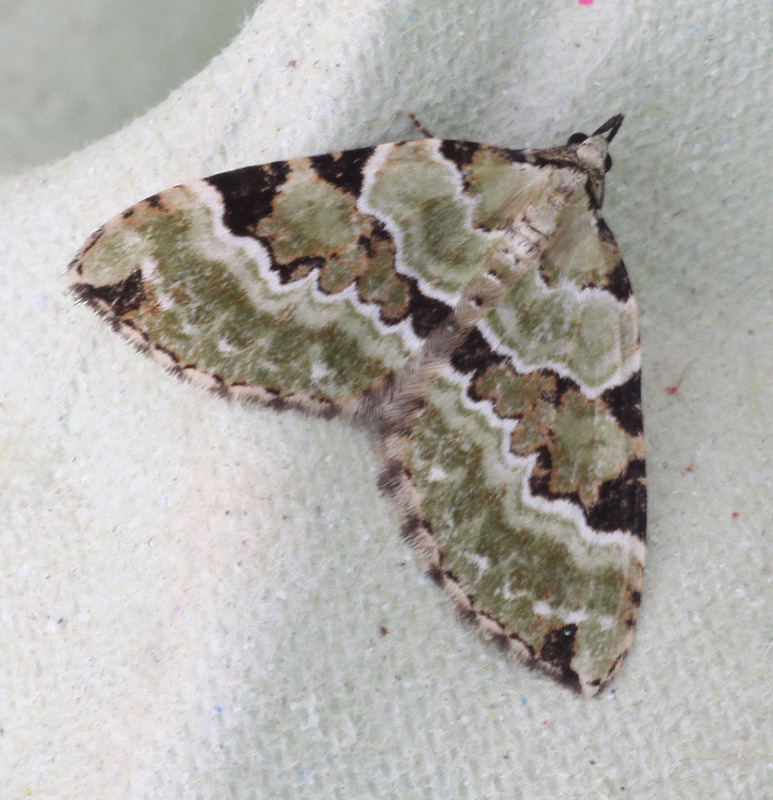 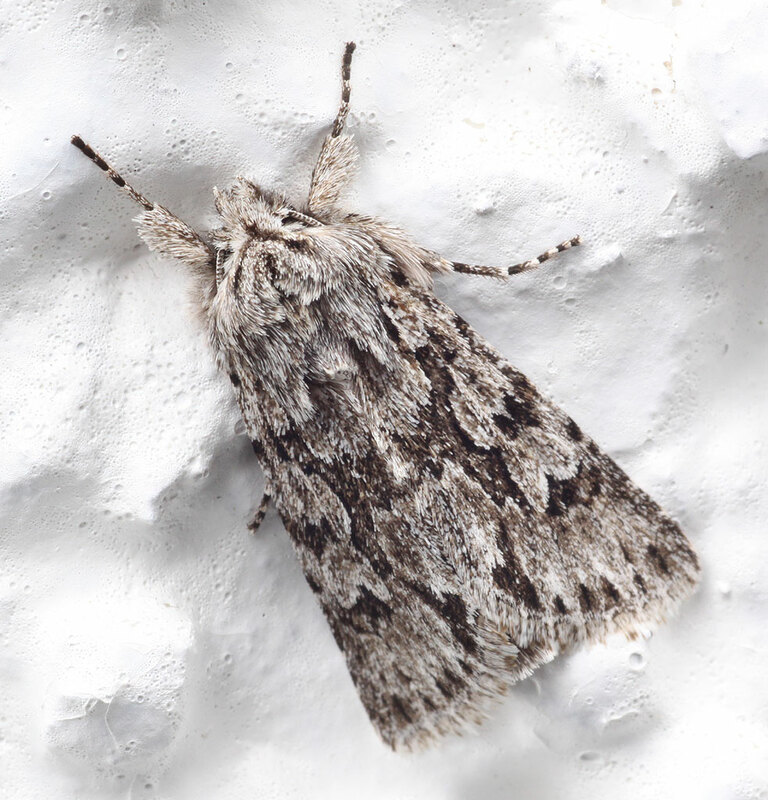 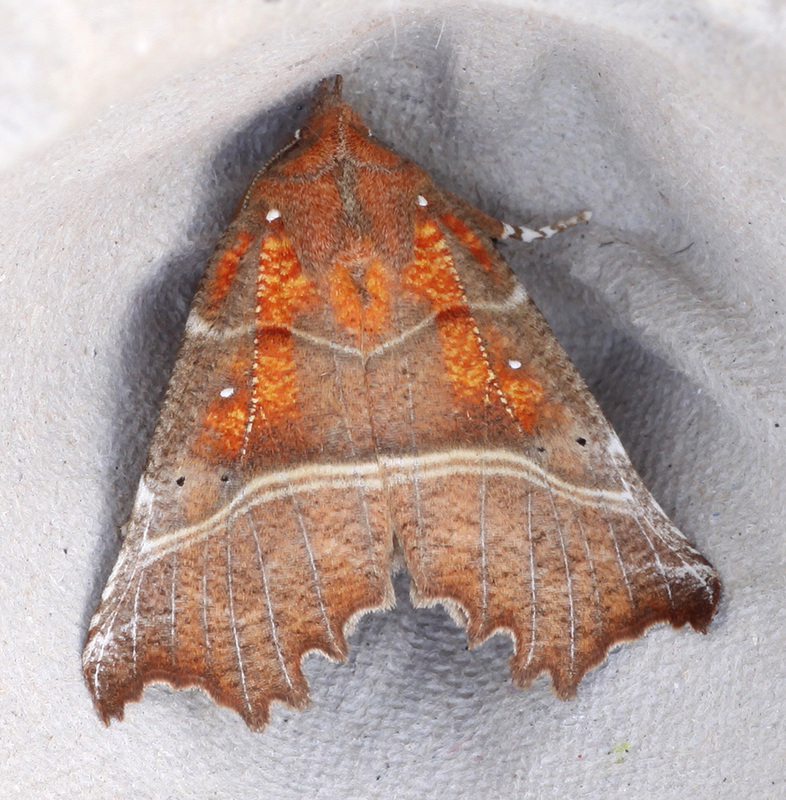 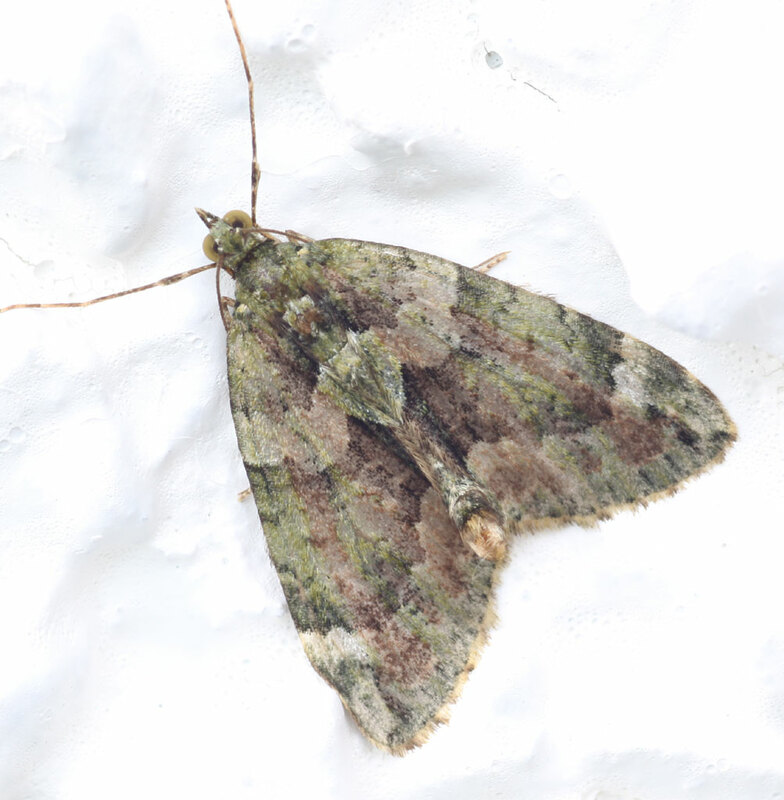 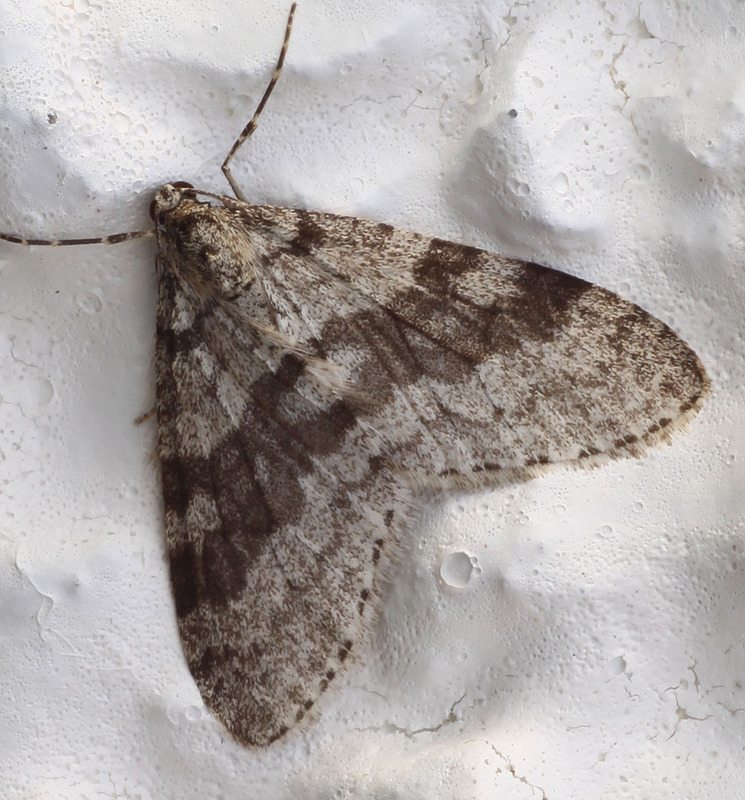 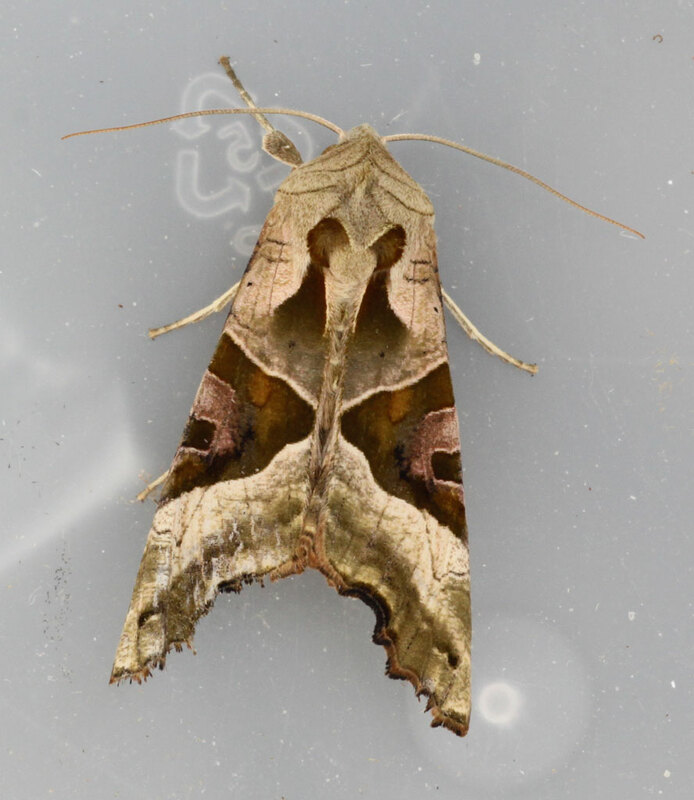 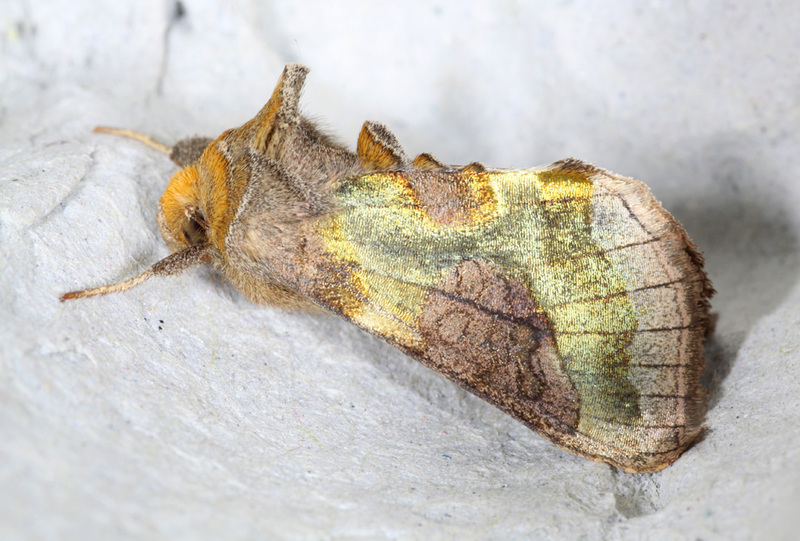 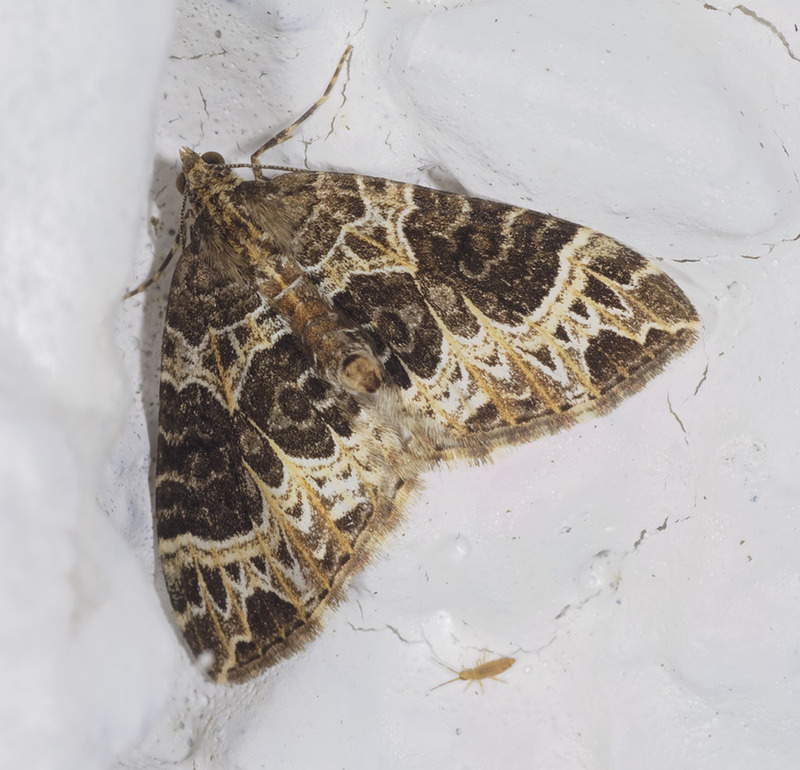 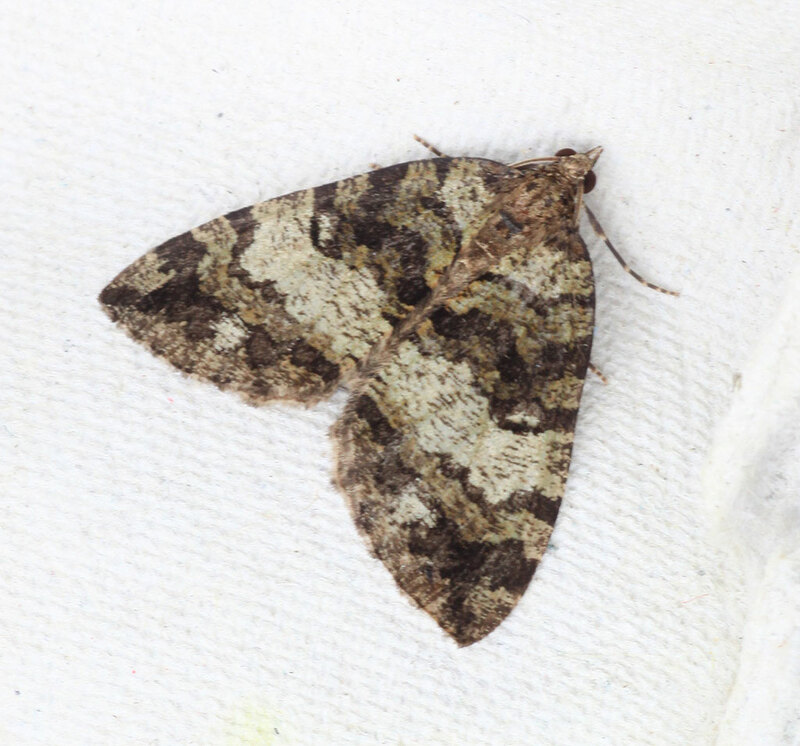 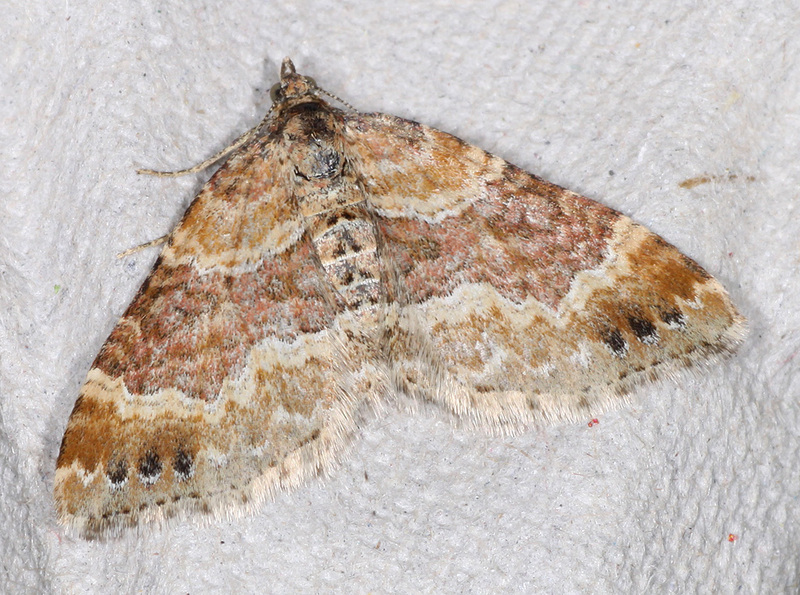 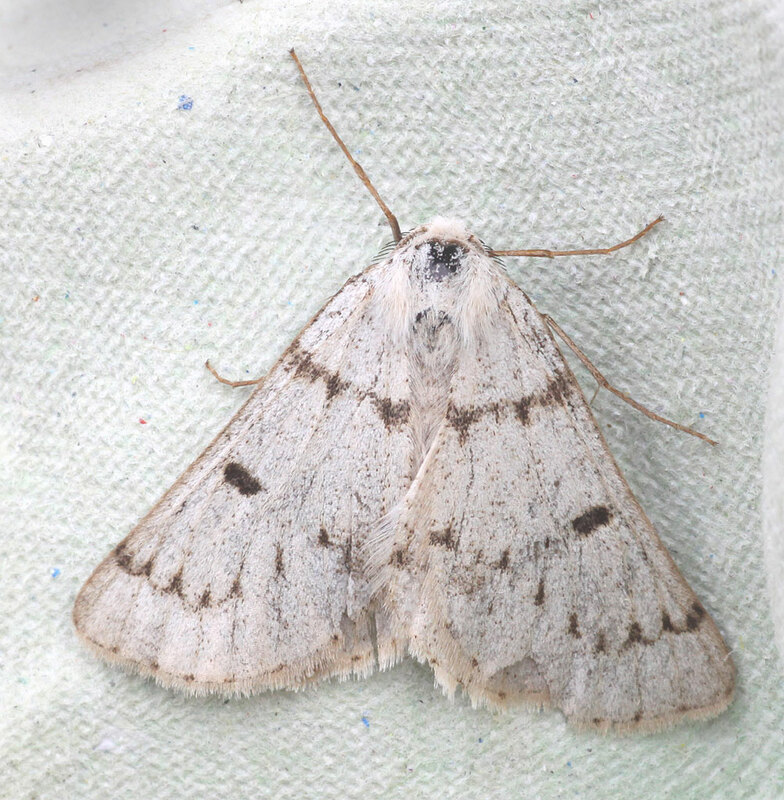 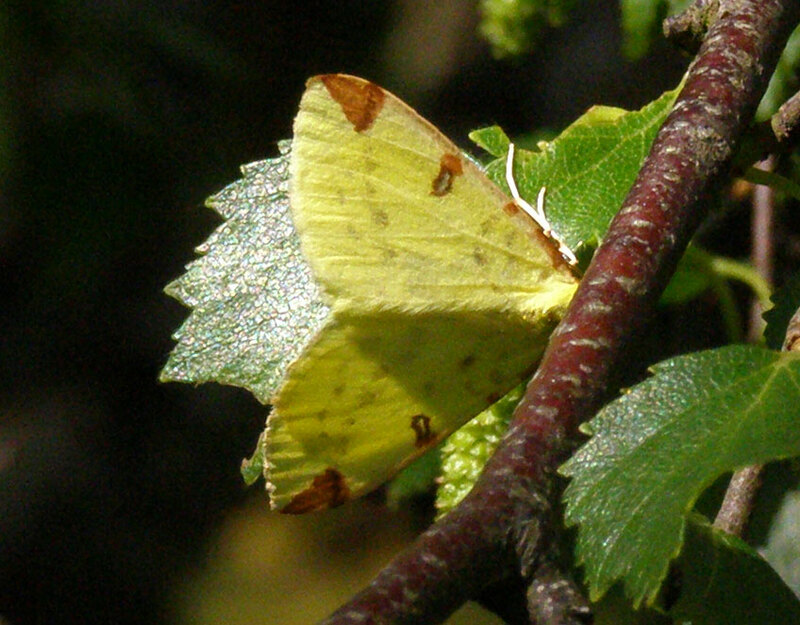 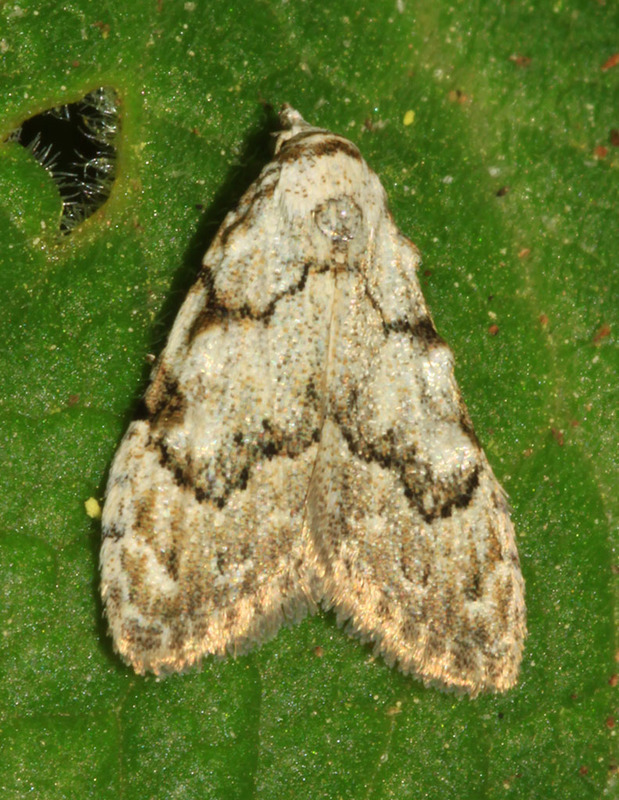 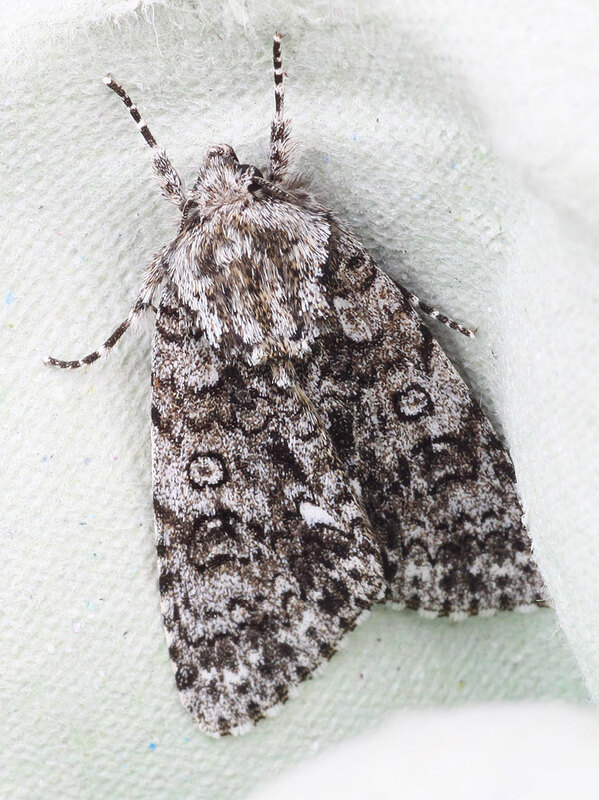 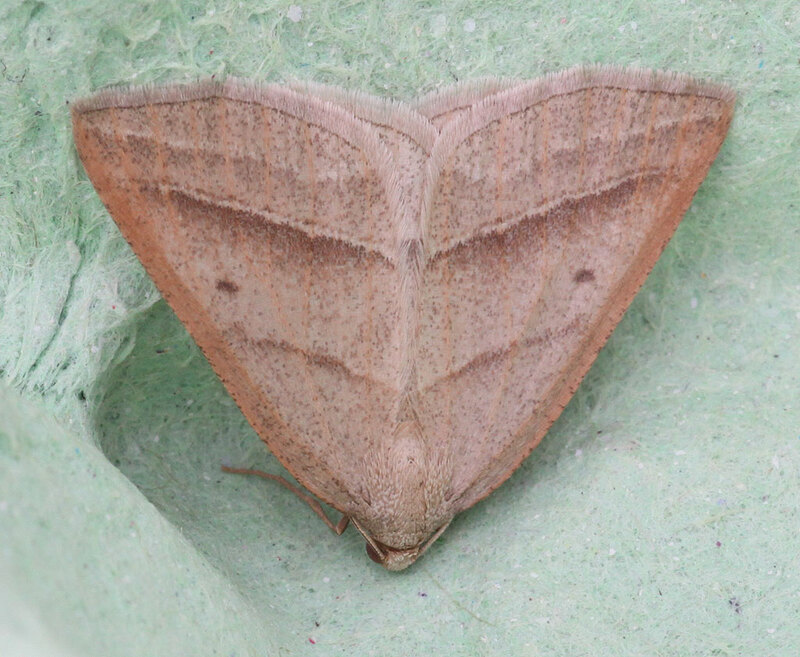 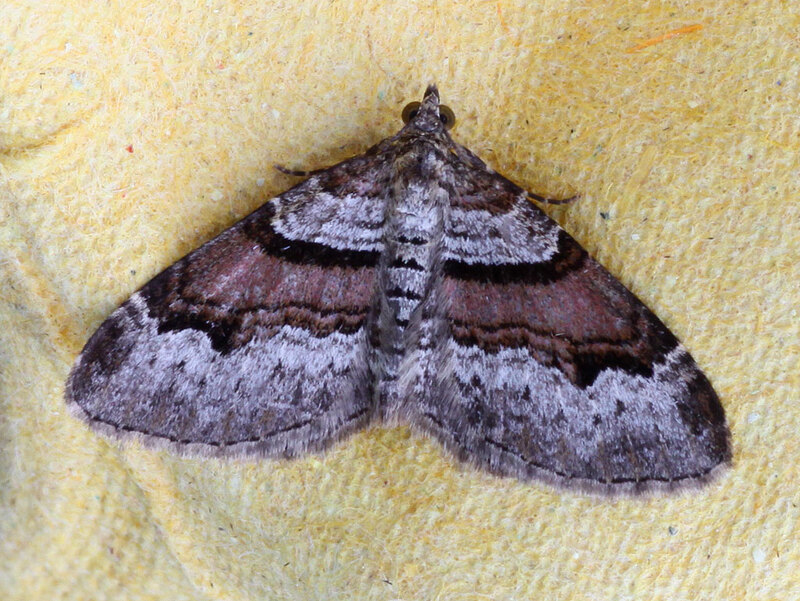 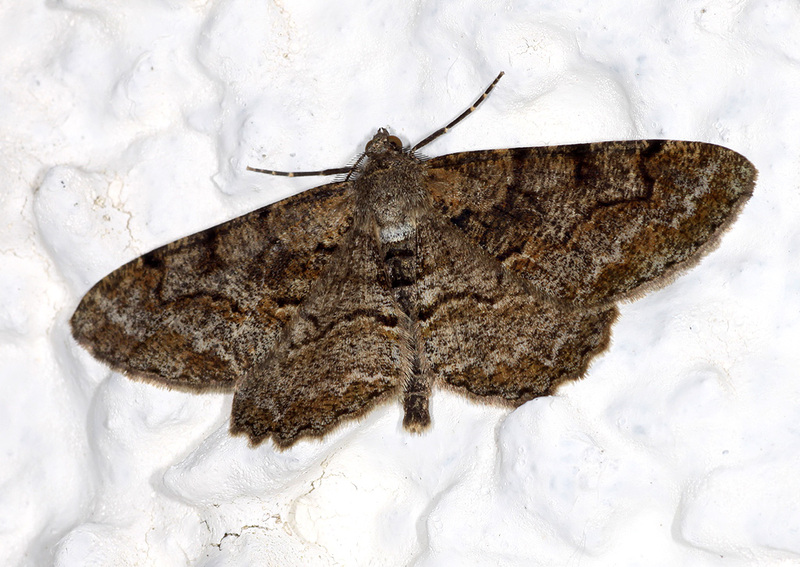 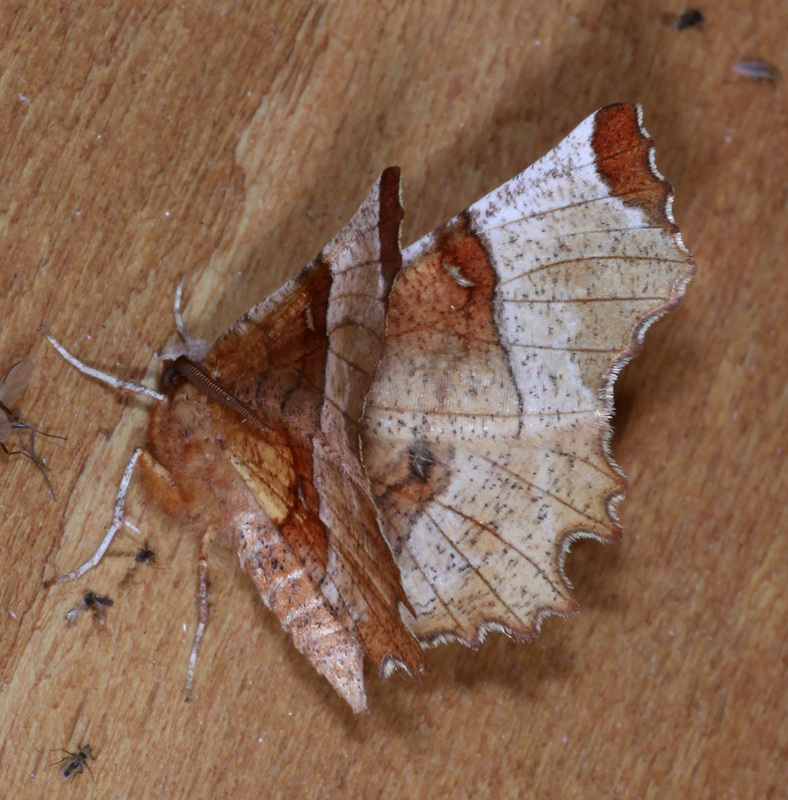 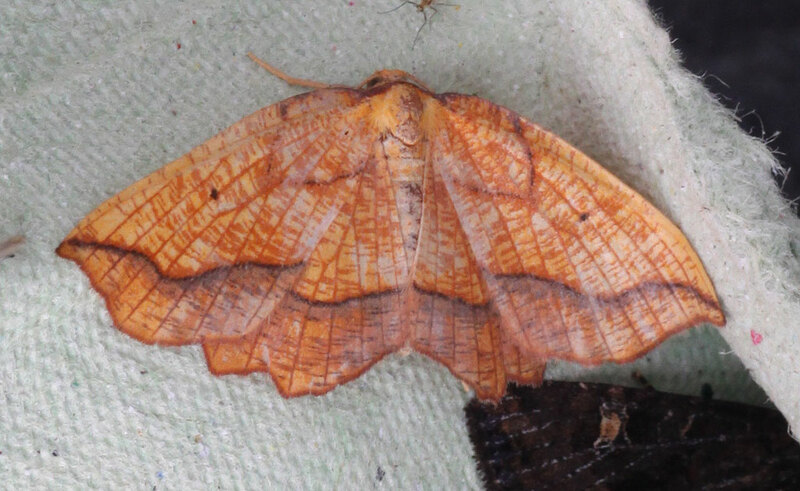 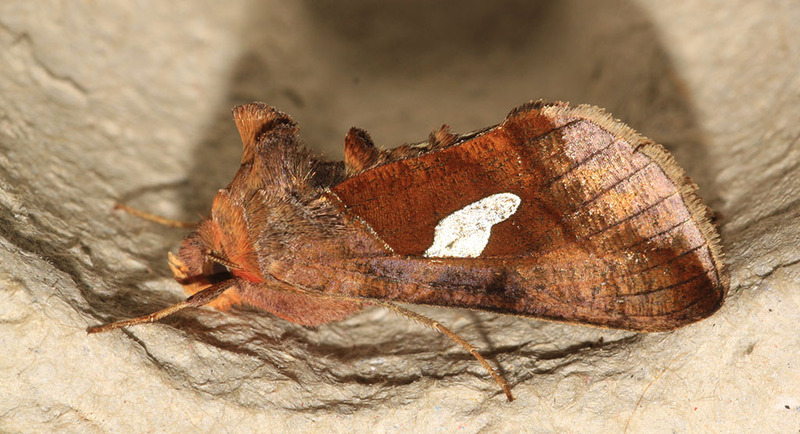 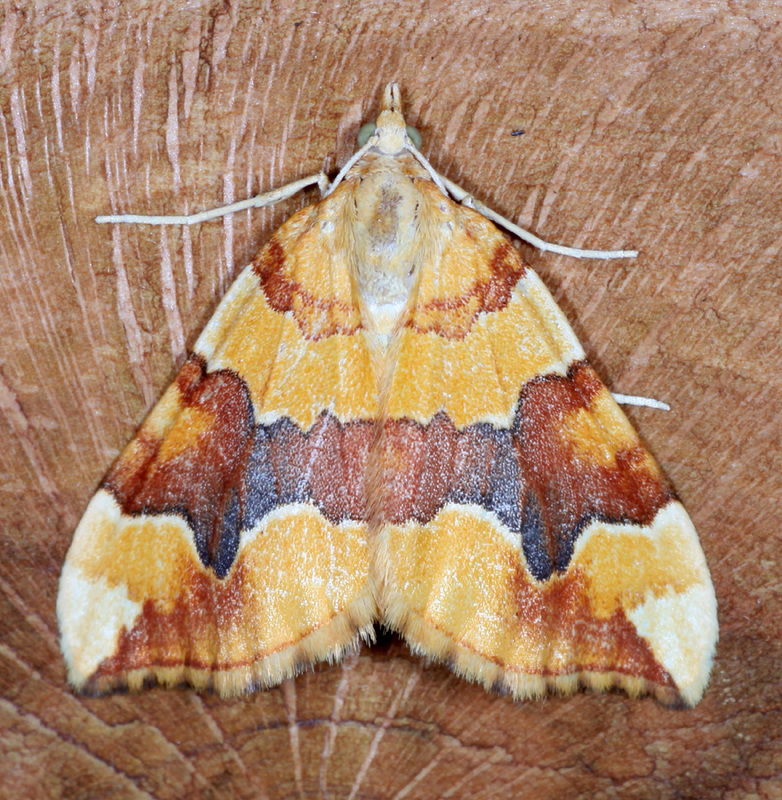 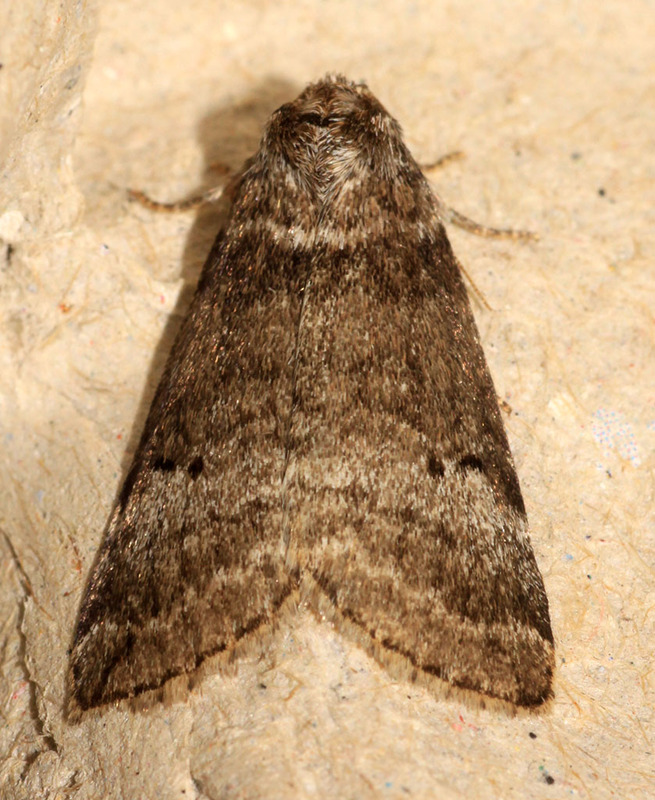 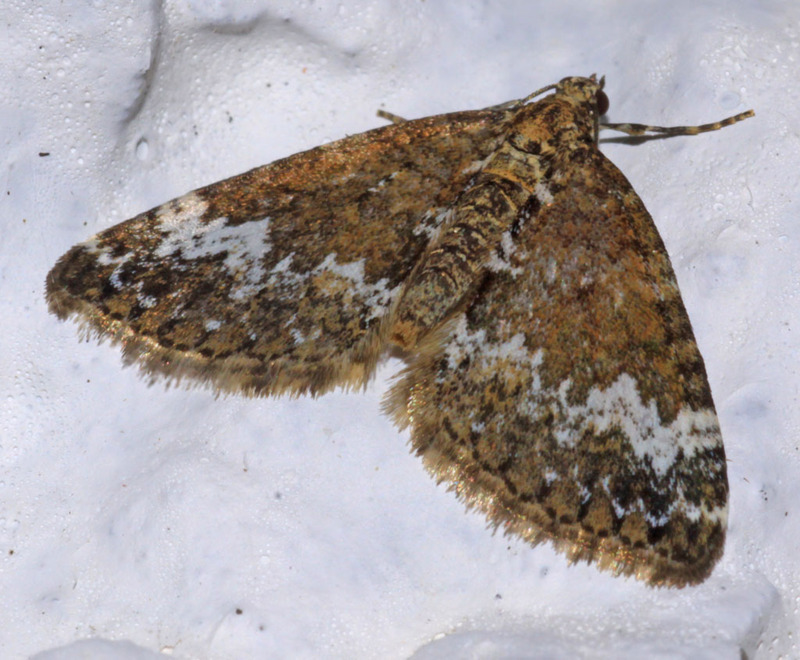 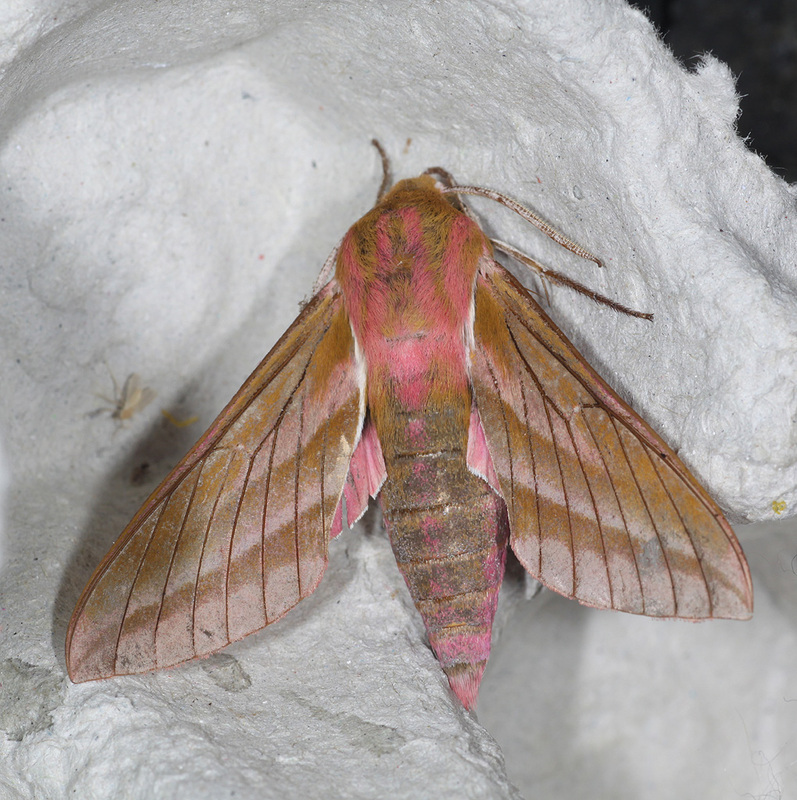 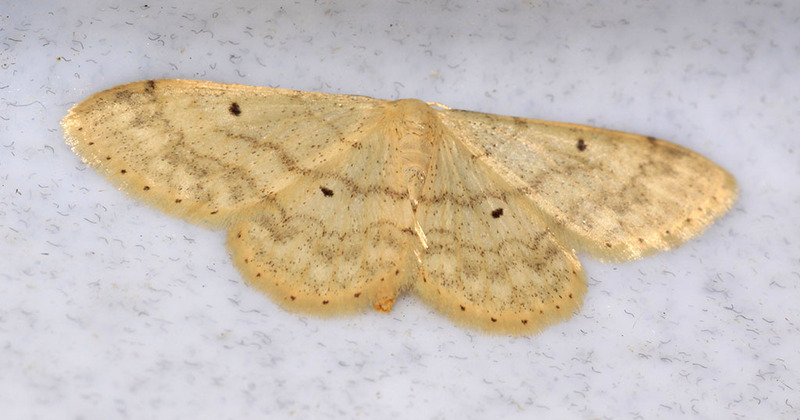 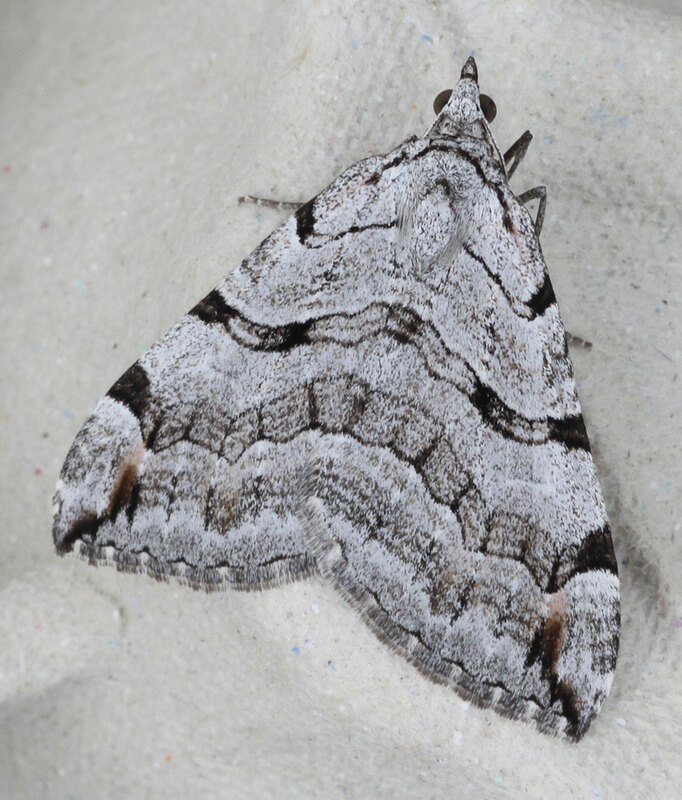 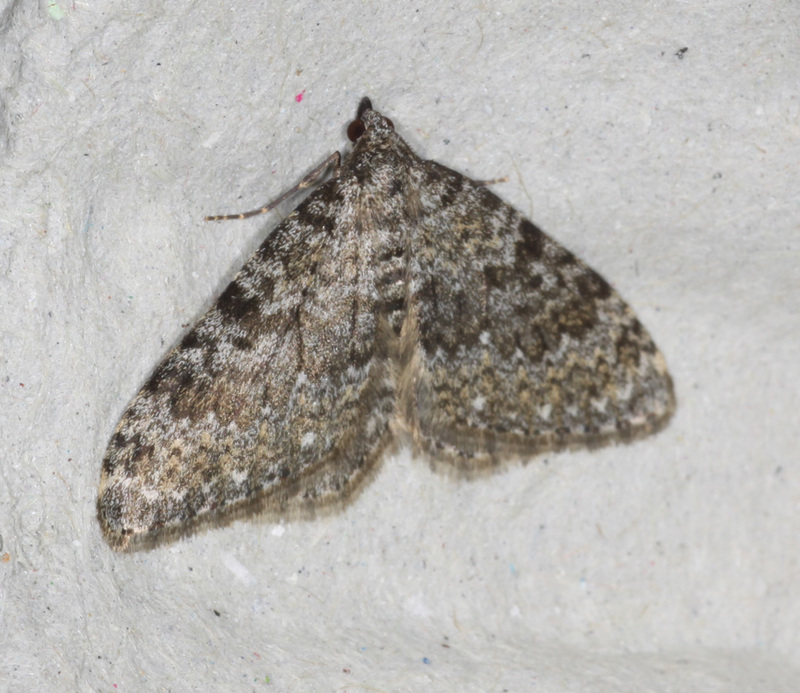 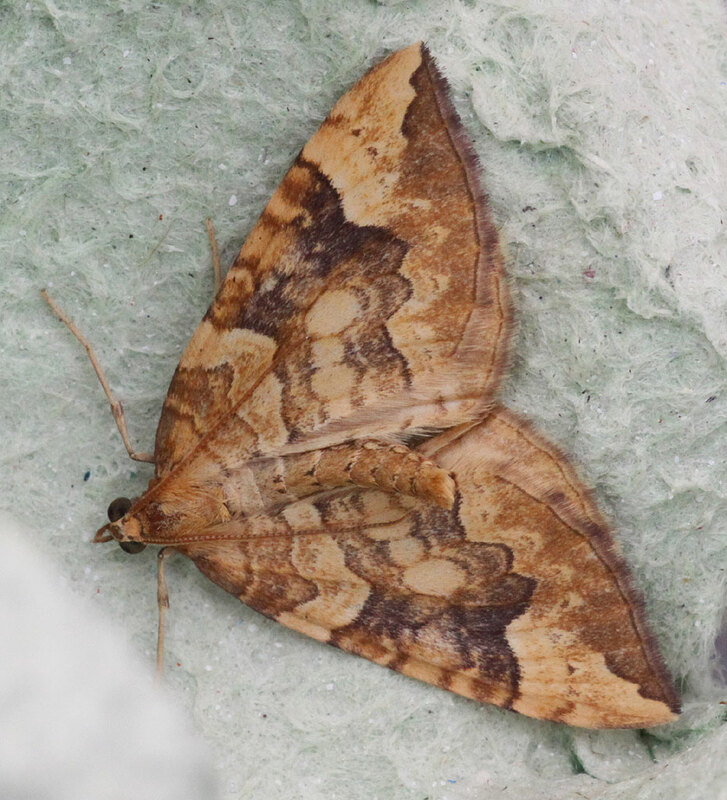 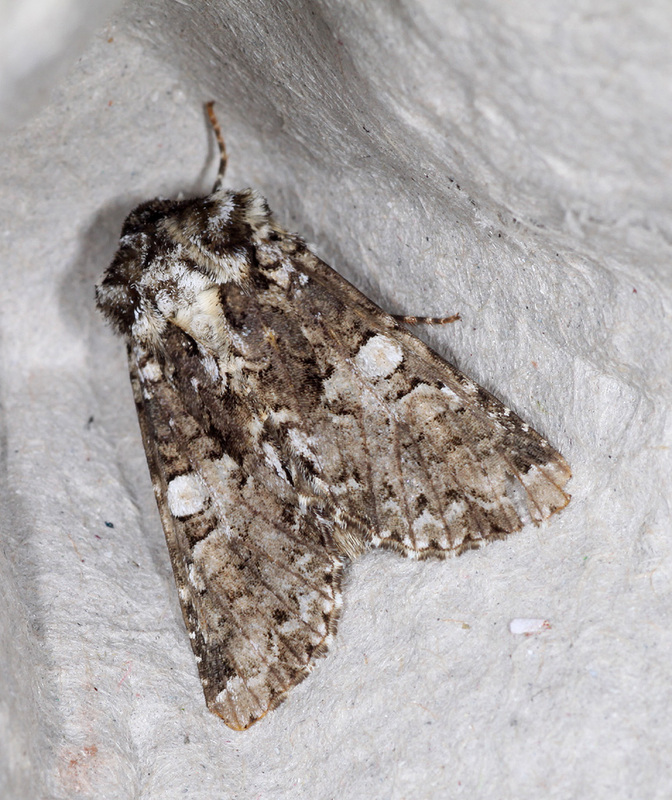 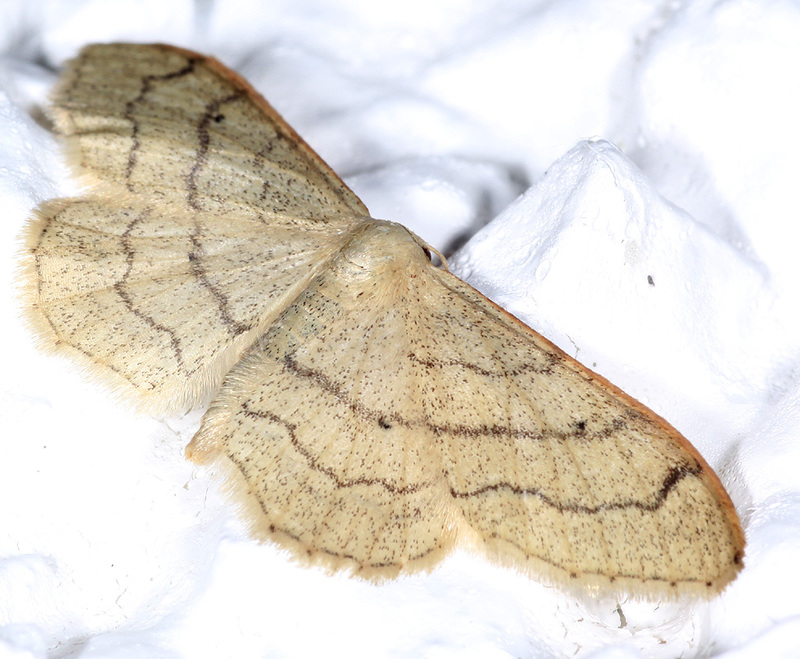 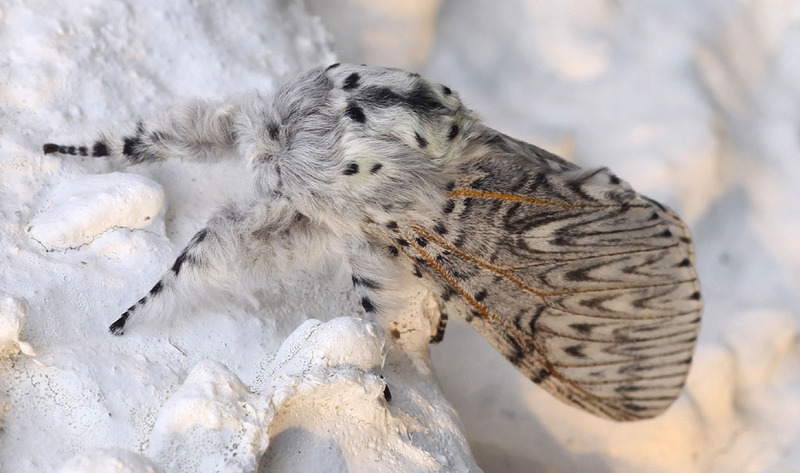 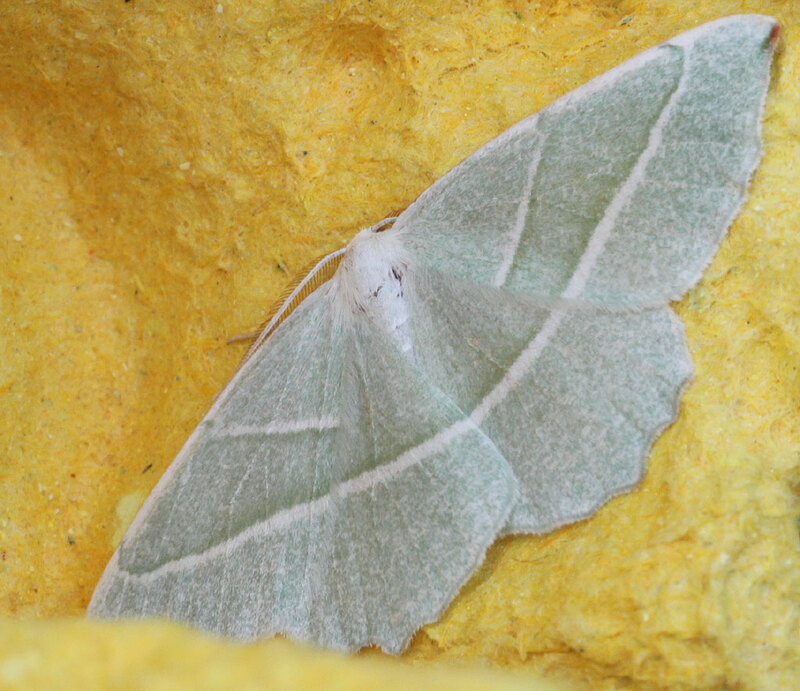 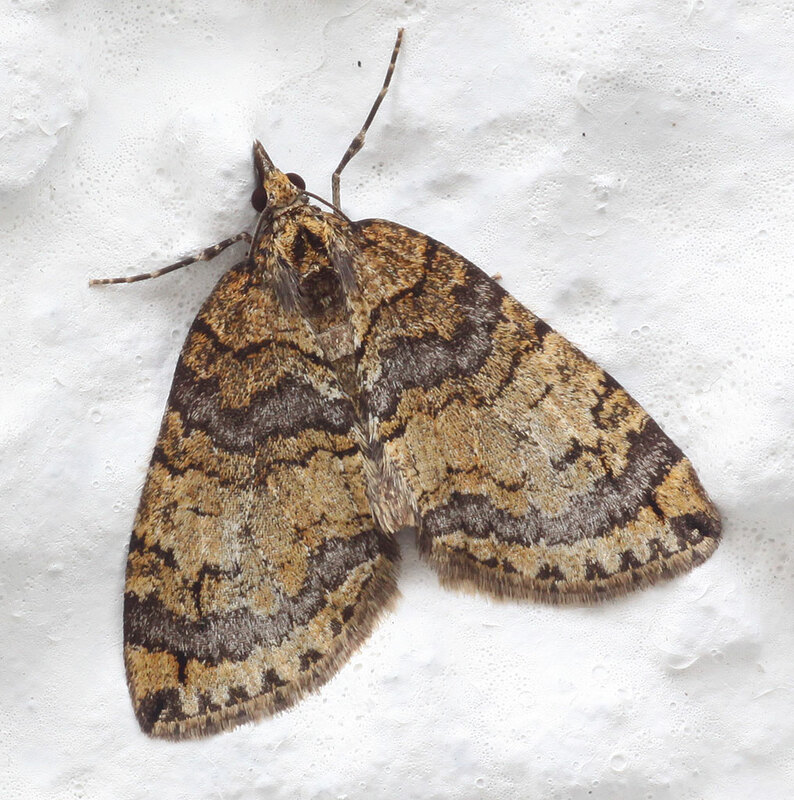 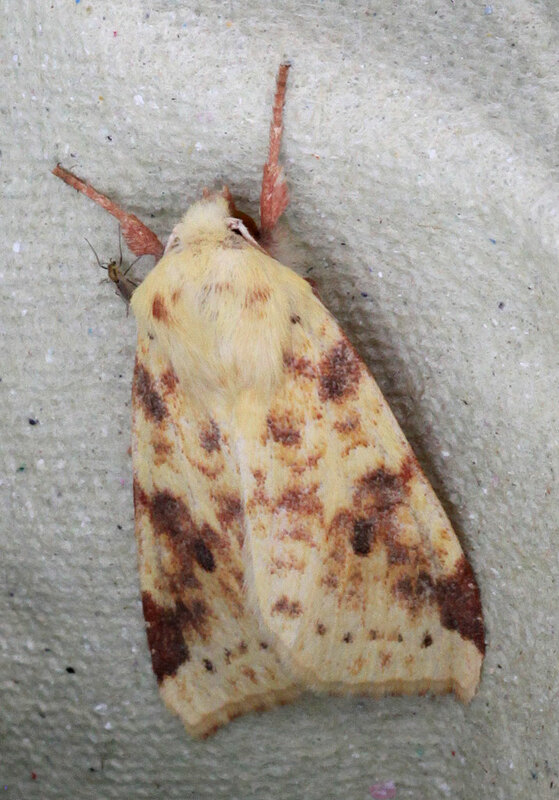 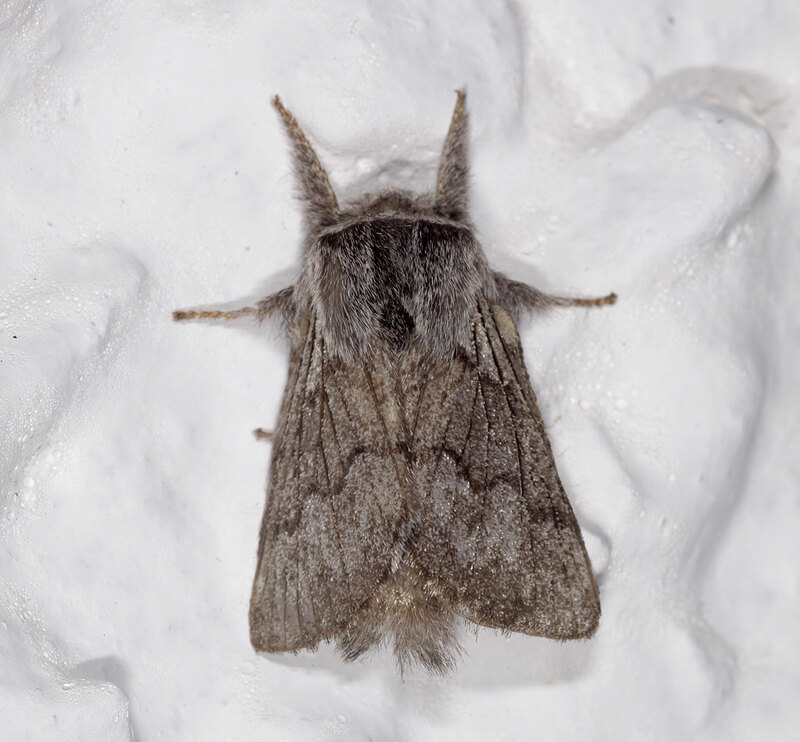 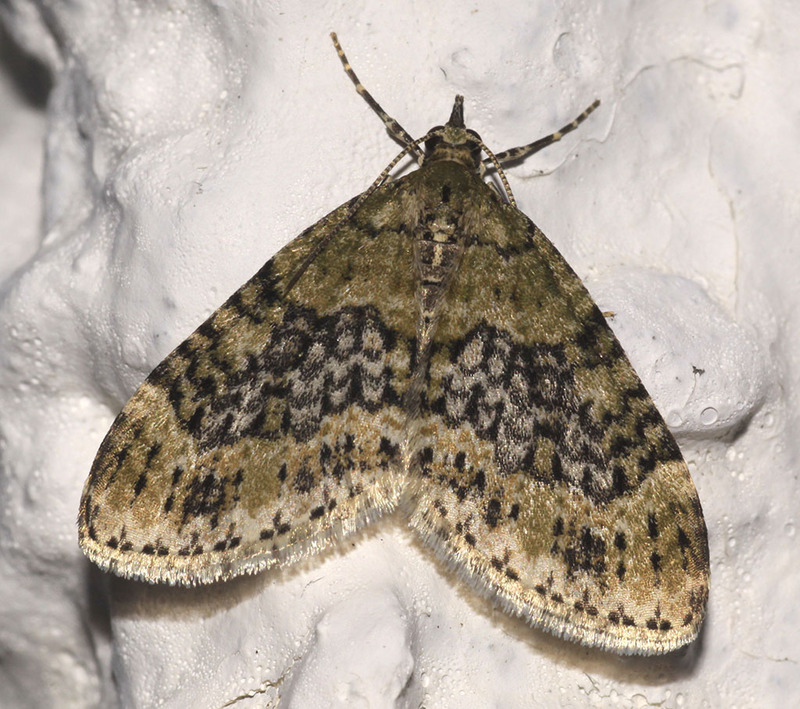 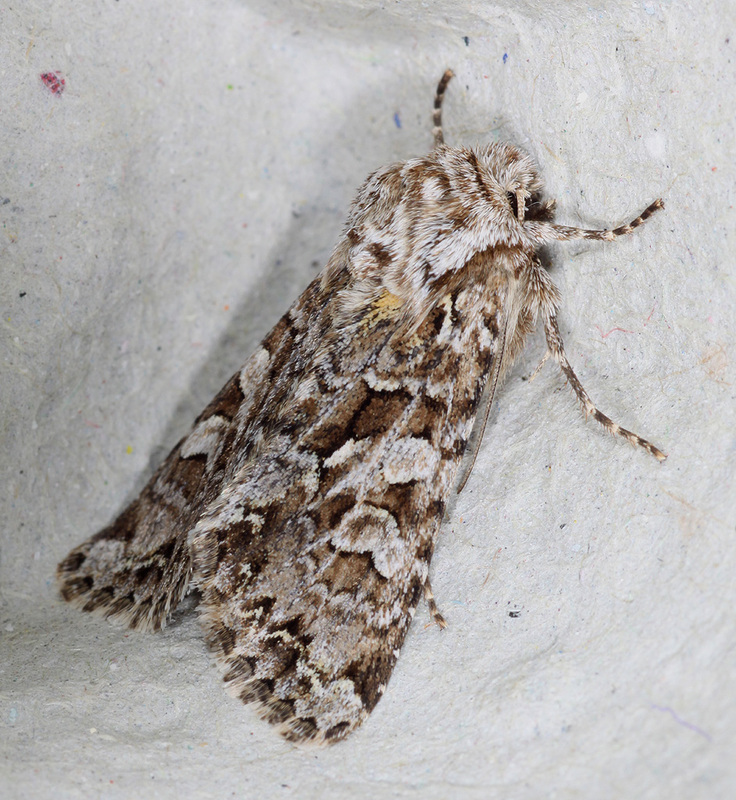 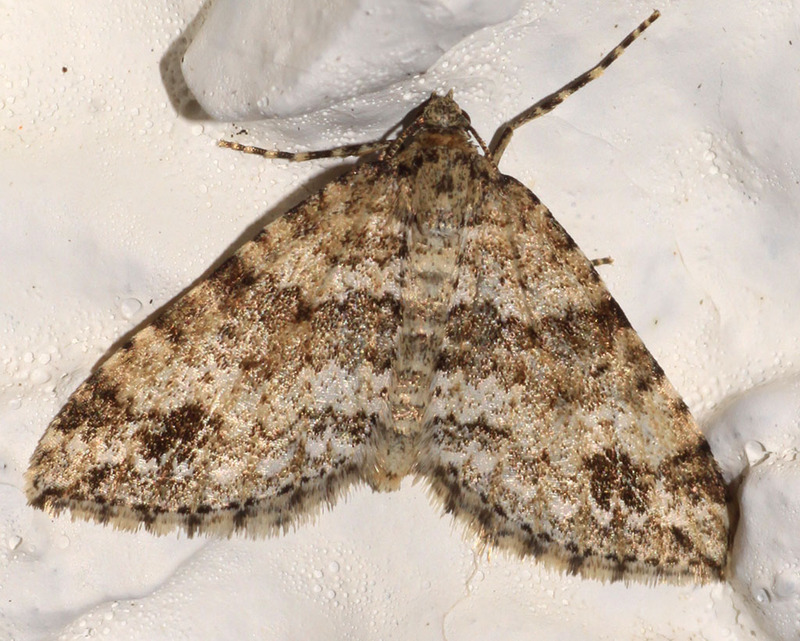 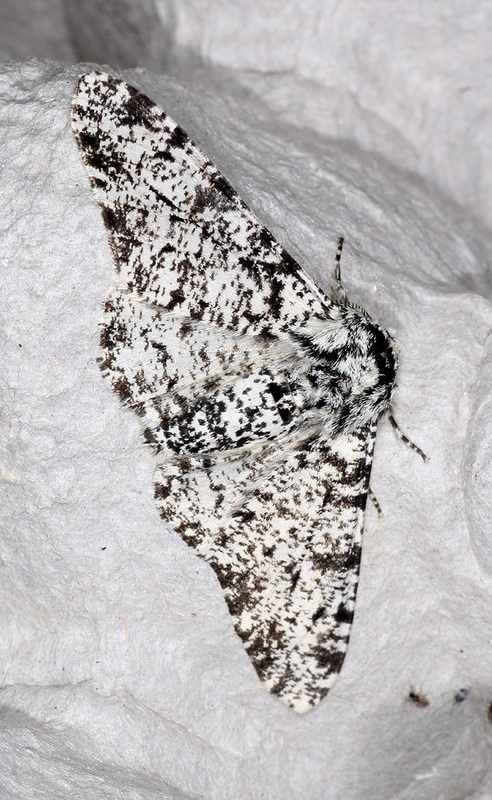 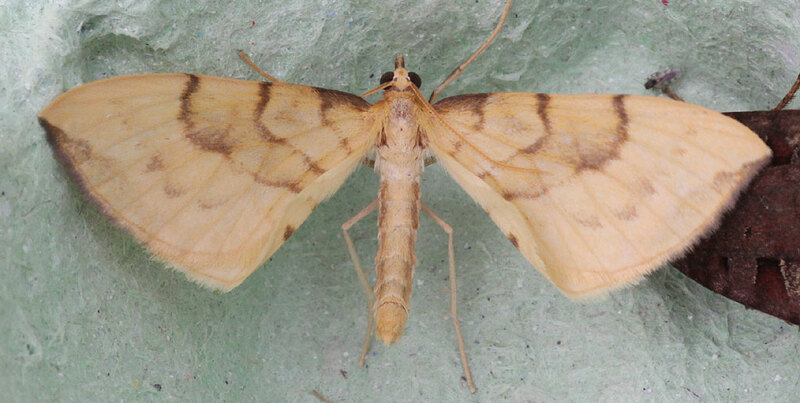 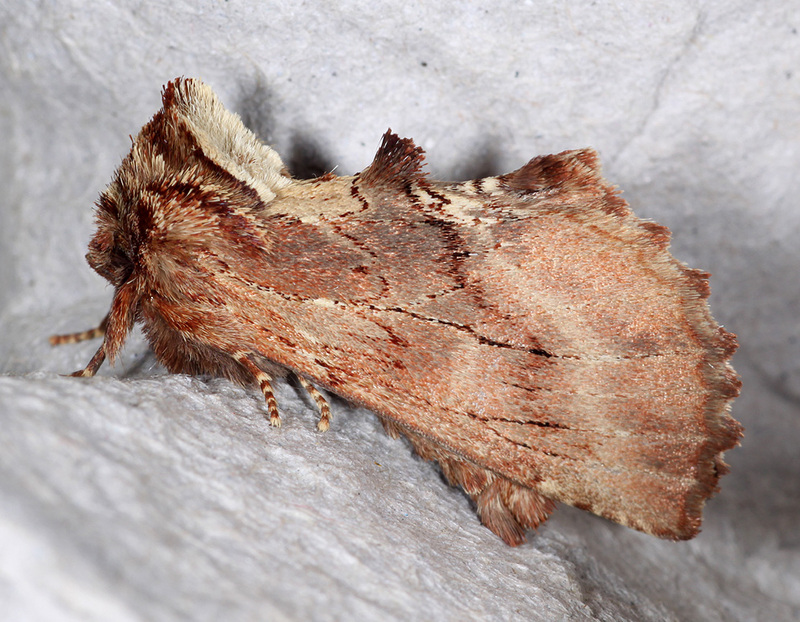 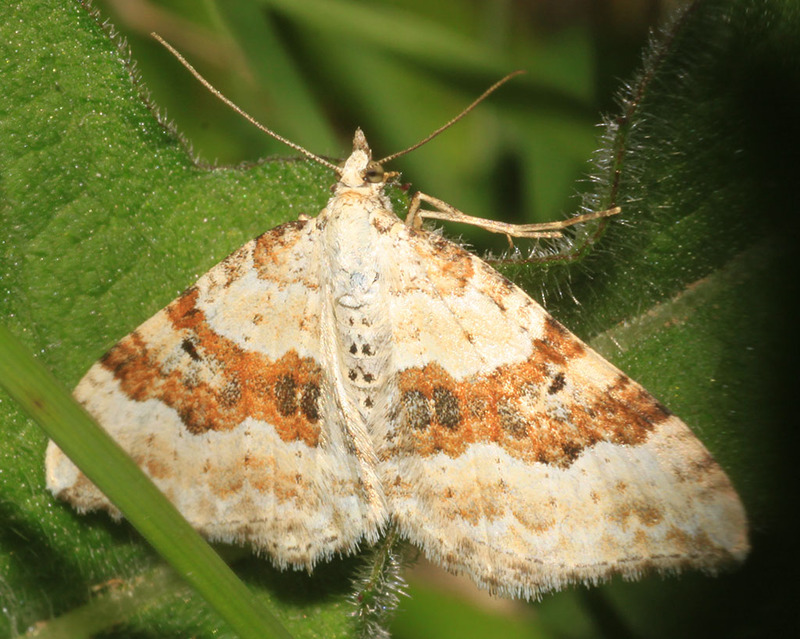 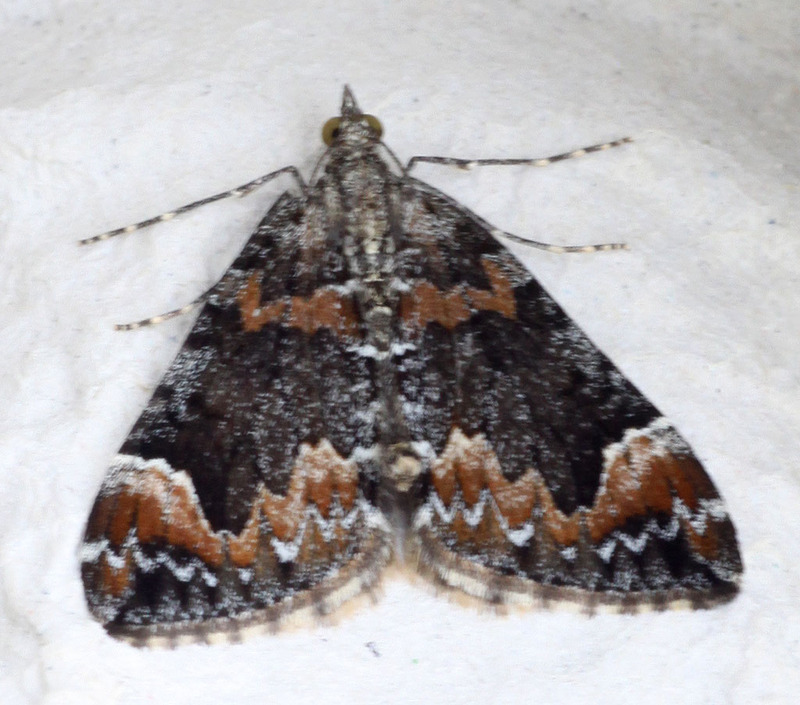 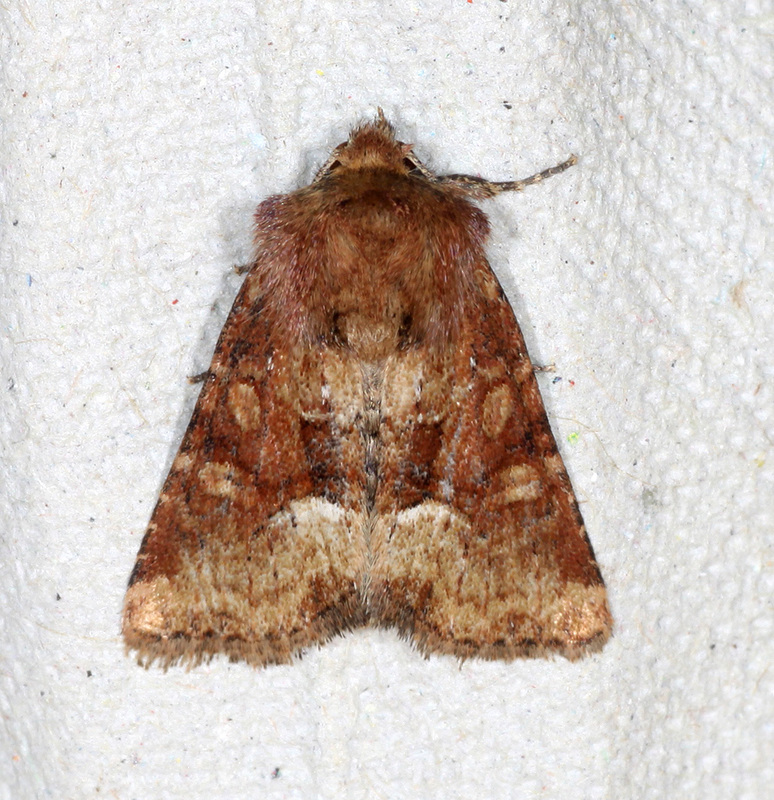 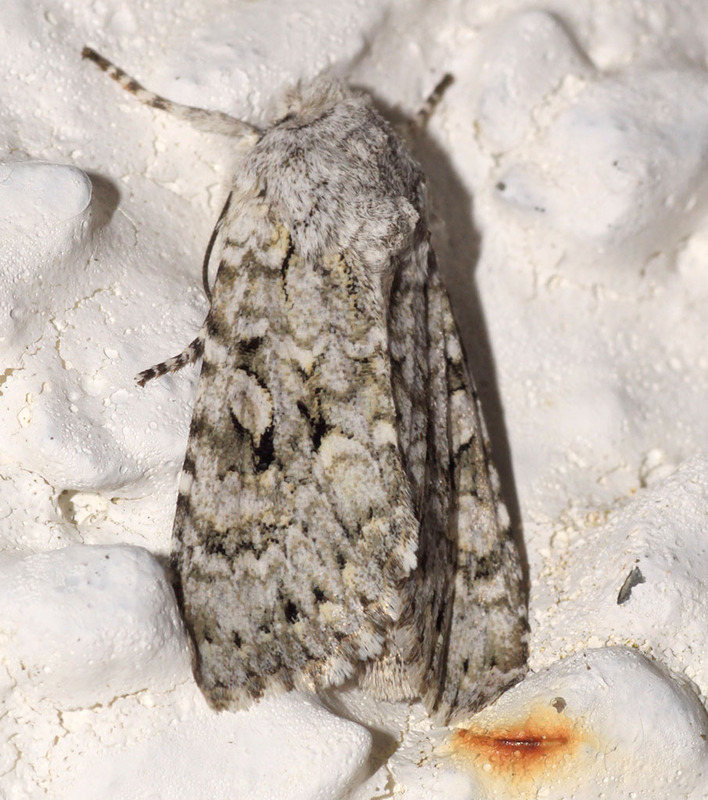 The scheme has been so successful that a Provisional Atlas of the UK�s Larger Moths (i.e. 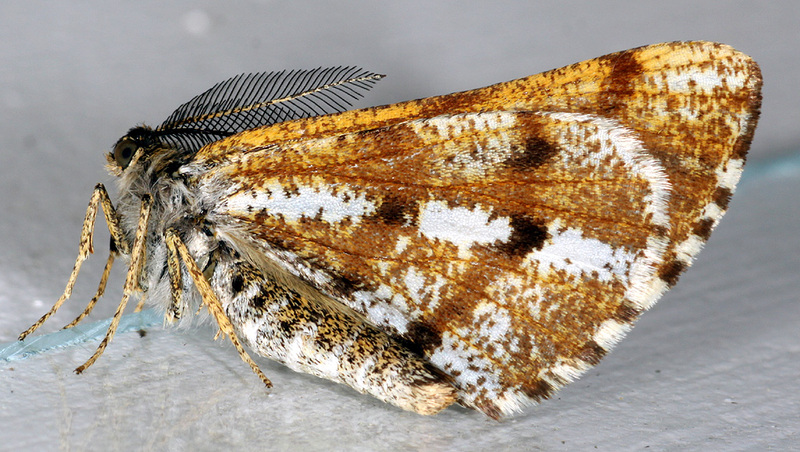 macro moths) was published in 2010. 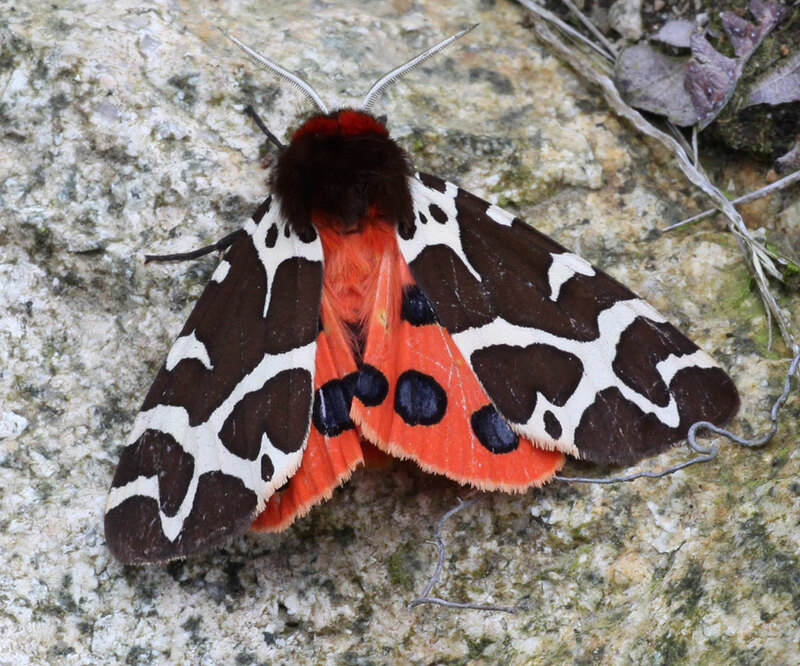 The maps can be viewed on the Butterfly Conservation (Moths Count) website and on the National Biodiversity Network Gateway. 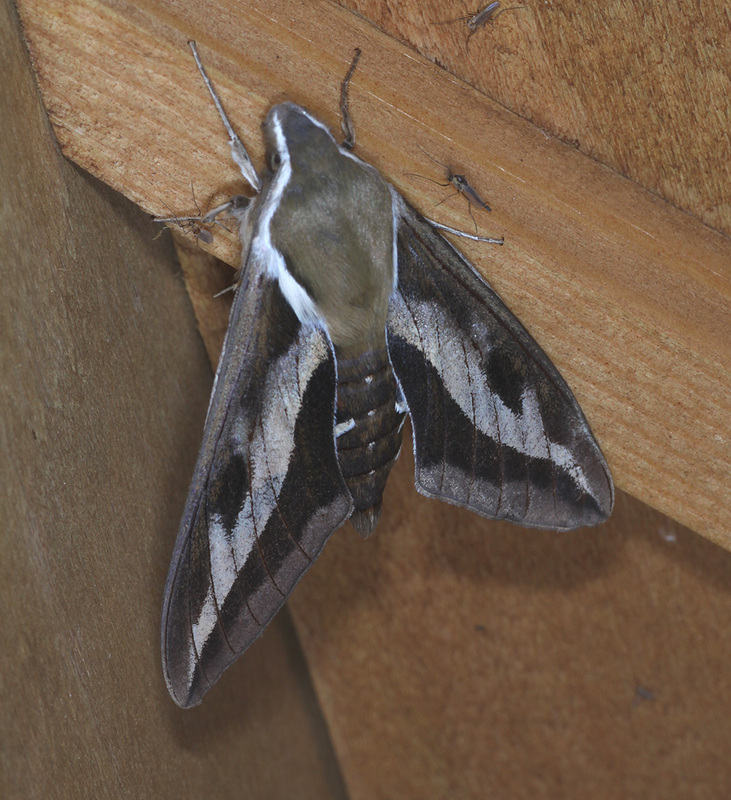 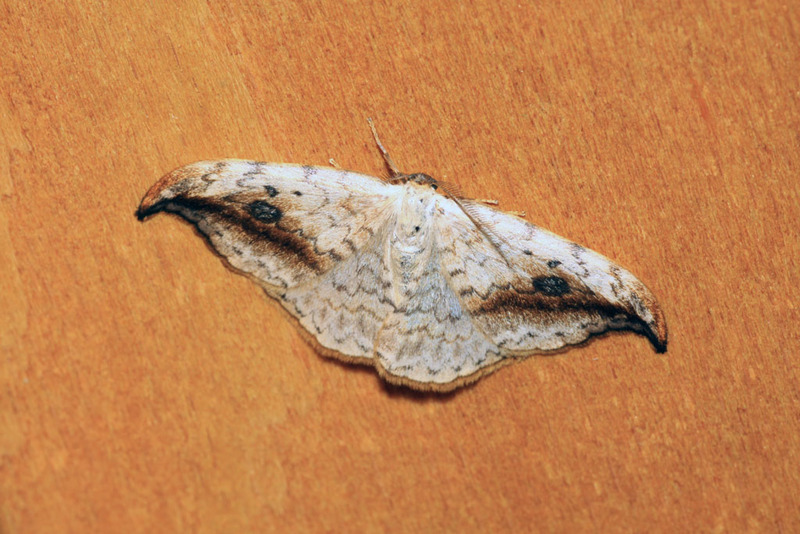 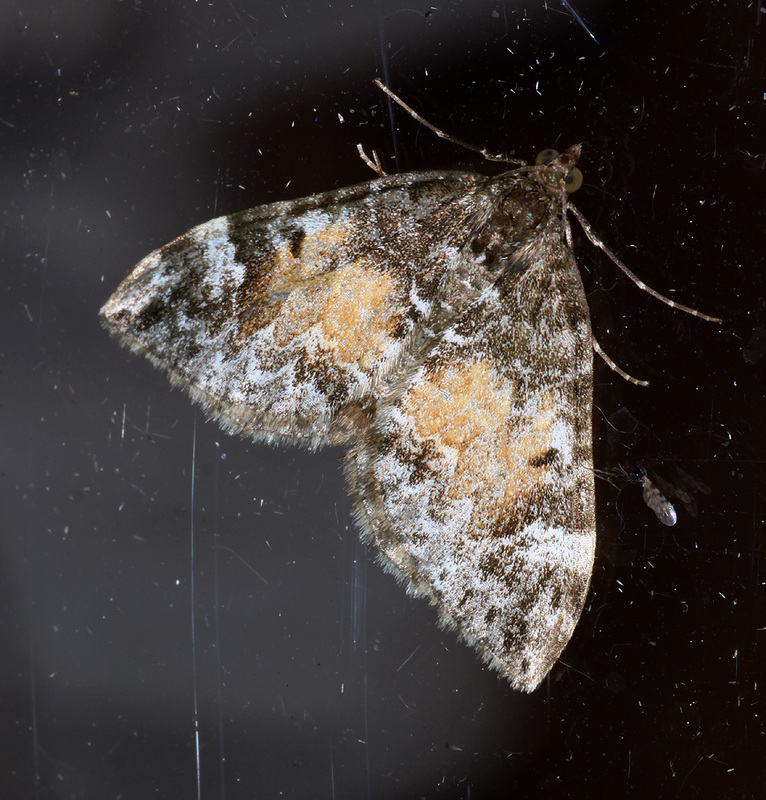 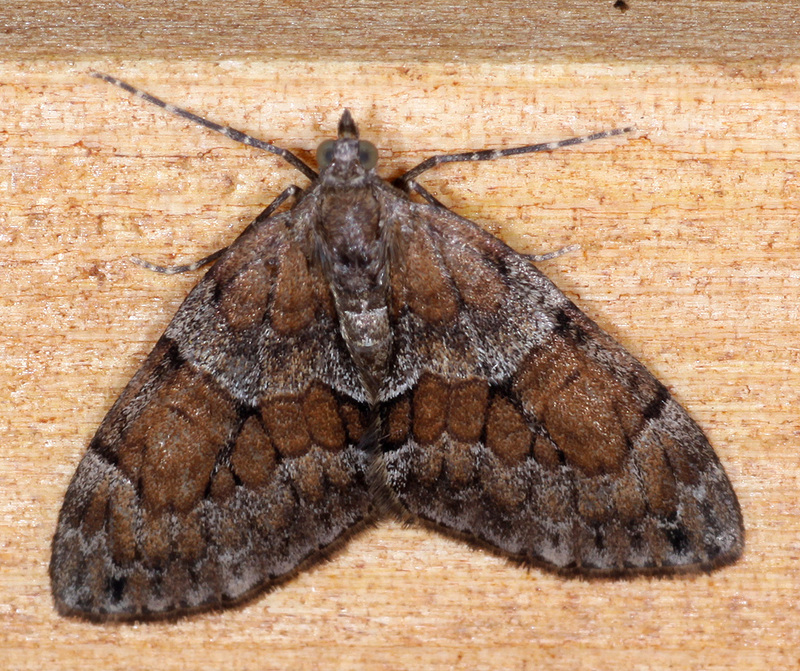 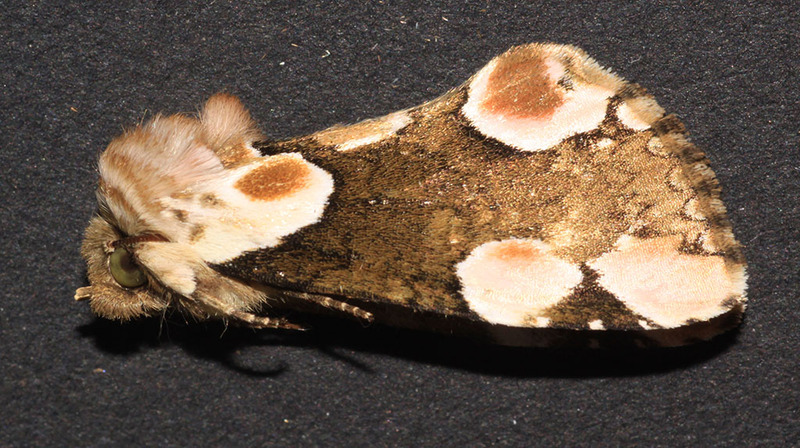 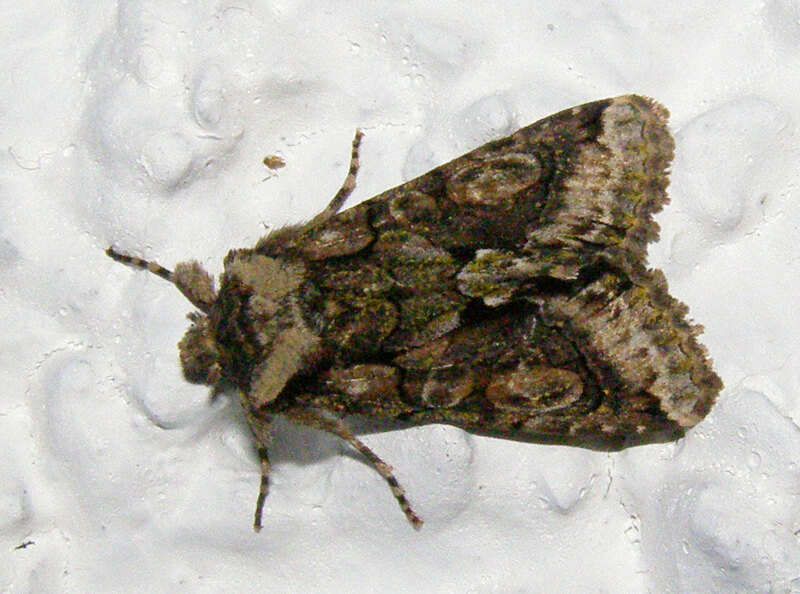 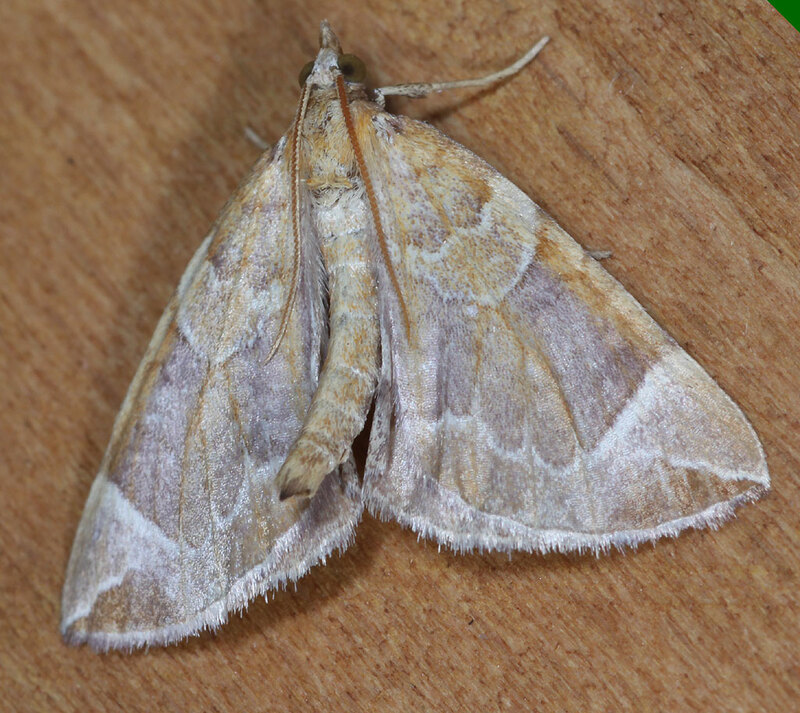 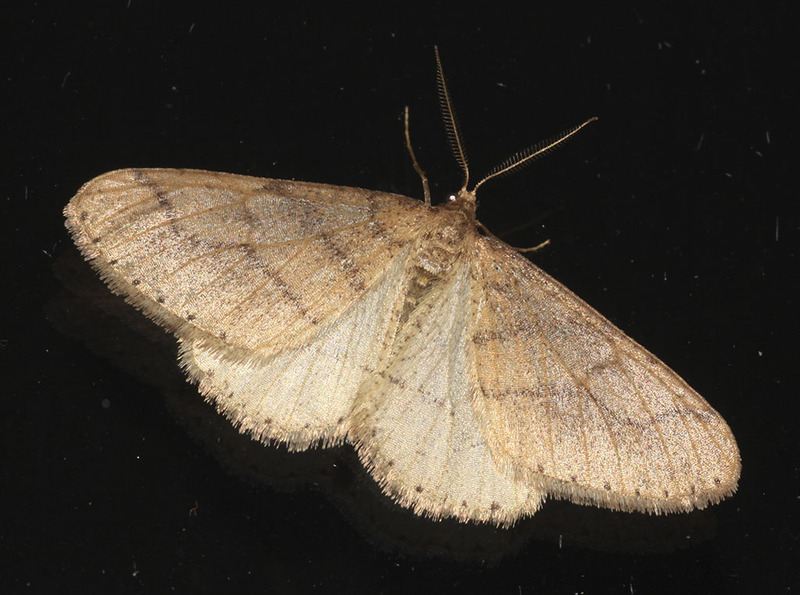 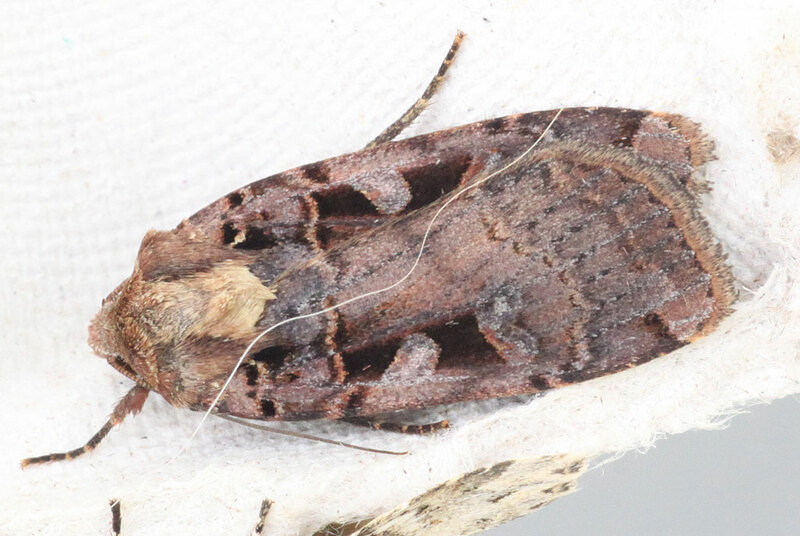 One of the main attractions of moth recording is the sheer number of species. 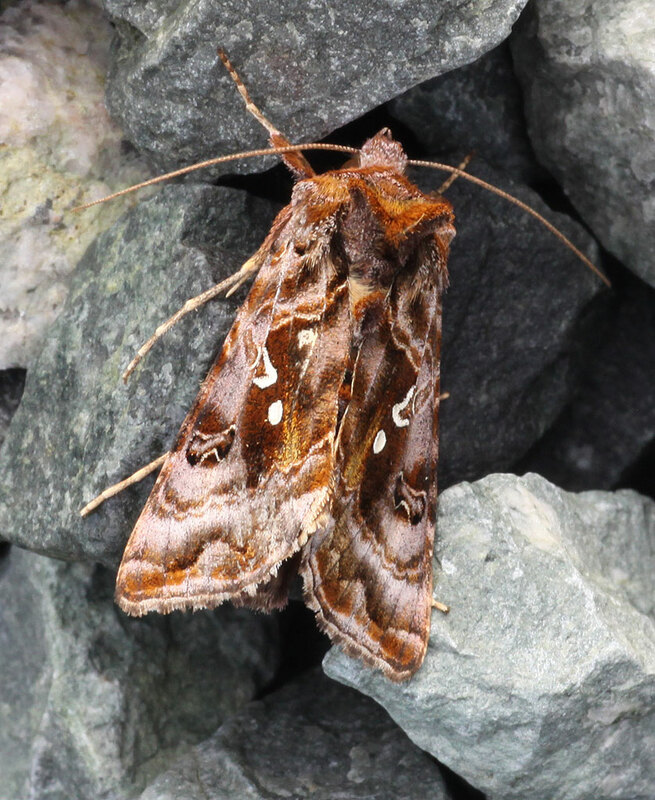 There are only 20 species of butterfly that are likely to be seen in Skye and Lochalsh but there are over 300 species of macro moth. 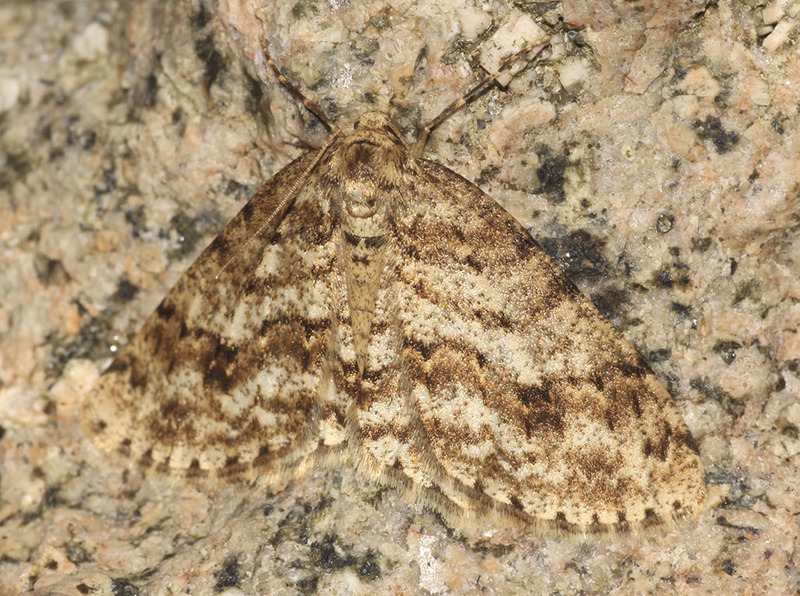 The number of species of moth varies throughout the year with some species even having their flight period during the winter months. 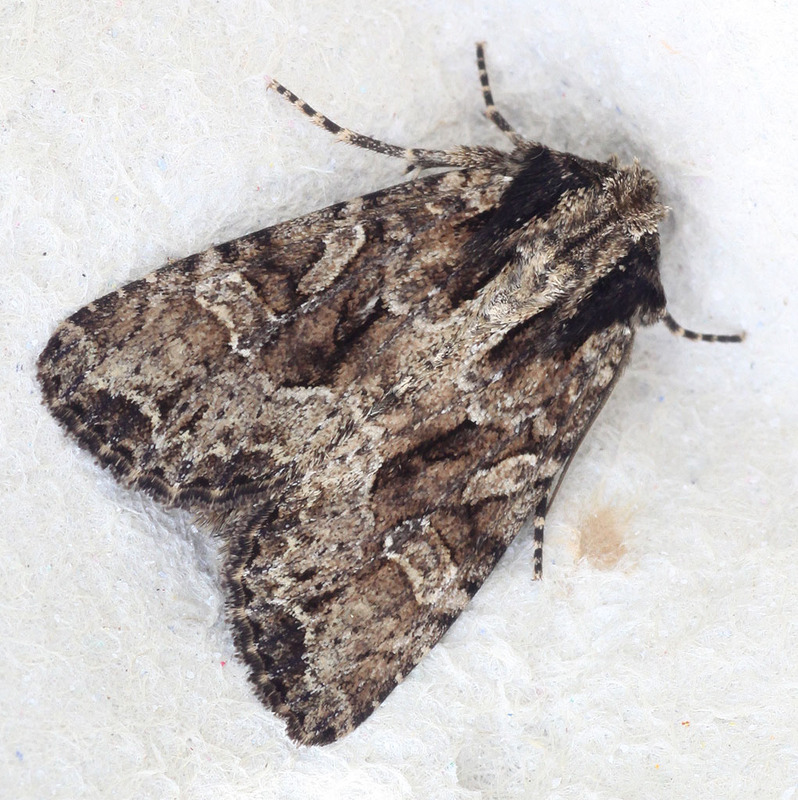 8 species have been recorded in January while peak numbers occur in July (c.149 species). 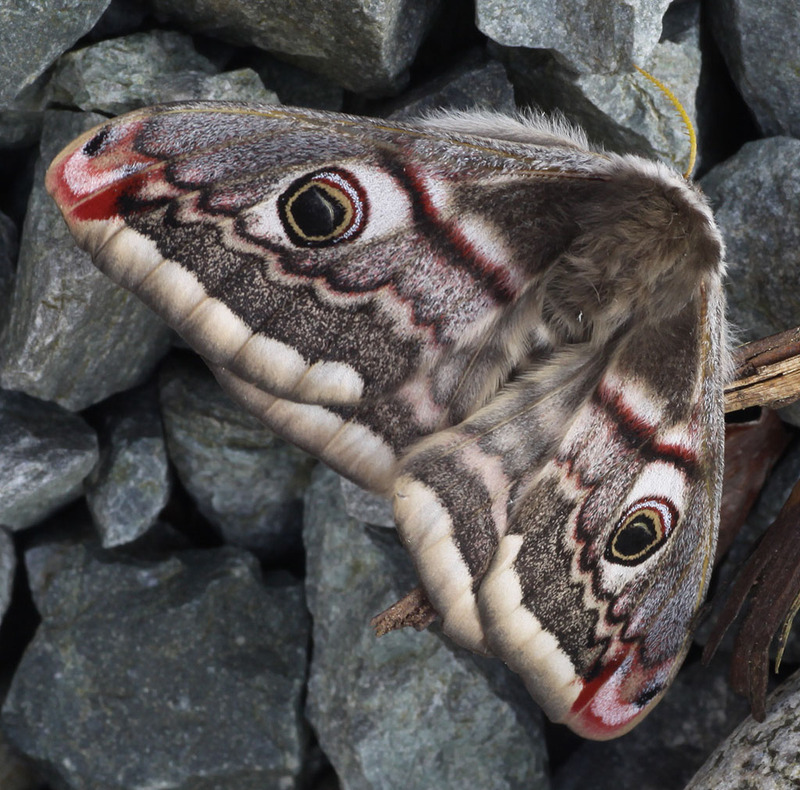 In addition many moths are more spectacular than butterflies. 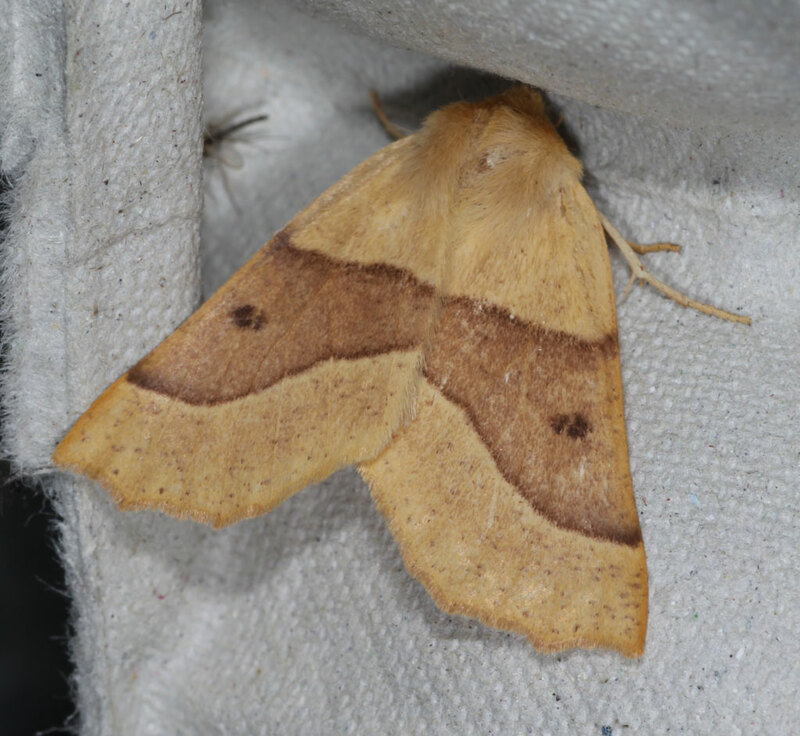 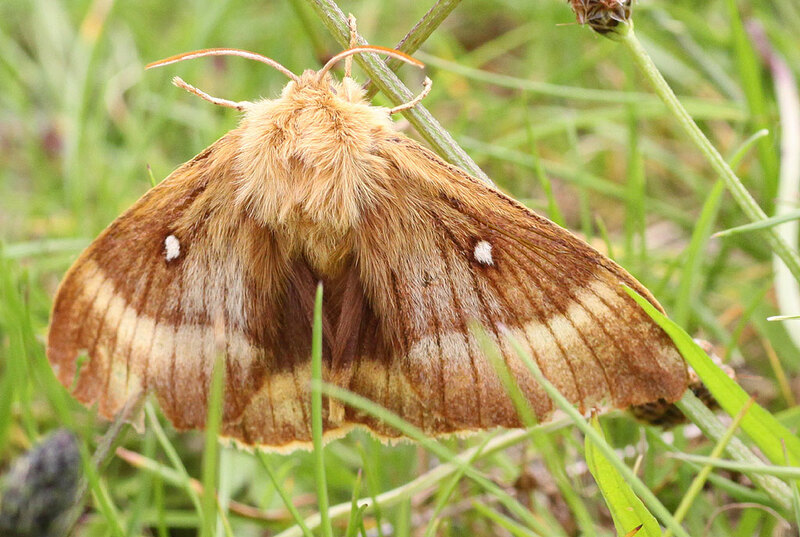 Northern Eggar, Emperor, Poplar Hawk-moth, Elephant Hawk-moth and Garden Tiger are large colourful moths while Angle Shades, Herald and Saxon have amazing shapes and patterns. 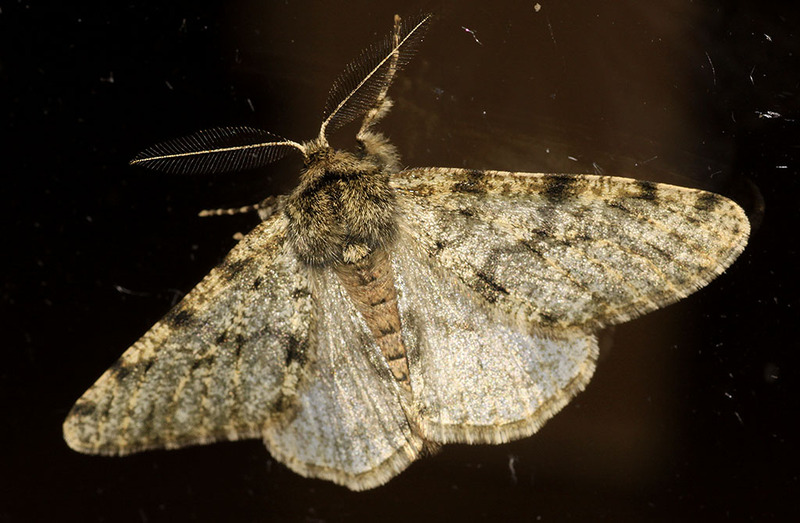 It should also be mentioned that there are a number of day-flying moths. 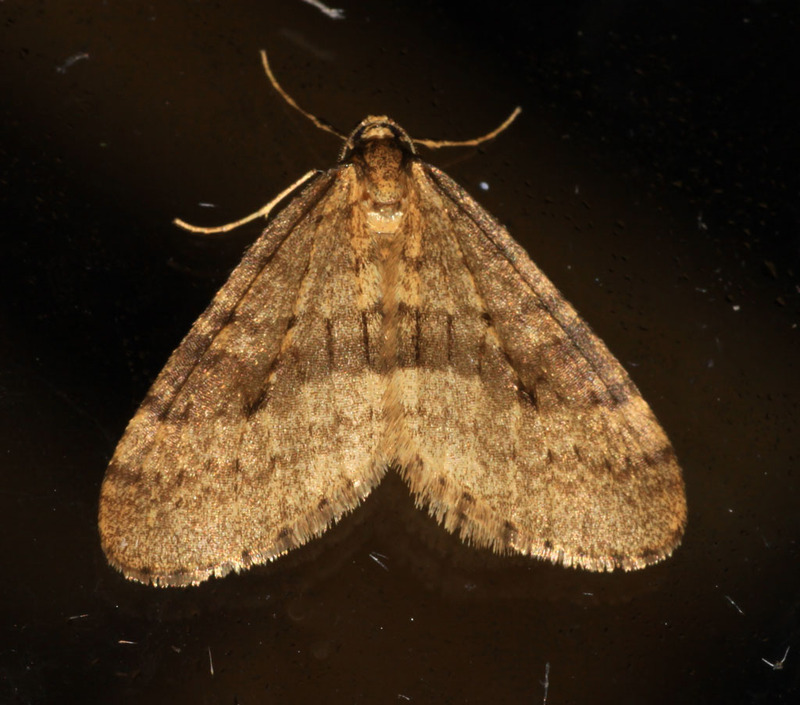 To get into moth recording it is necessary to obtain a moth trap. 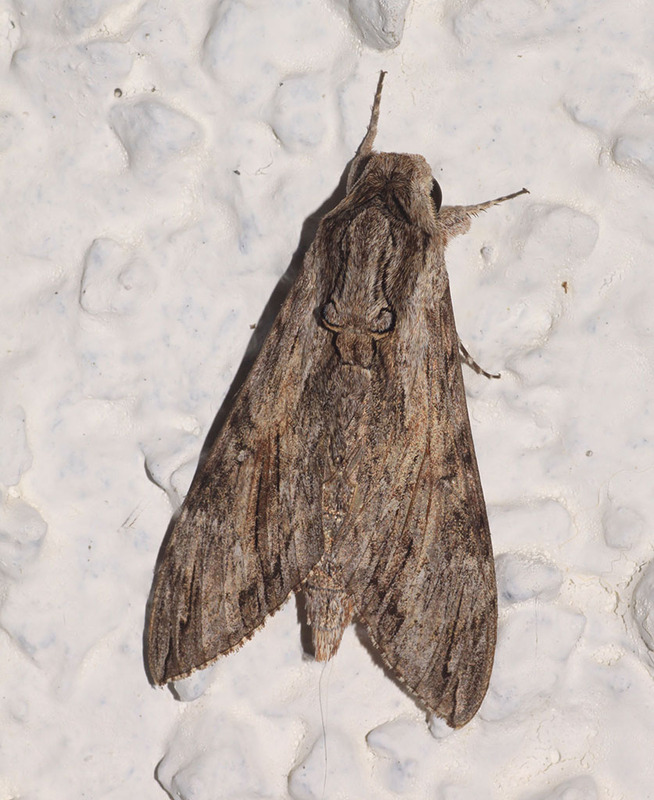 There is a wide range of models with an equally wide range of prices. 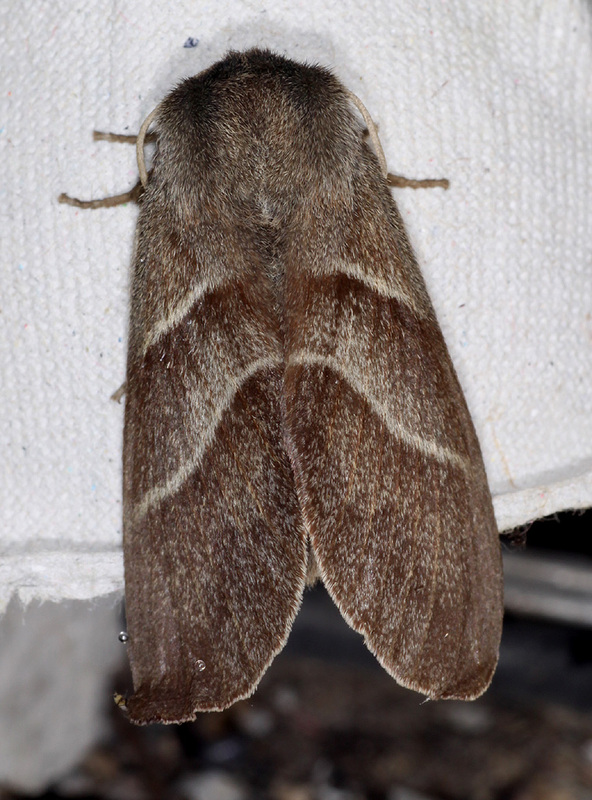 The traps are set up in the evening and the contents examined the following morning. 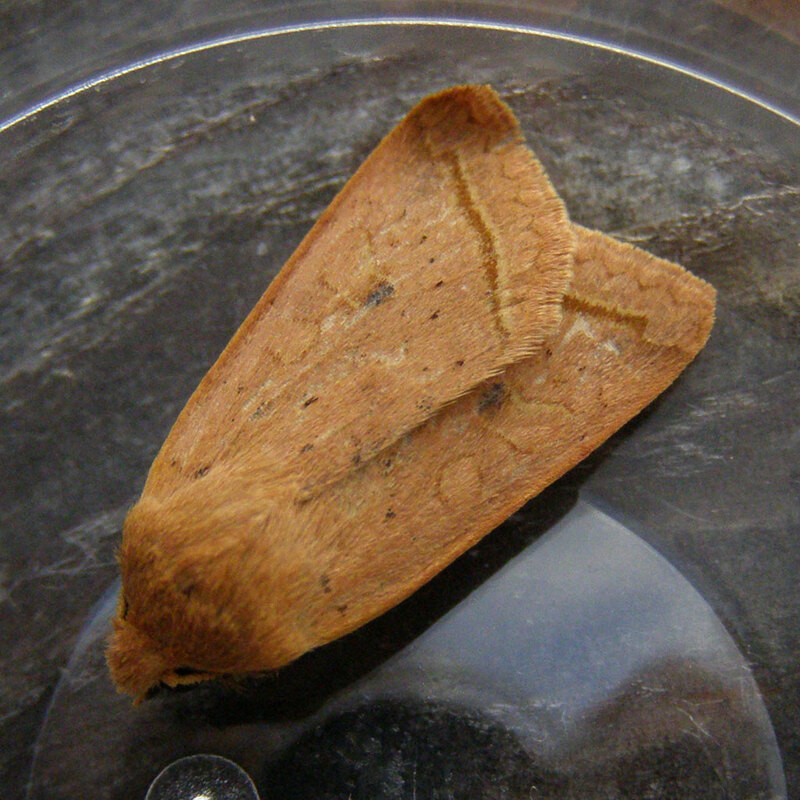 The moths can then be released into cover or left to make their own way out the following evening. 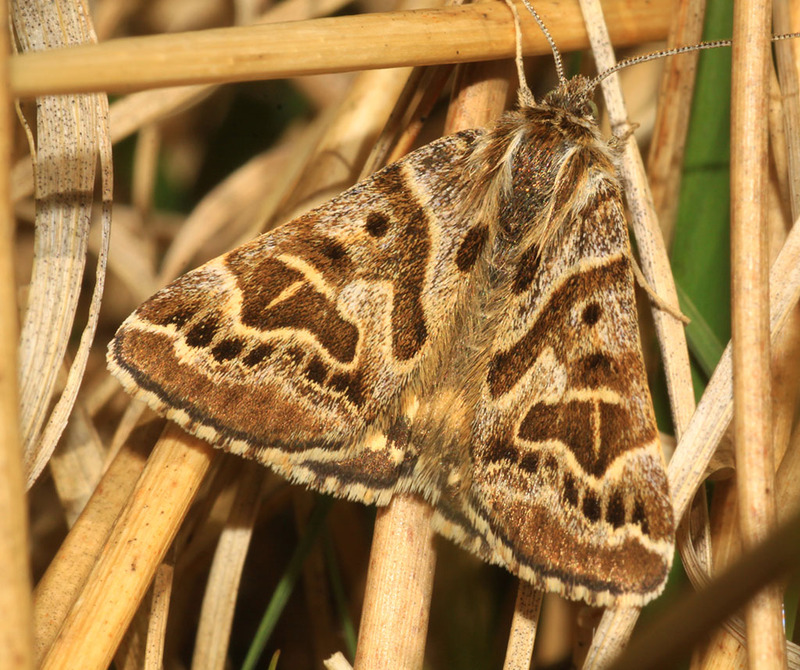 Advice and suggestions for books and equipment can be provided to anyone interested in getting involved.